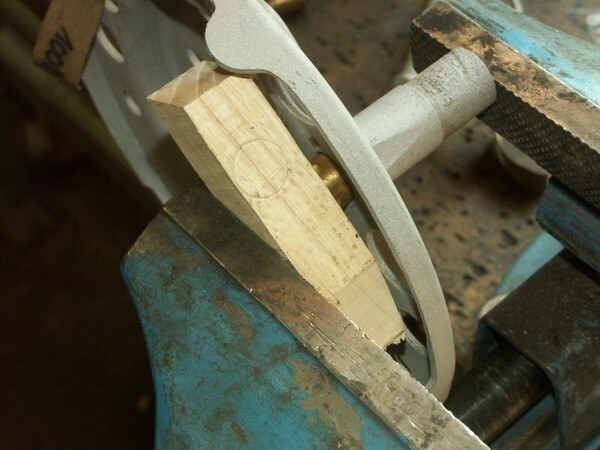 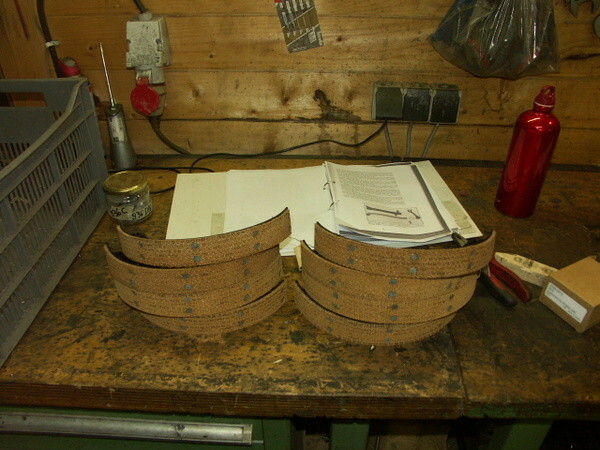 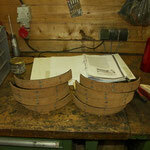 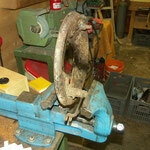 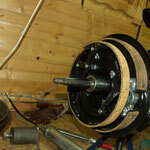 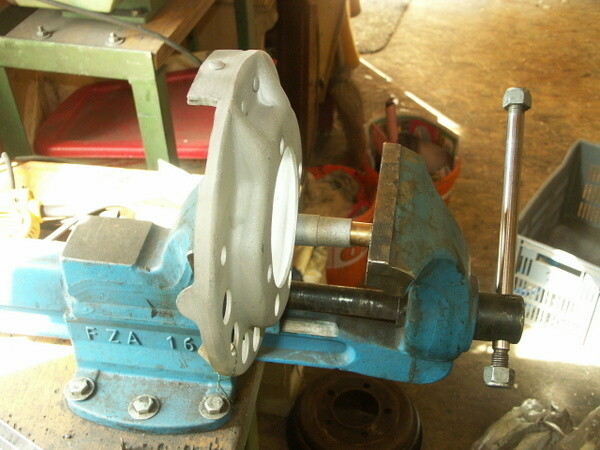 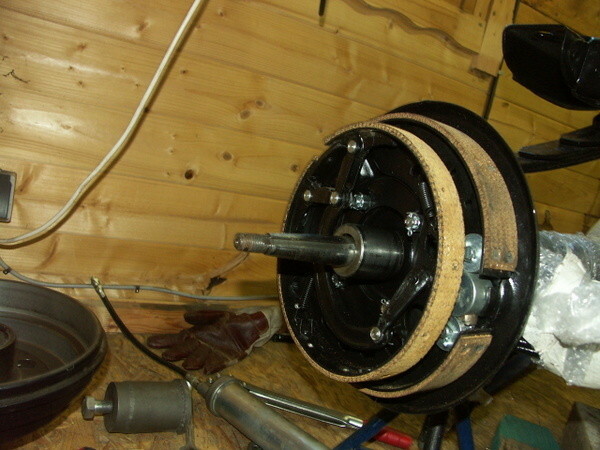 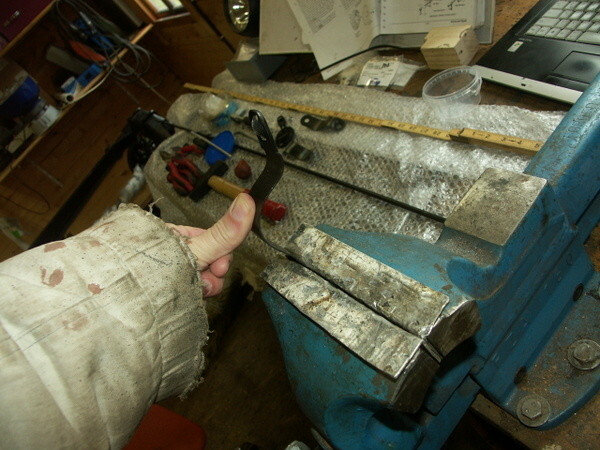 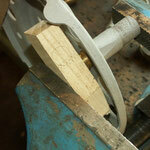 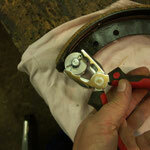 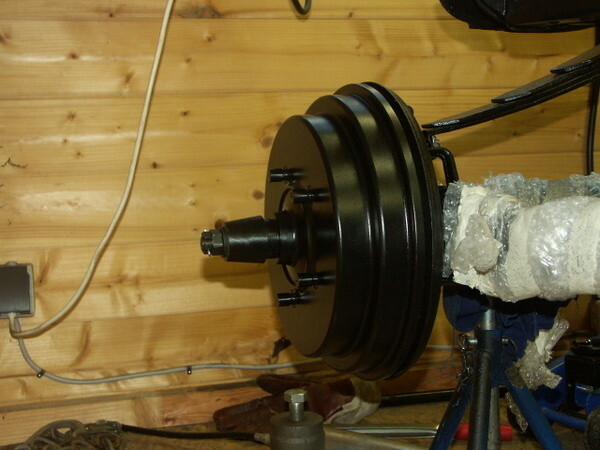 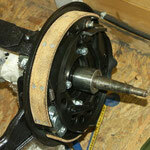 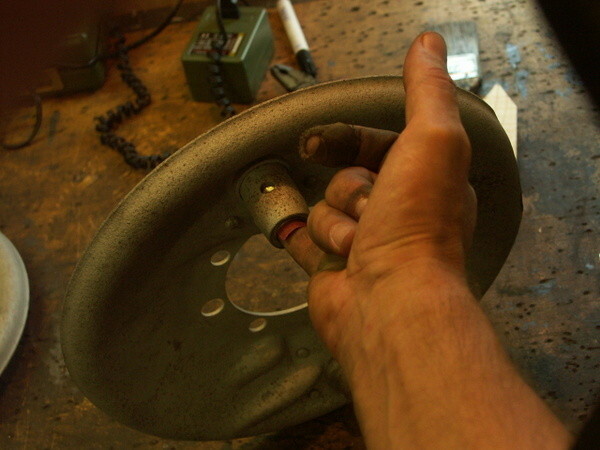 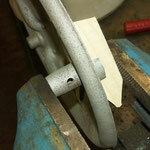 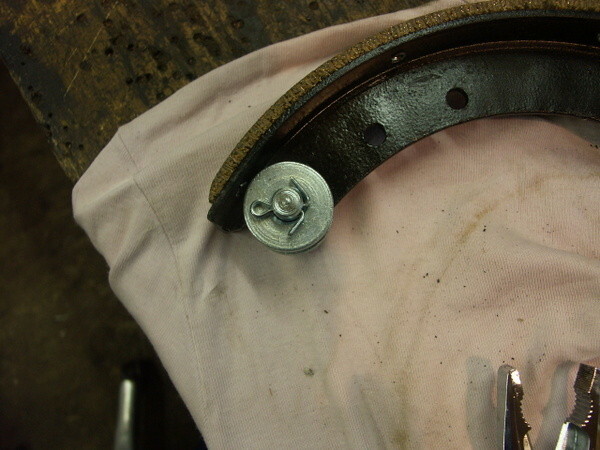 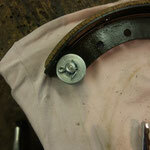 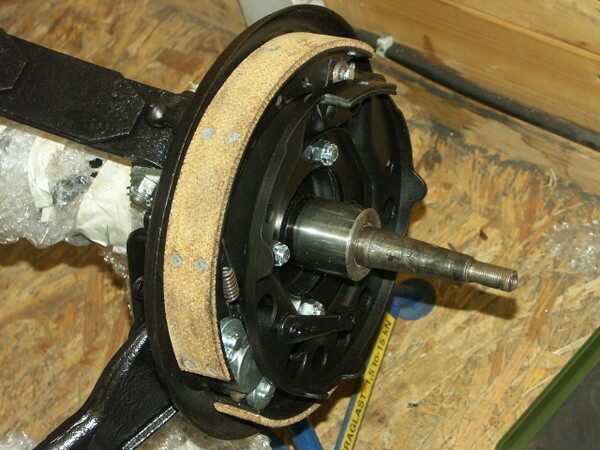 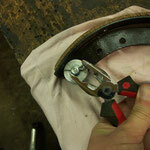 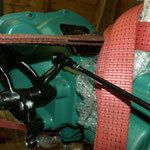 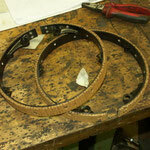 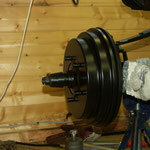 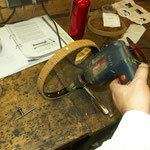 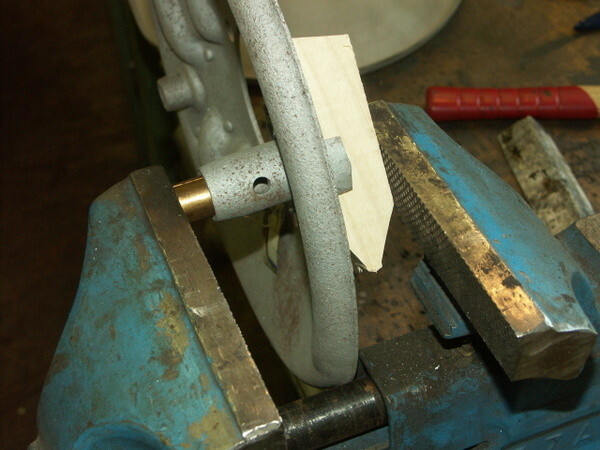 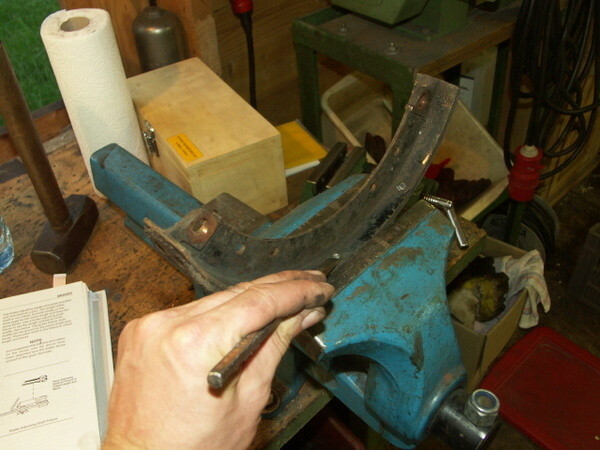 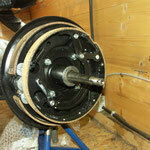 31st December 2012: Brakes are finished and assembled! 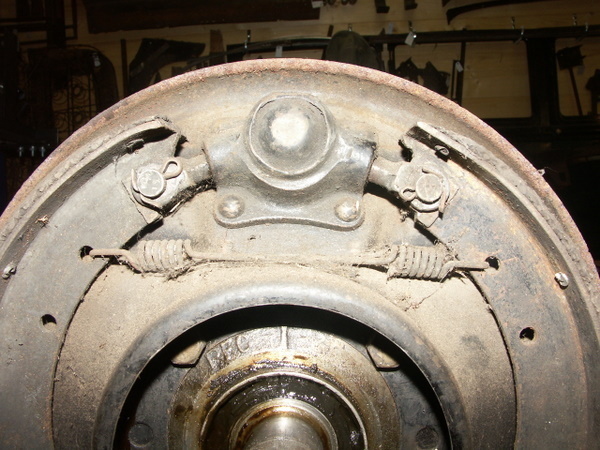 (see bottom of page). 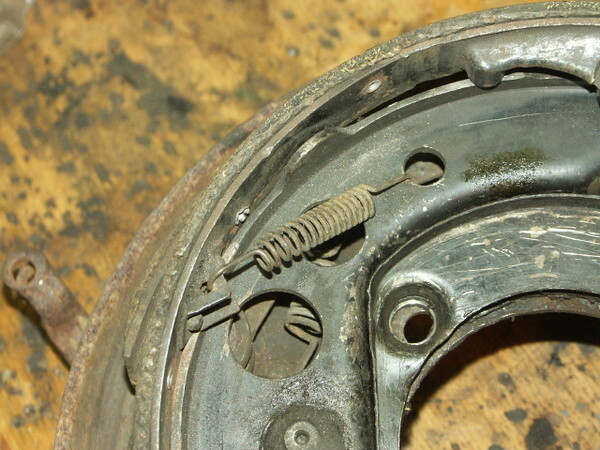 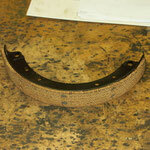 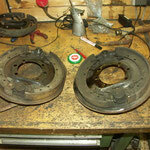 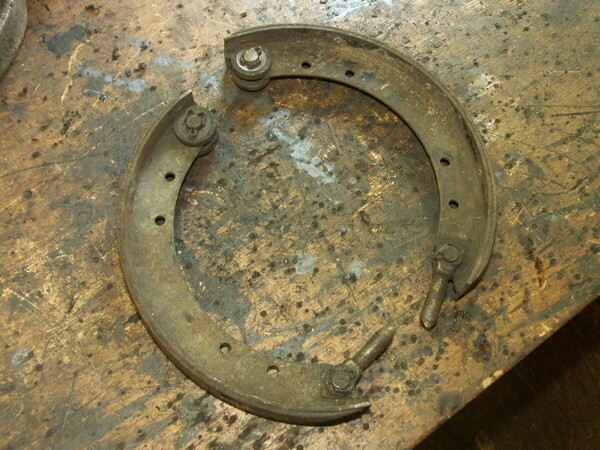 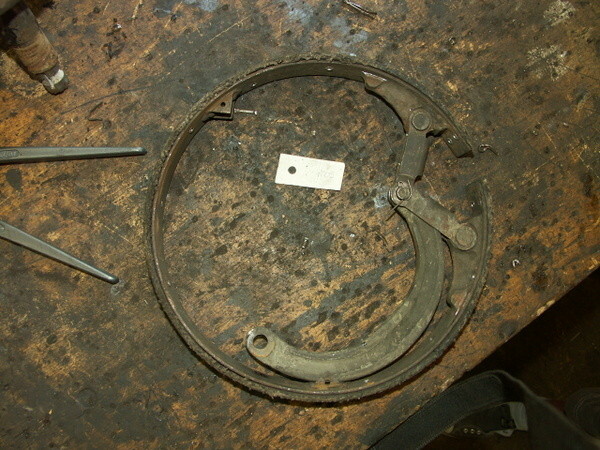 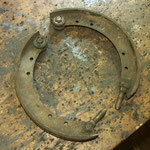 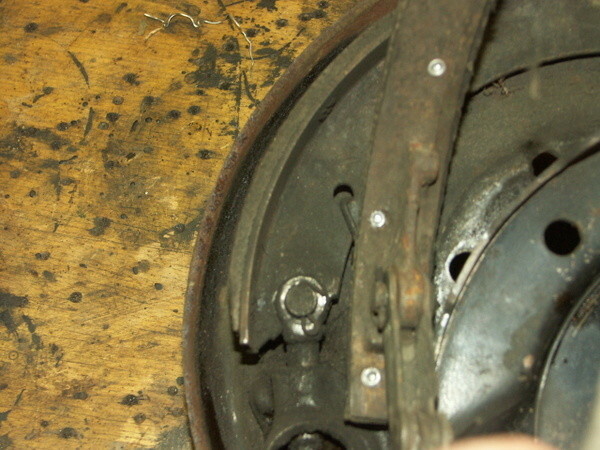 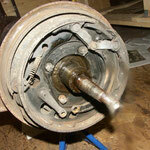 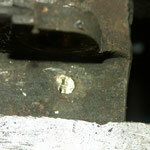 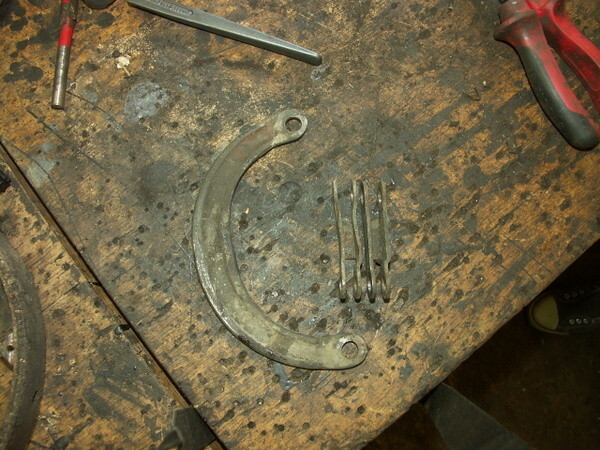 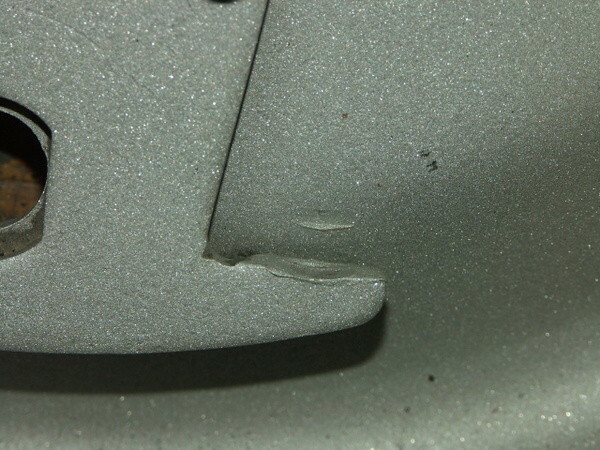 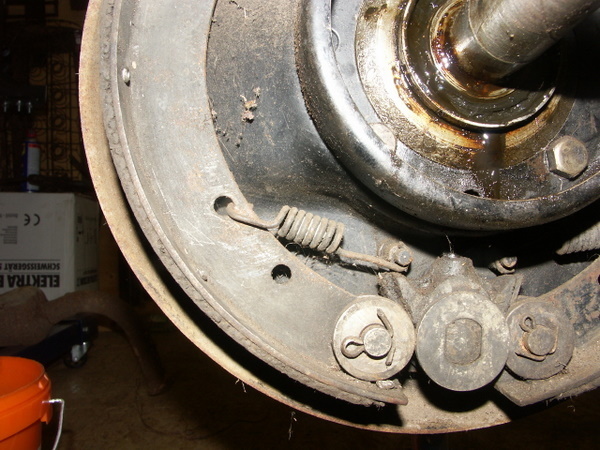 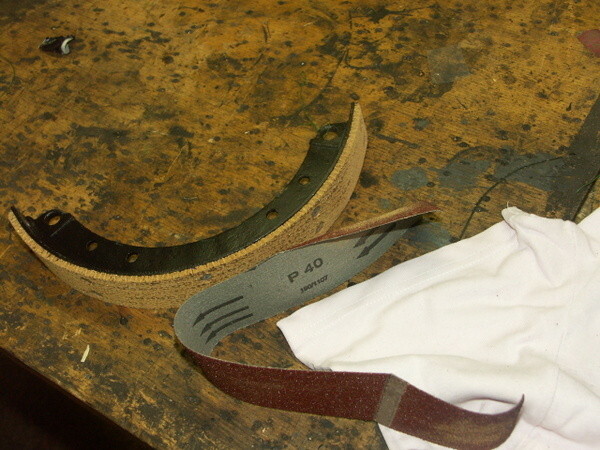 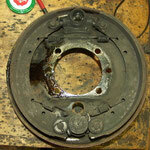 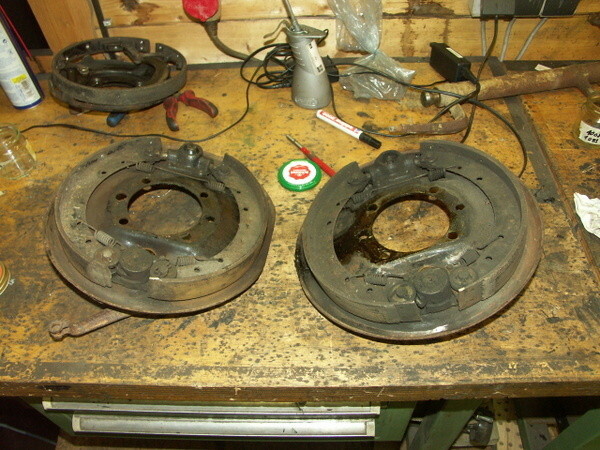 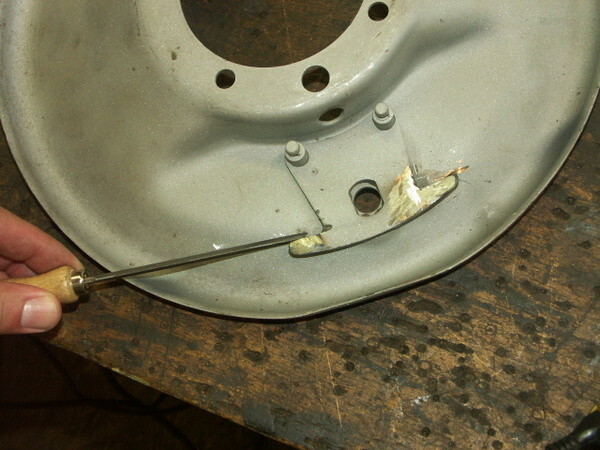 Dissambly of remaing parts of brakes. 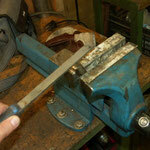 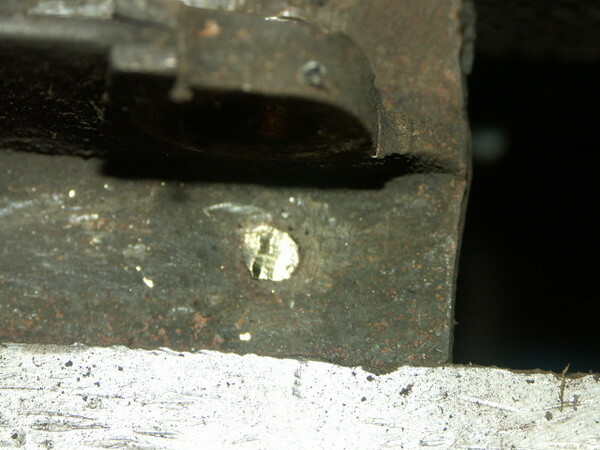 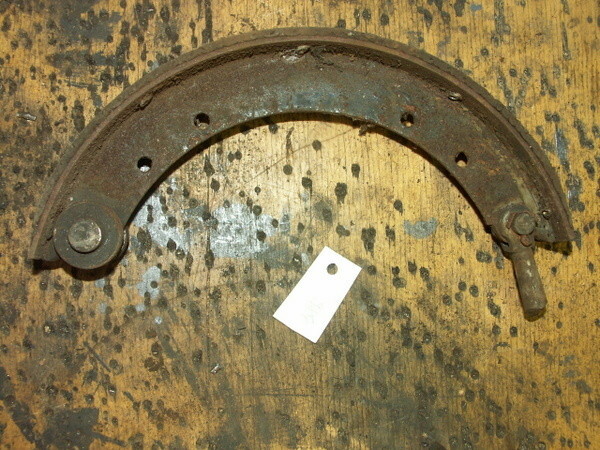 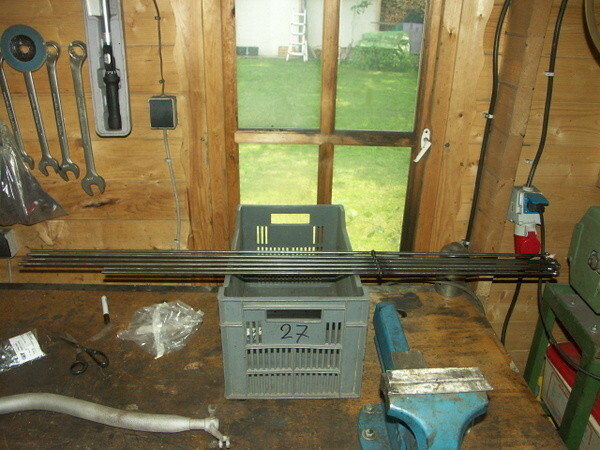 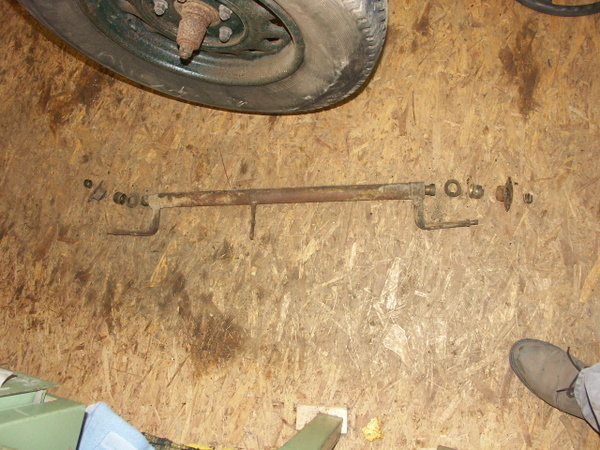 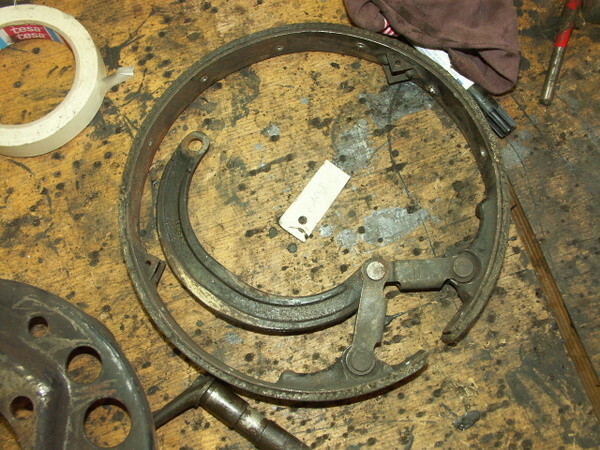 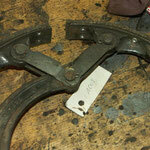 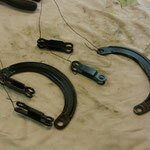 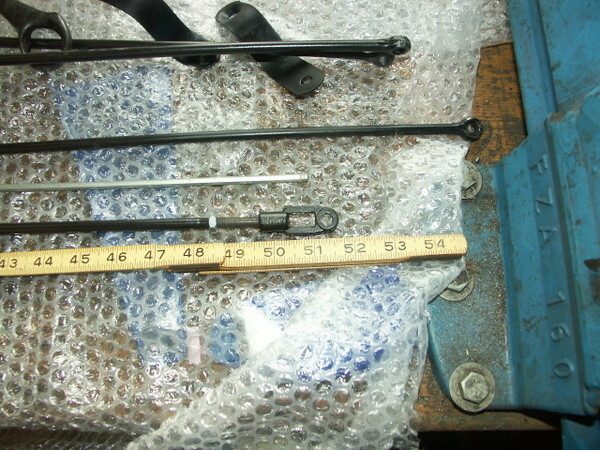 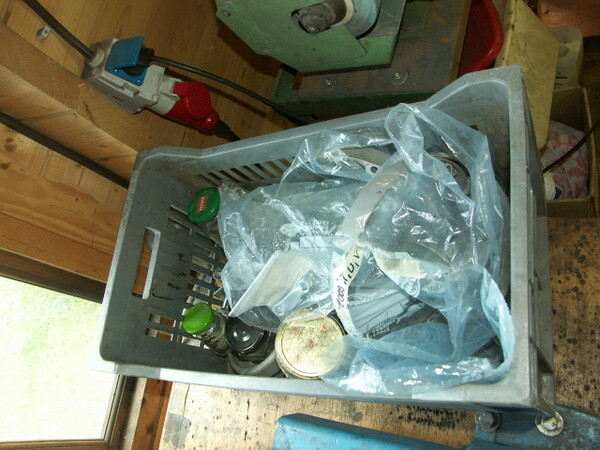 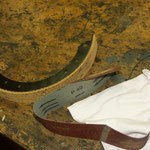 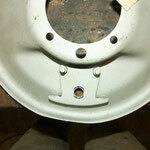 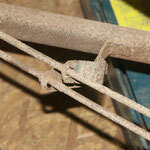 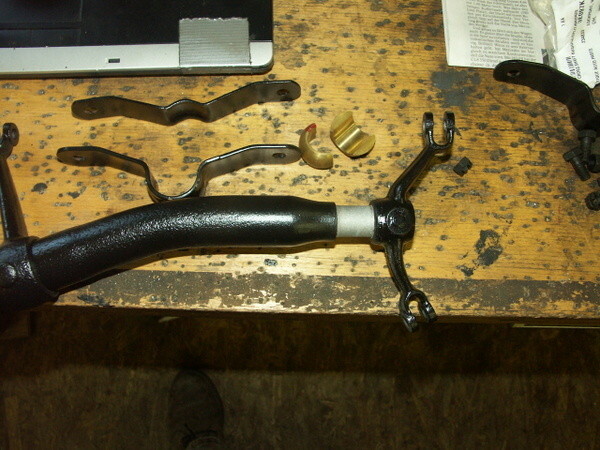 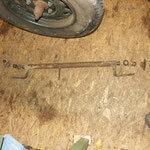 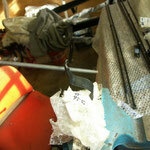 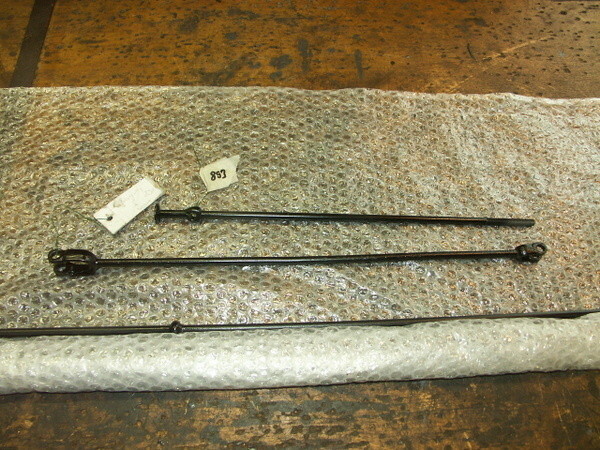 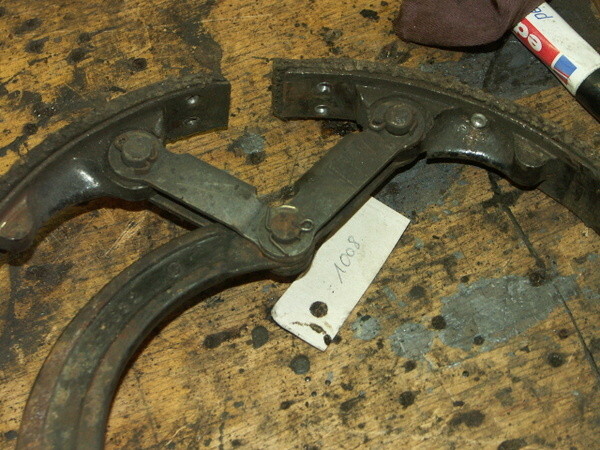 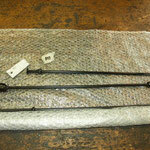 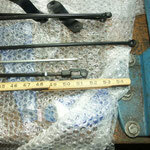 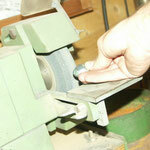 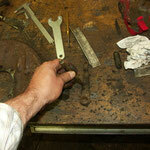 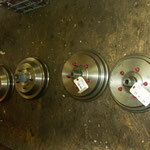 Cross shafts, backing plates, brake shoes, levers etc. 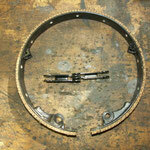 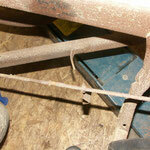 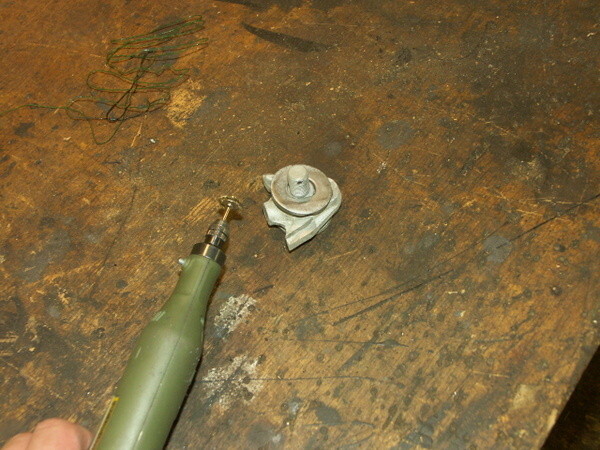 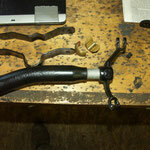 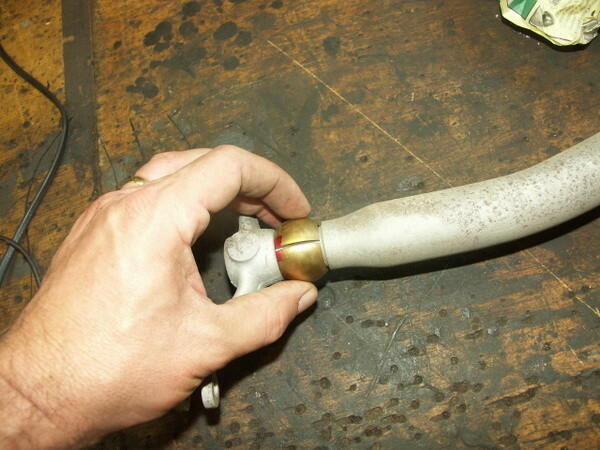 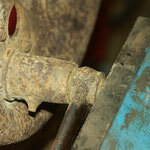 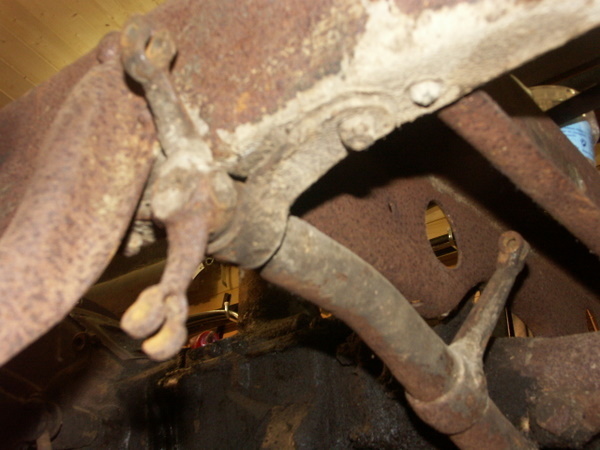 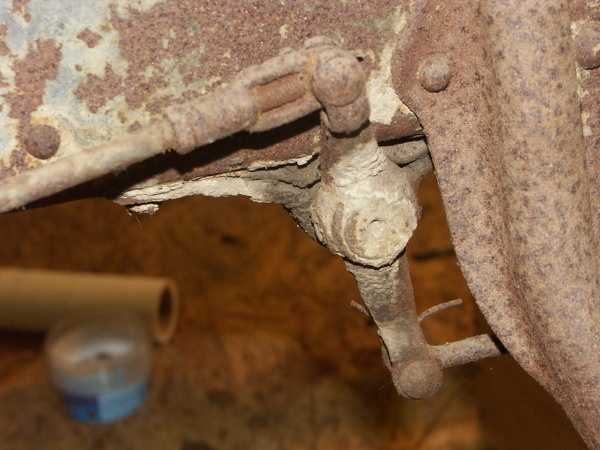 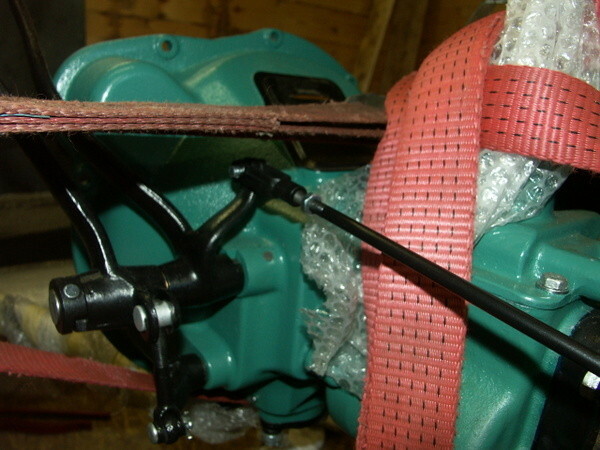 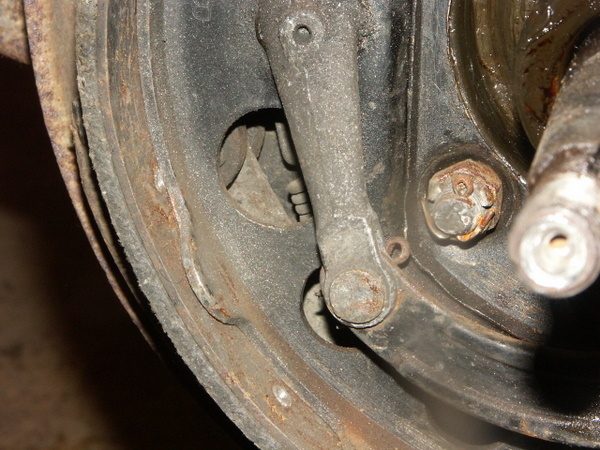 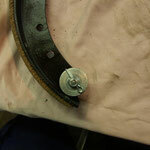 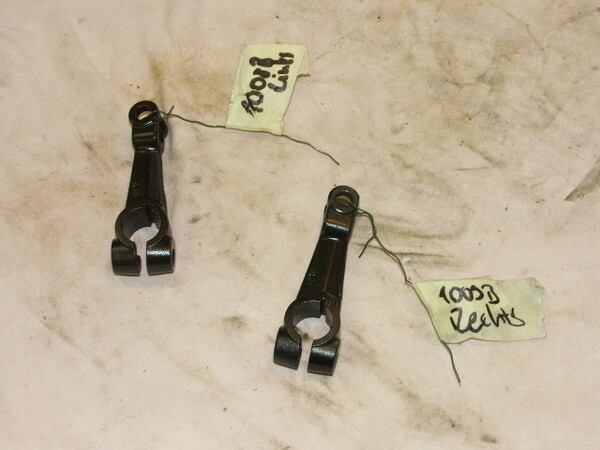 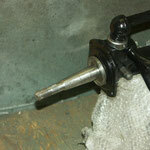 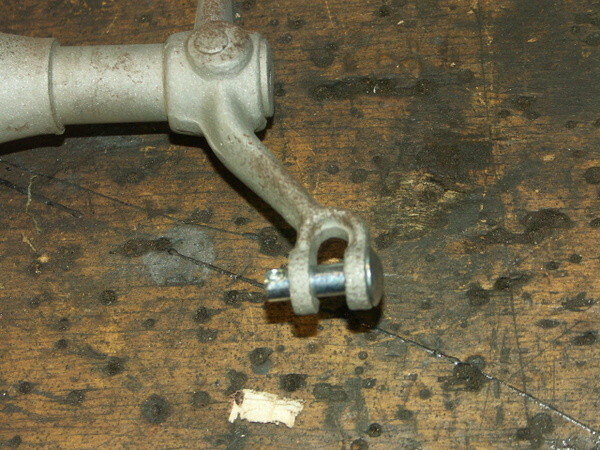 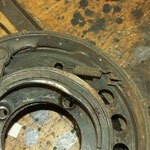 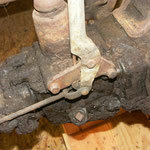 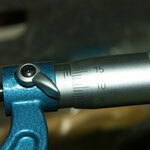 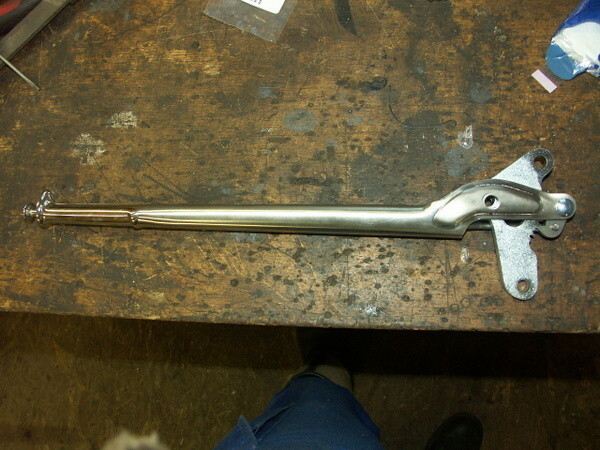 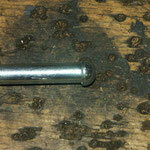 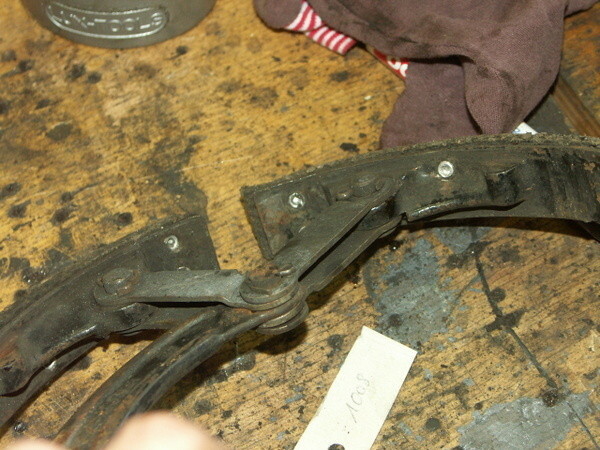 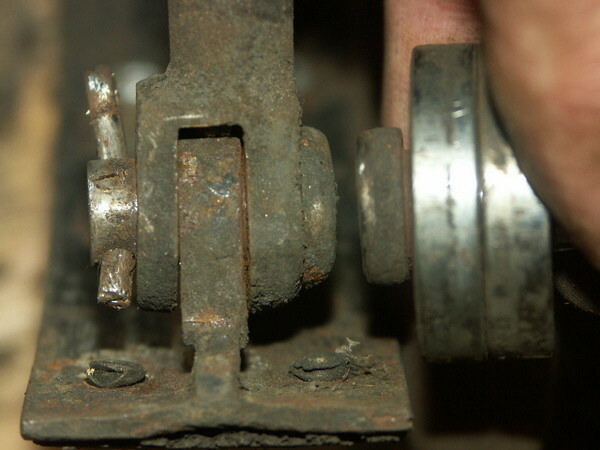 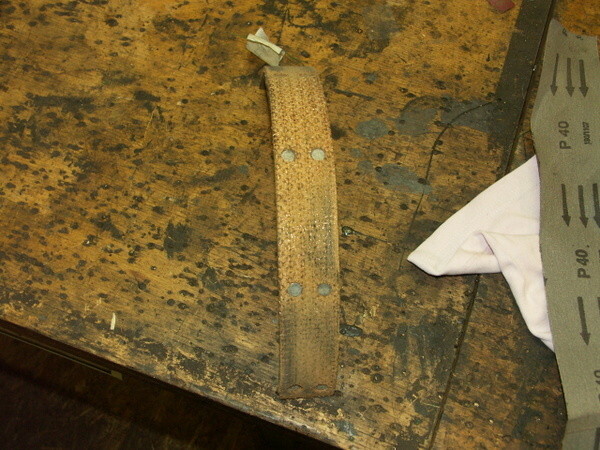 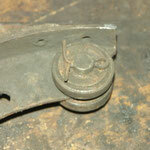 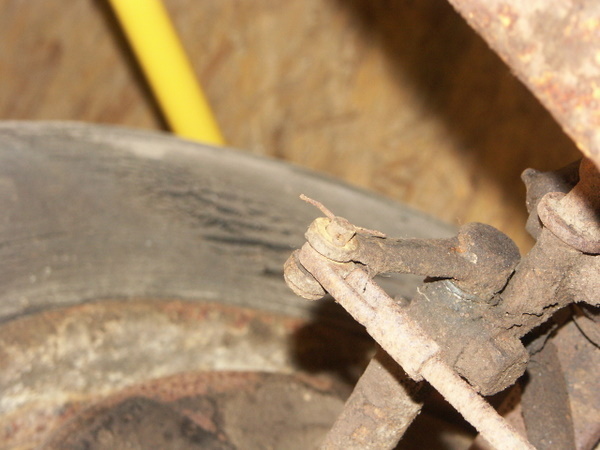 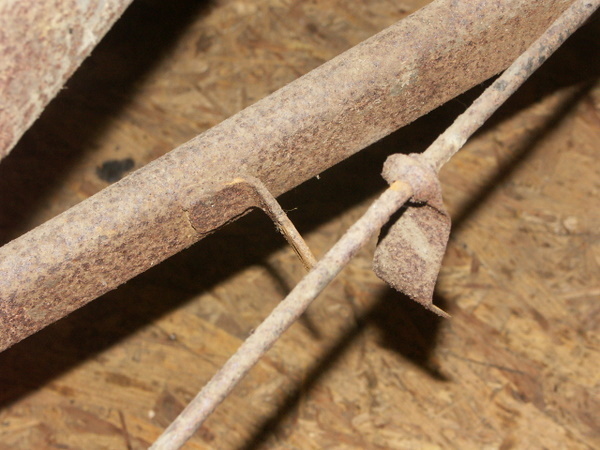 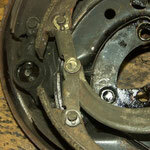 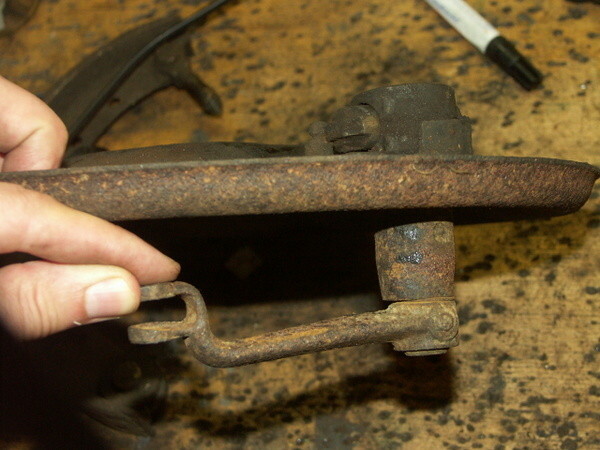 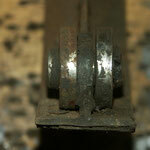 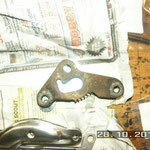 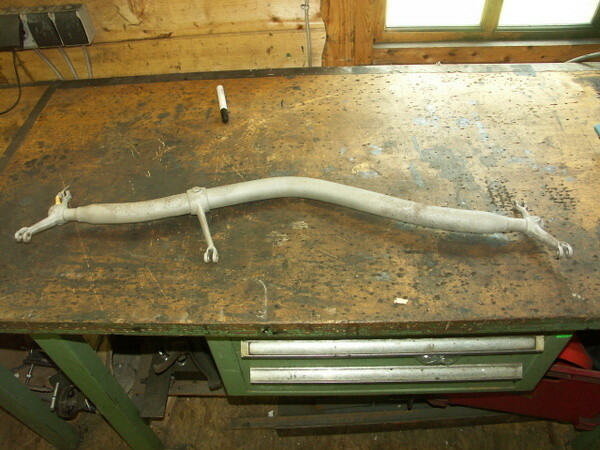 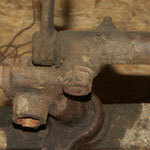 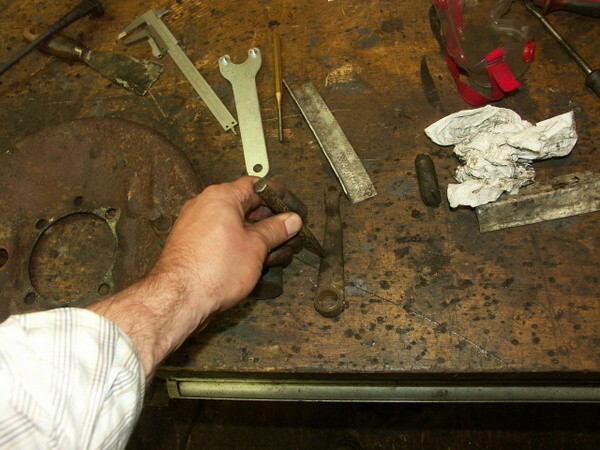 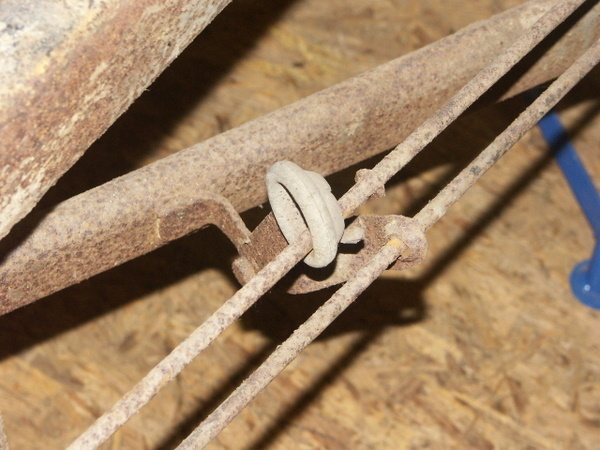 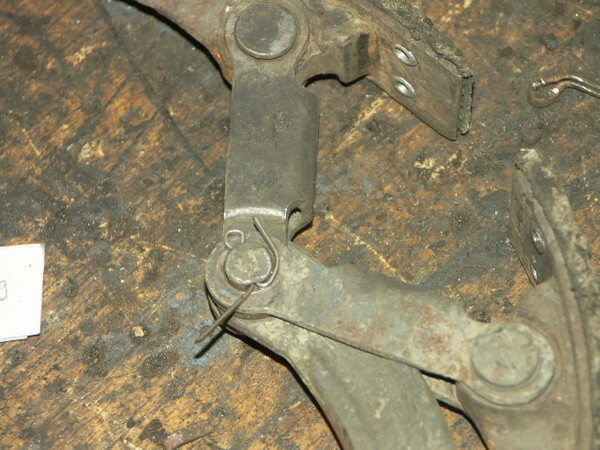 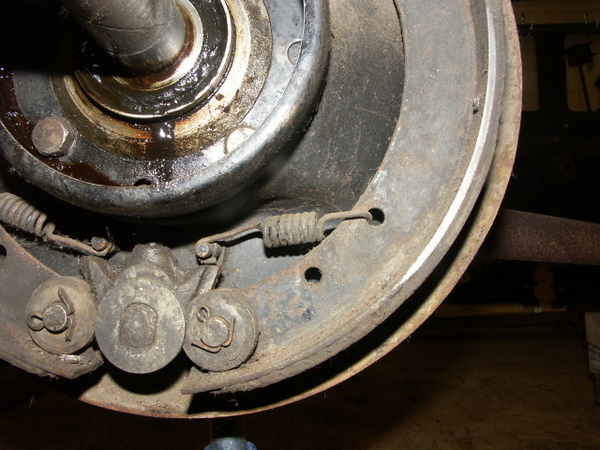 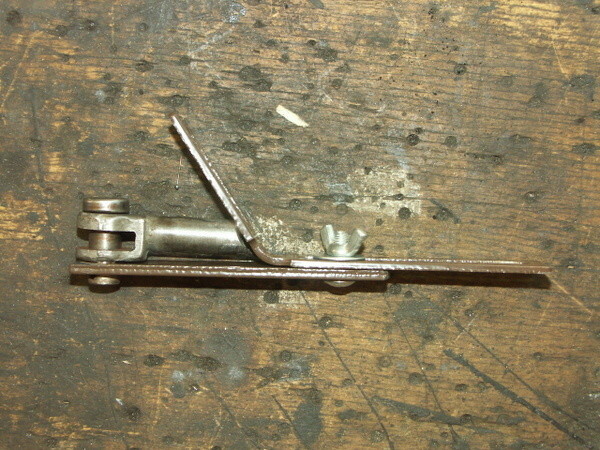 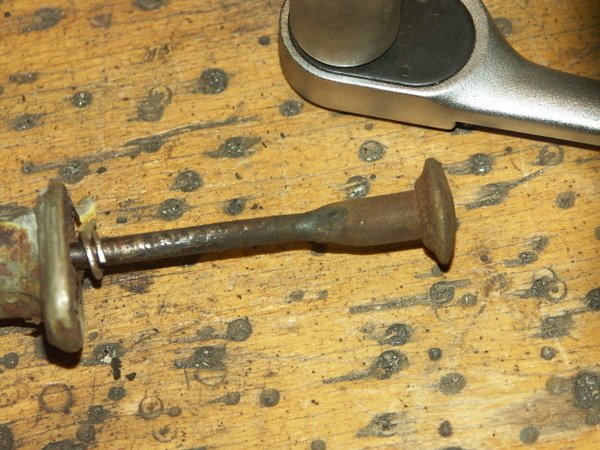 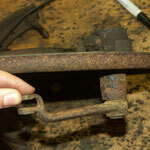 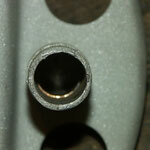 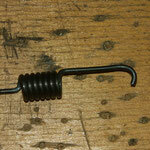 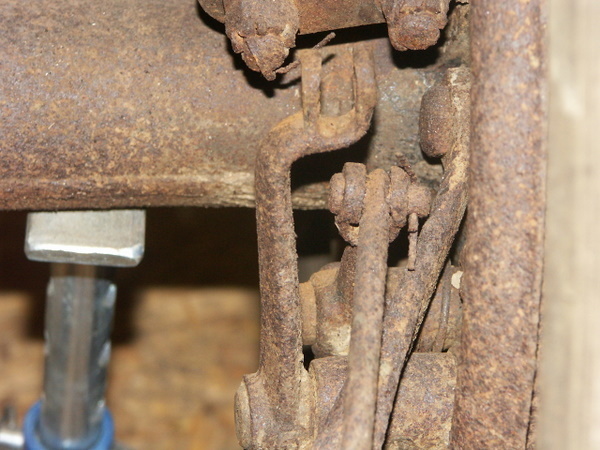 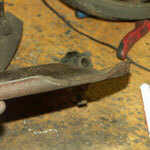 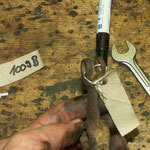 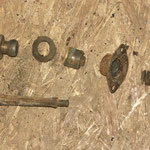 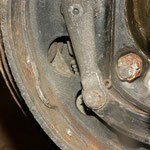 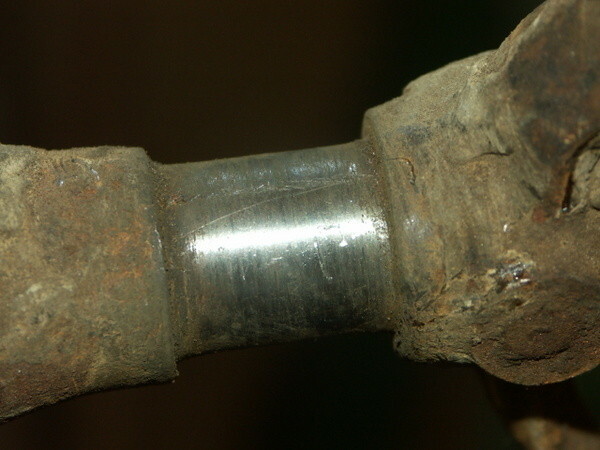 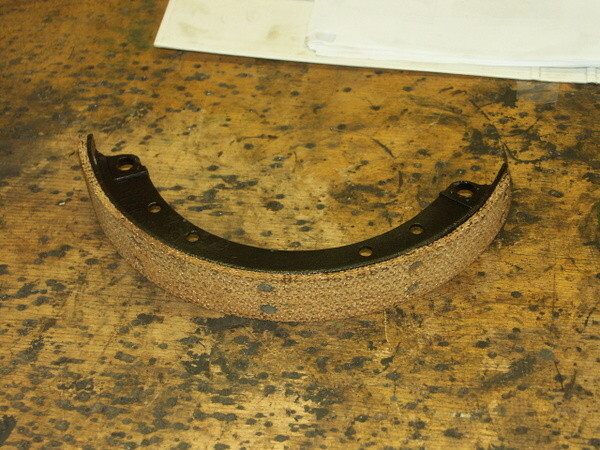 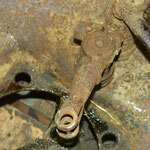 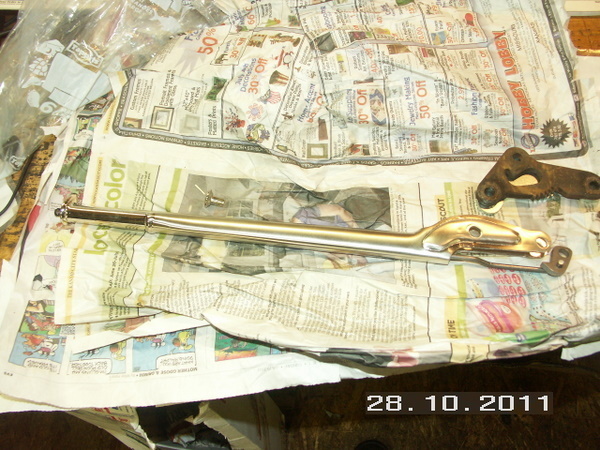 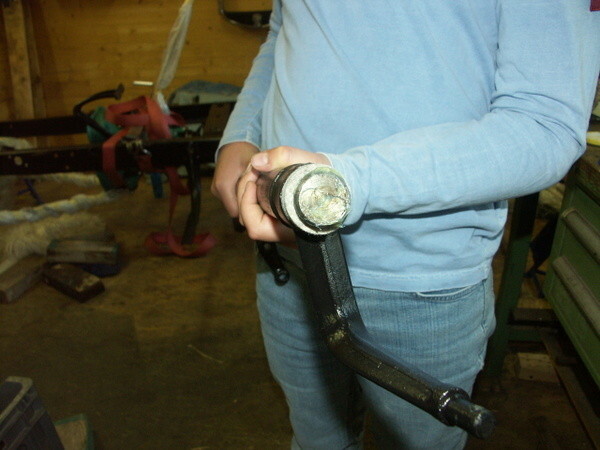 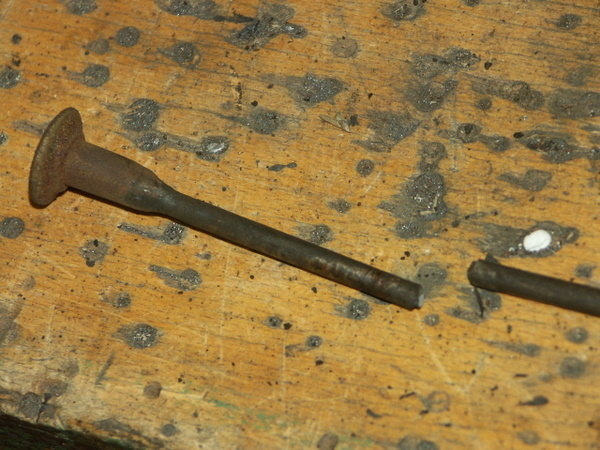 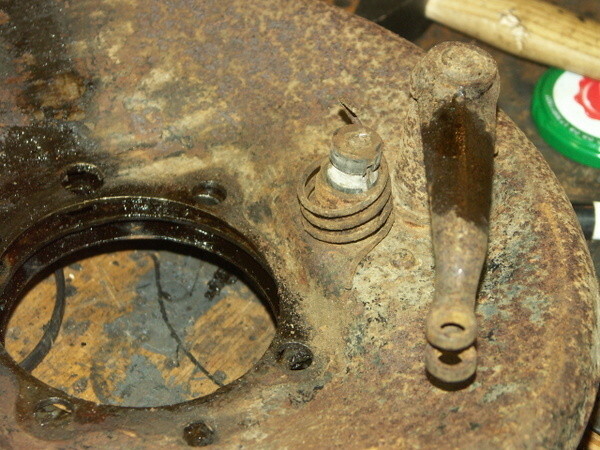 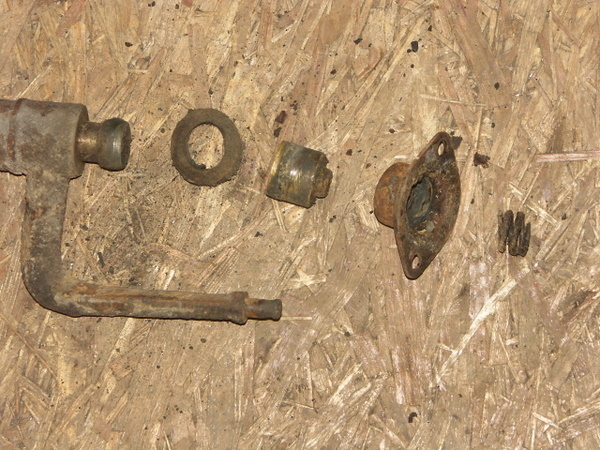 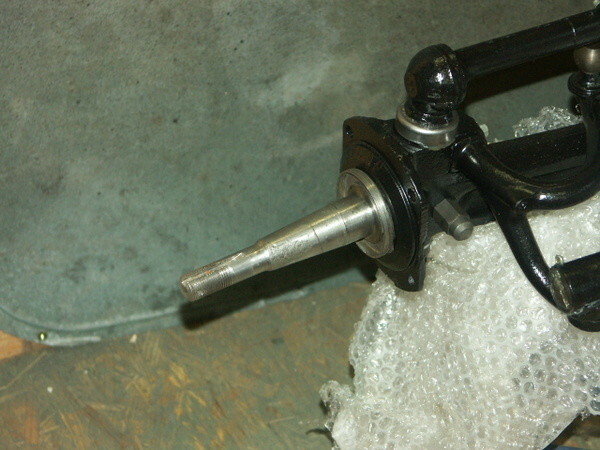 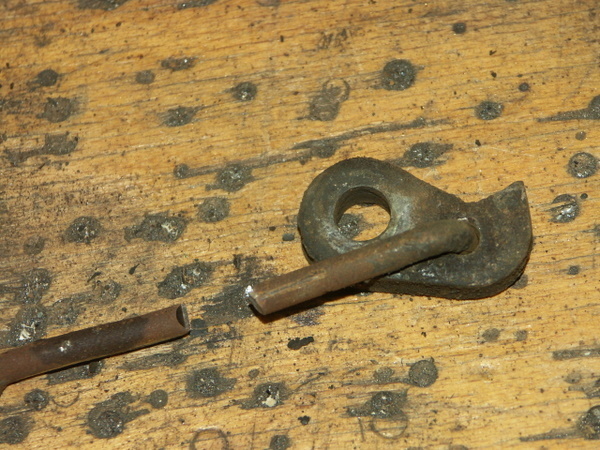 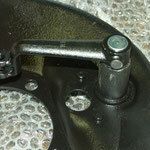 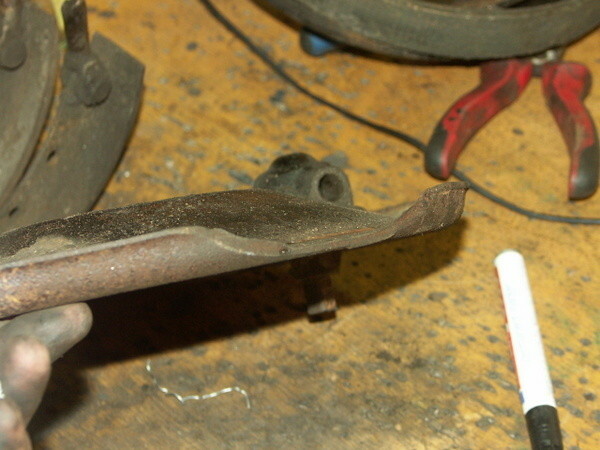 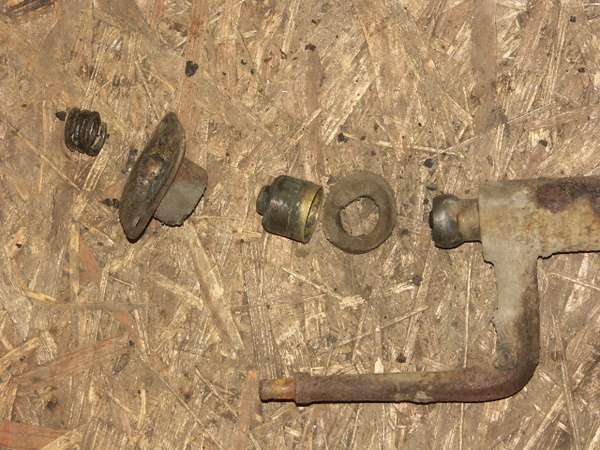 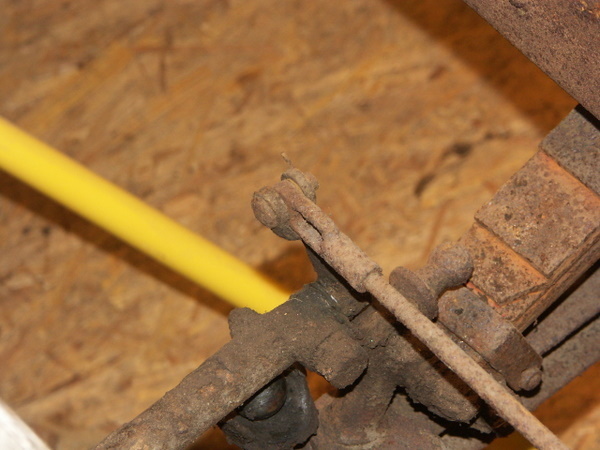 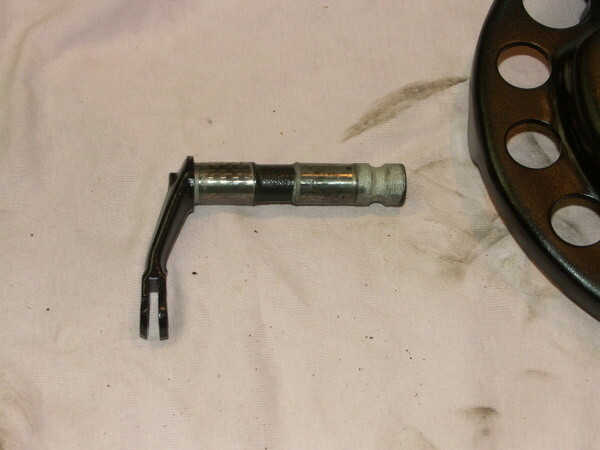 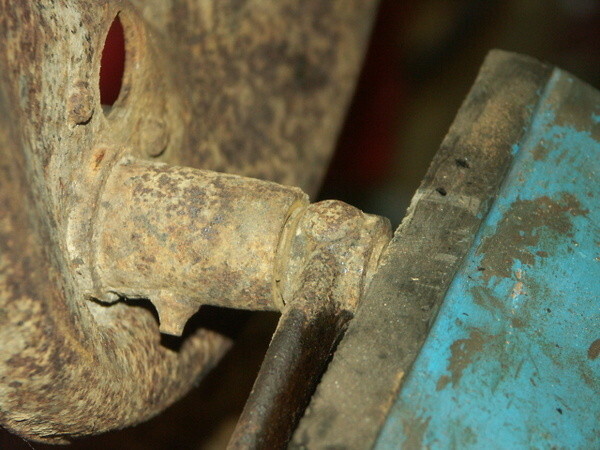 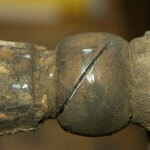 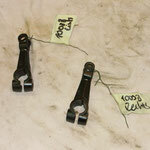 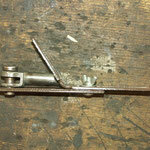 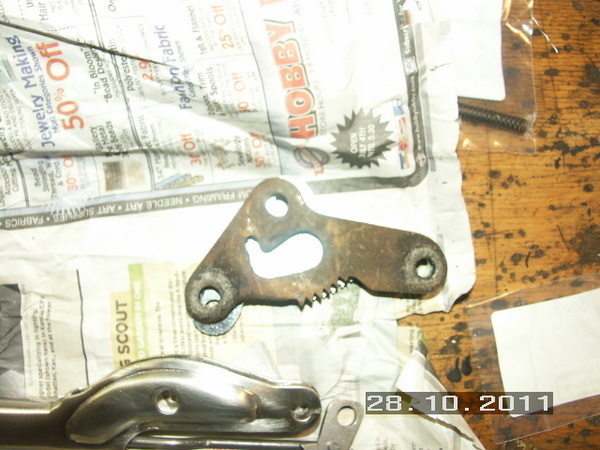 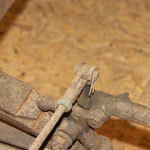 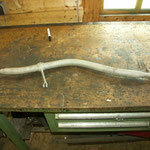 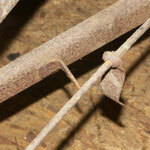 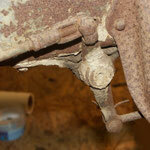 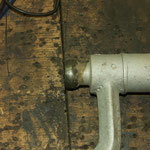 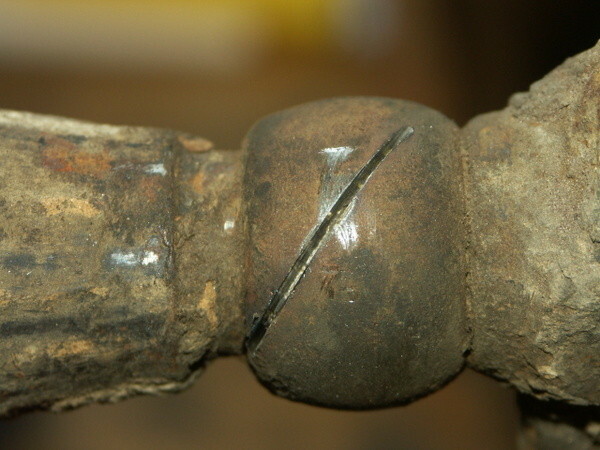 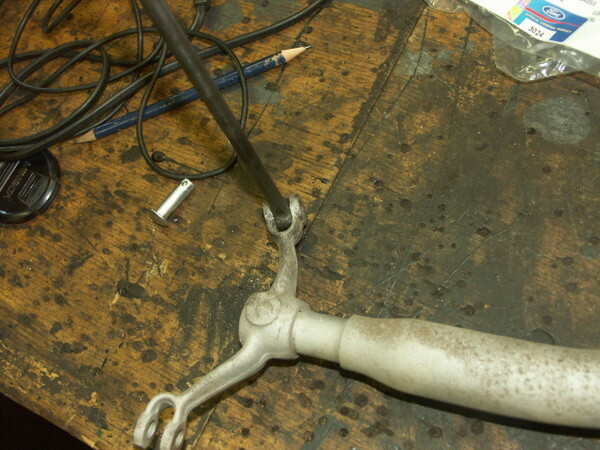 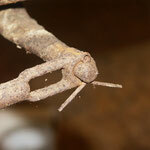 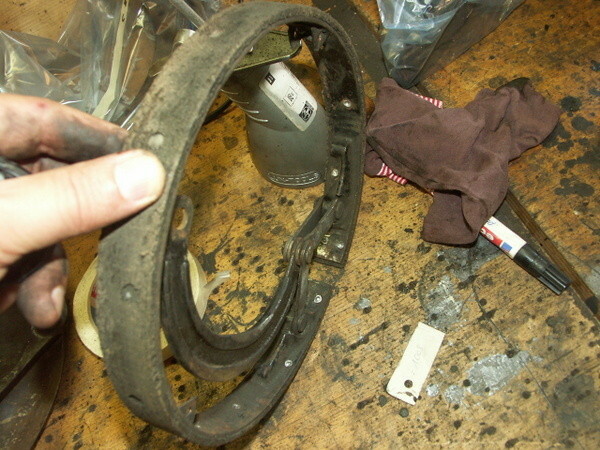 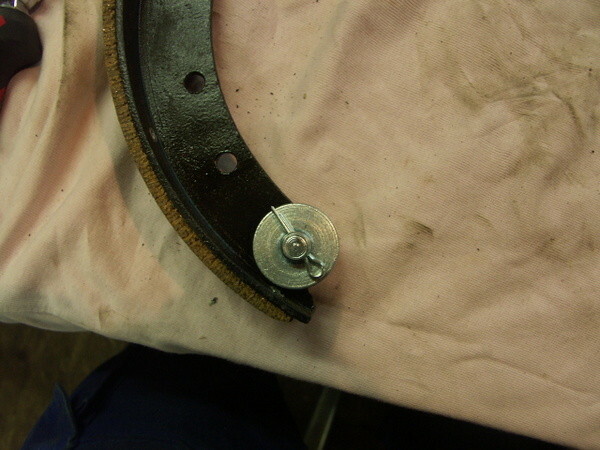 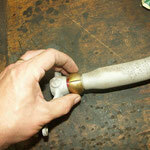 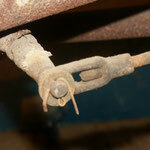 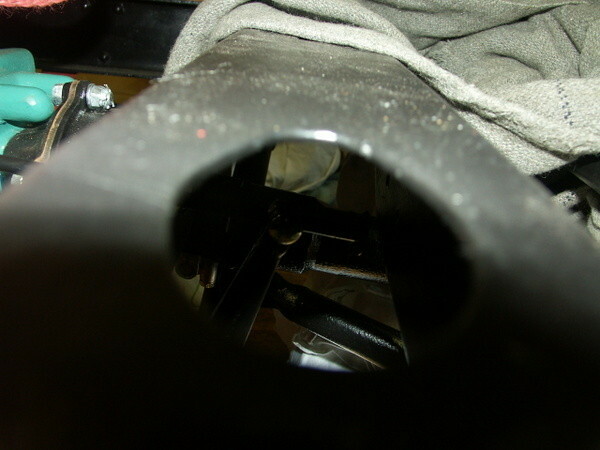 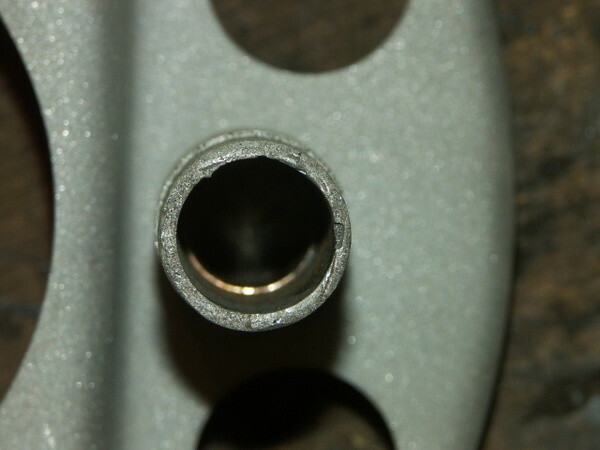 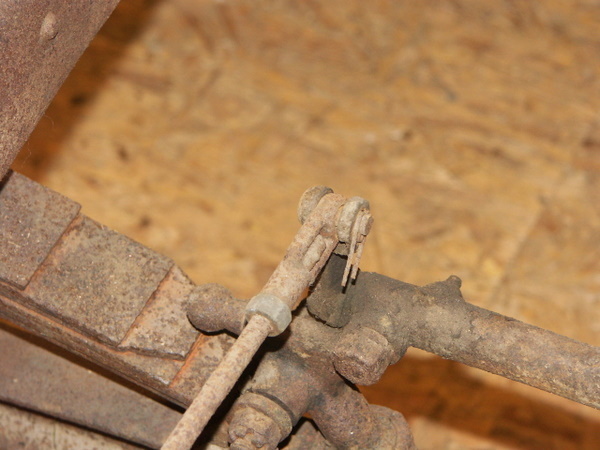 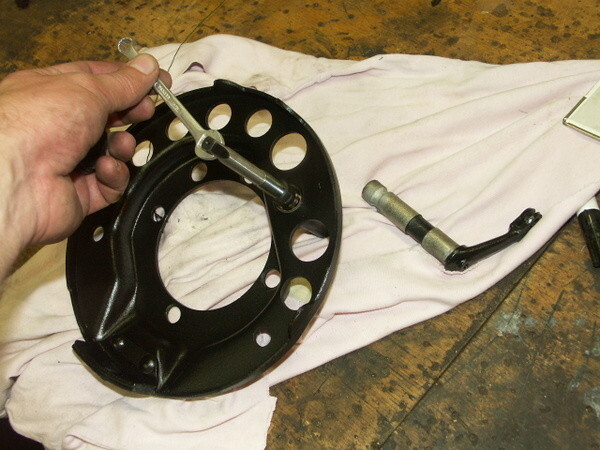 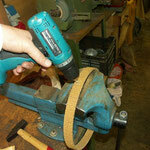 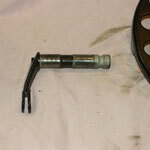 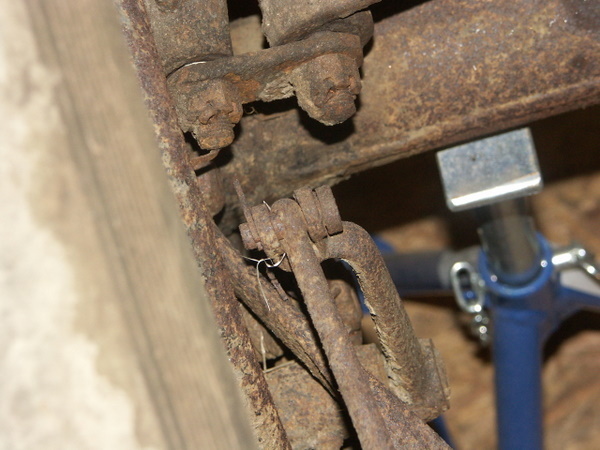 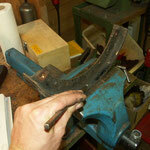 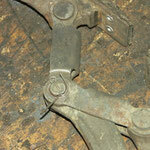 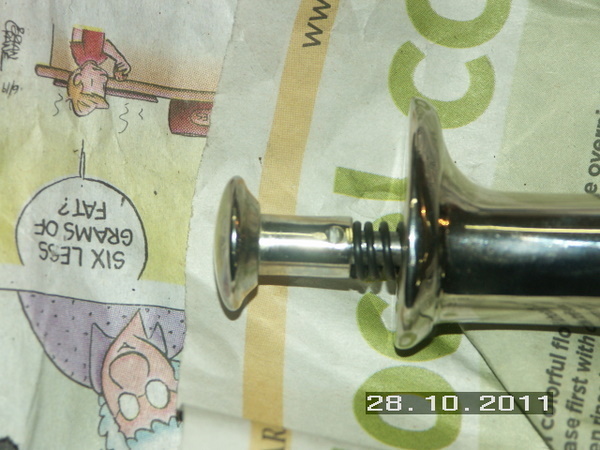 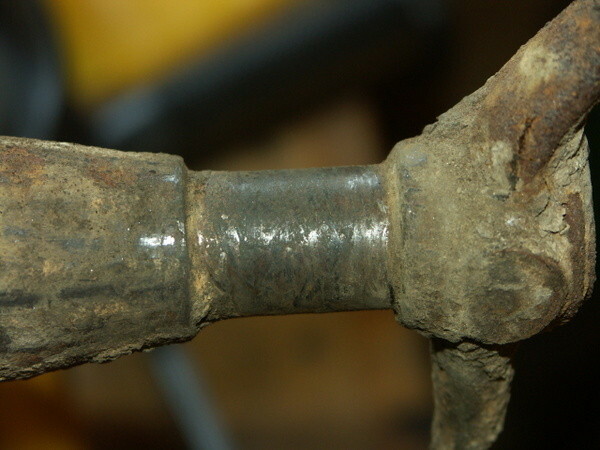 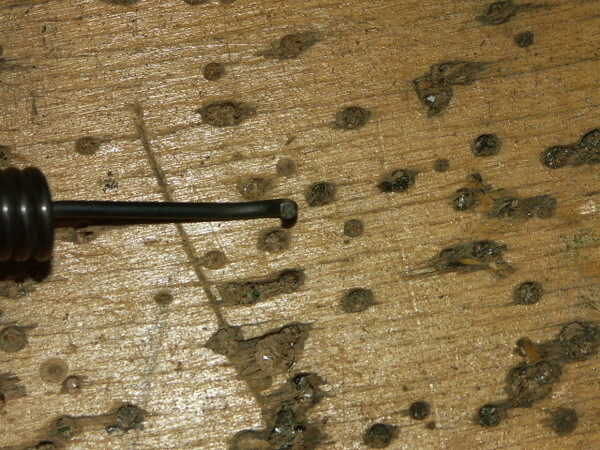 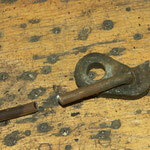 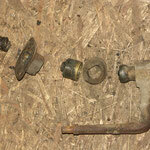 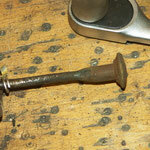 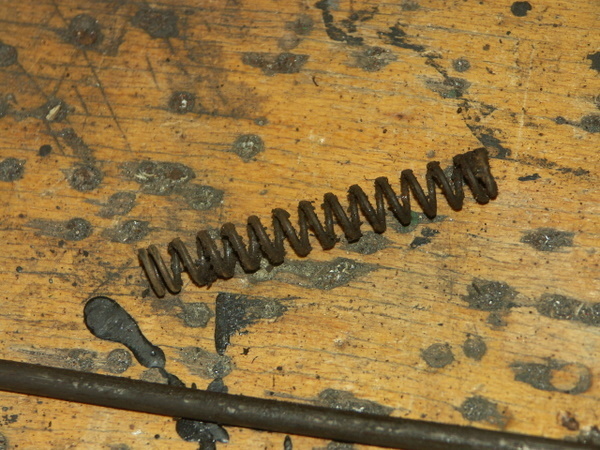 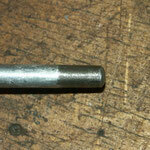 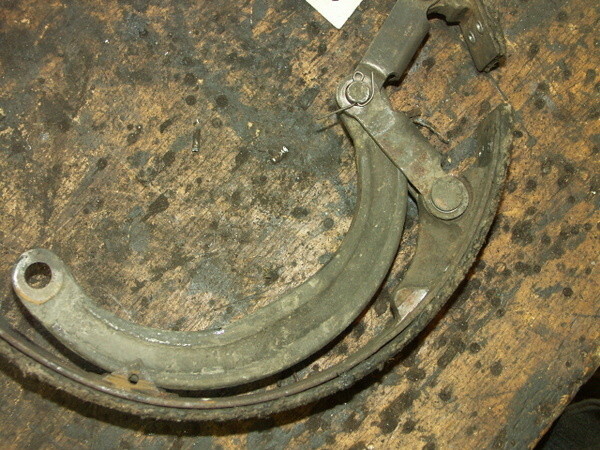 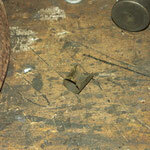 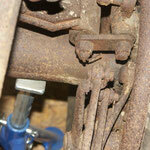 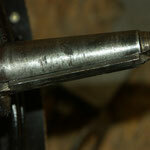 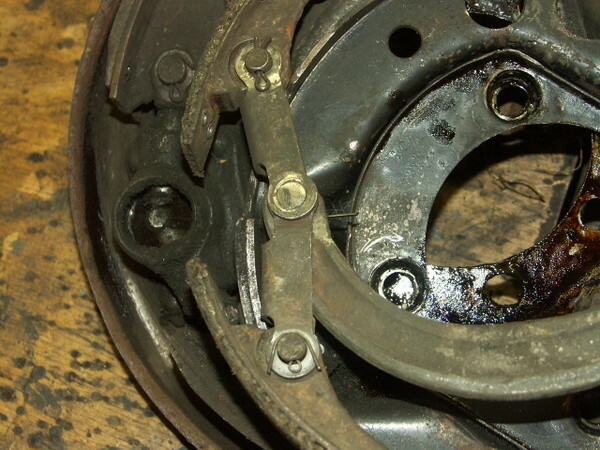 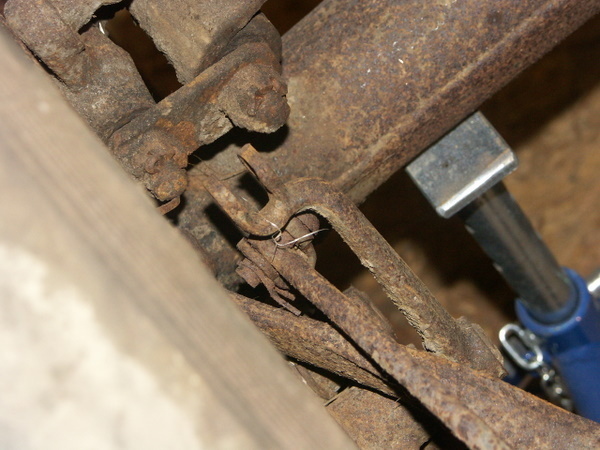 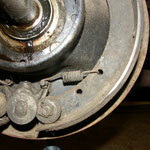 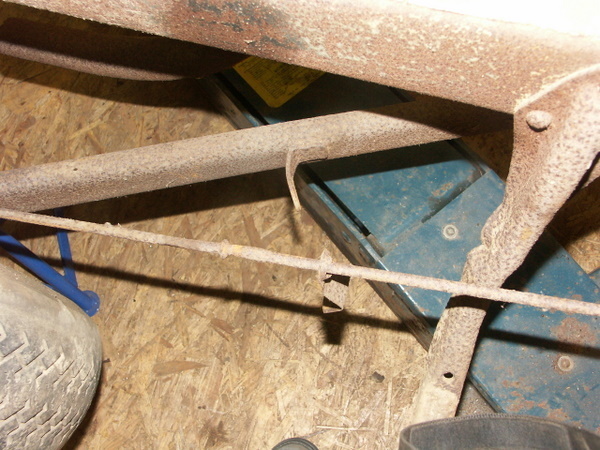 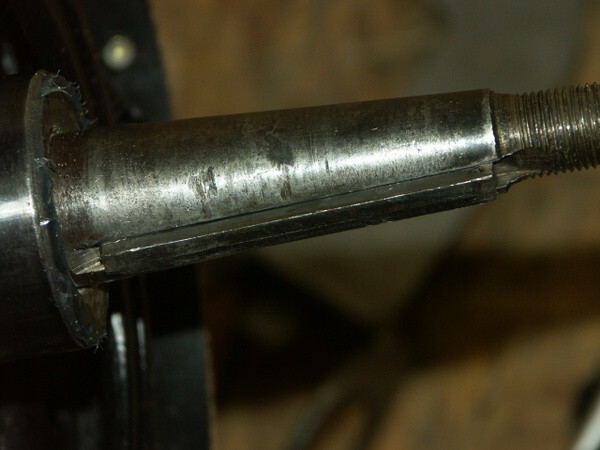 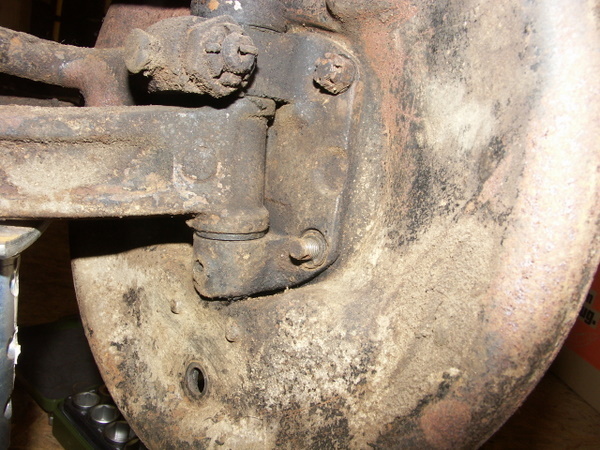 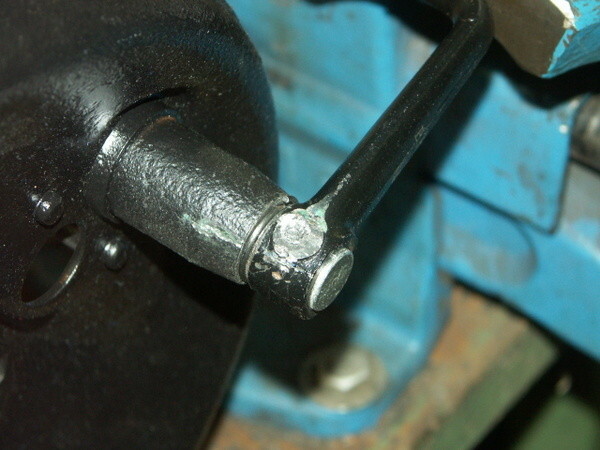 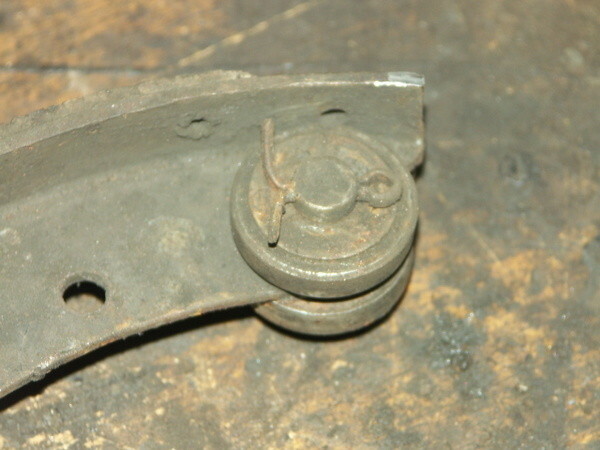 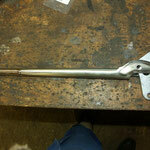 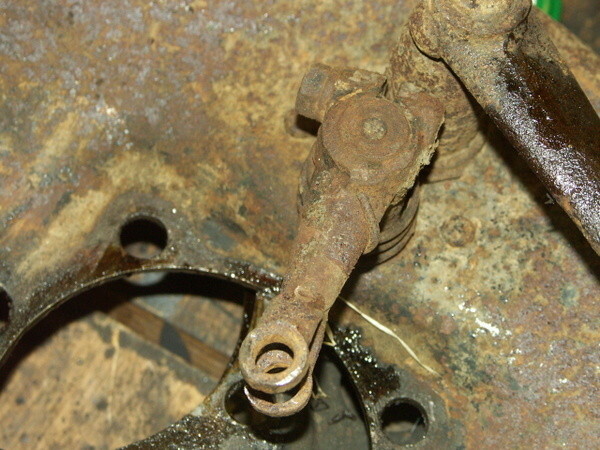 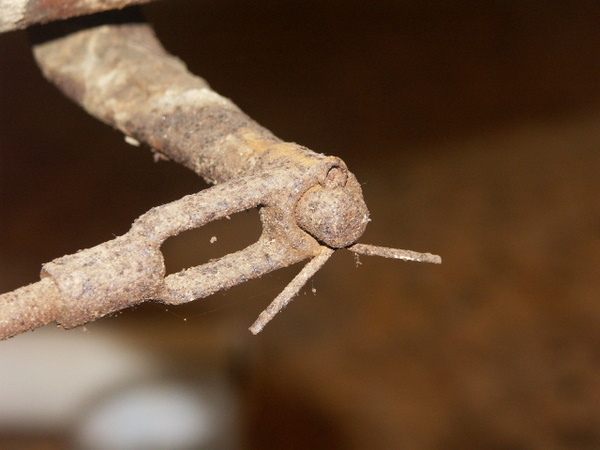 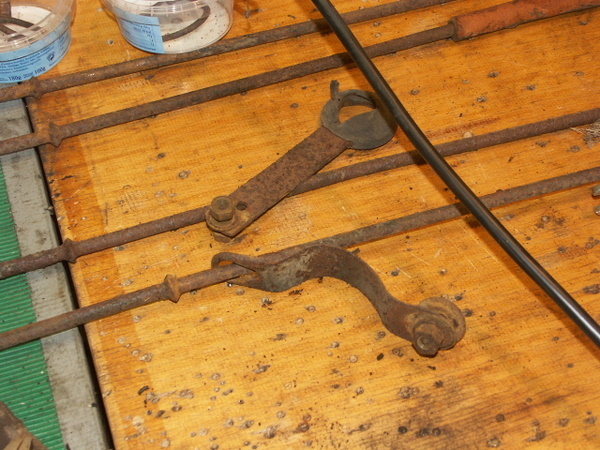 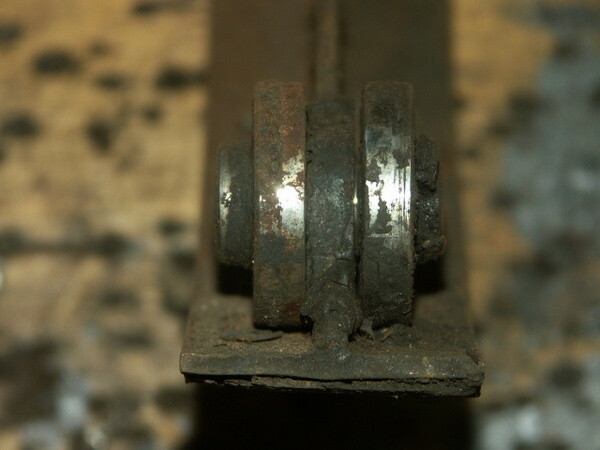 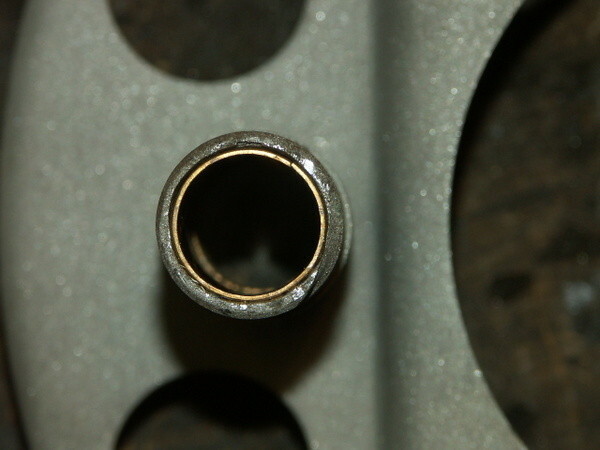 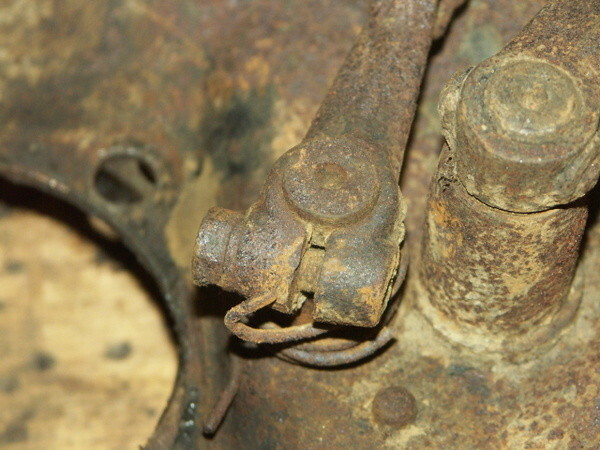 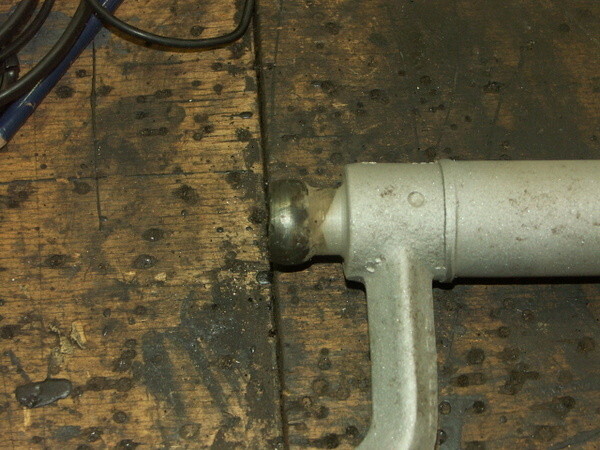 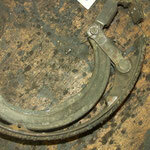 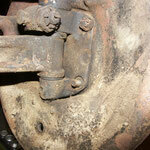 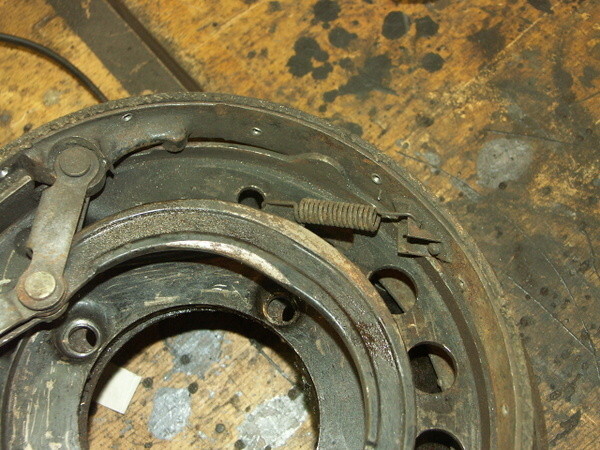 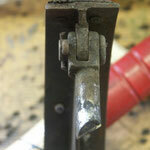 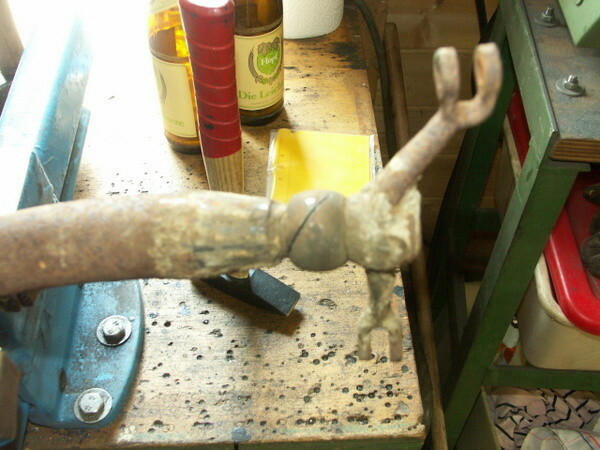 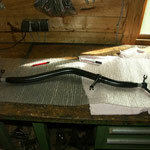 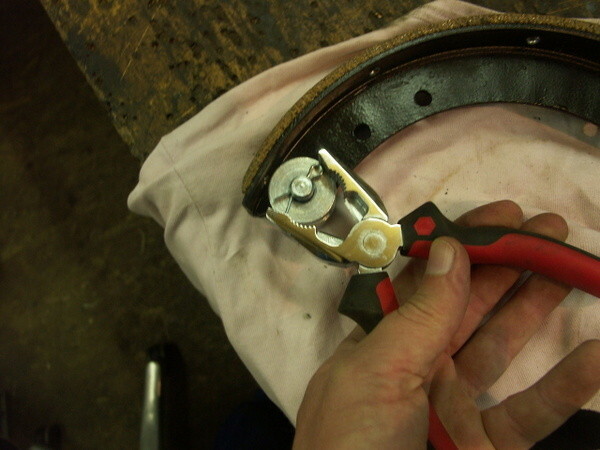 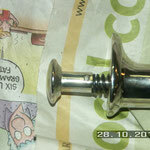 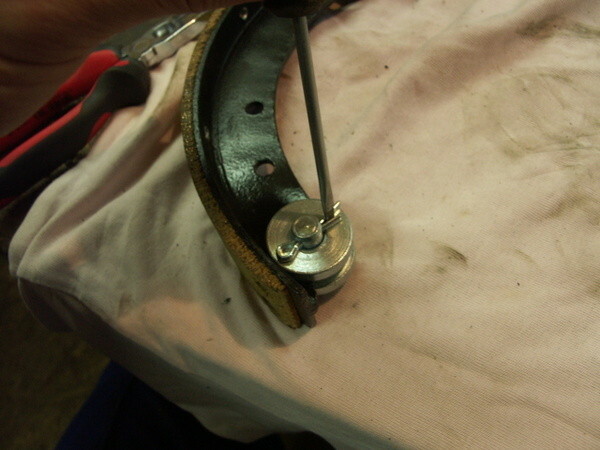 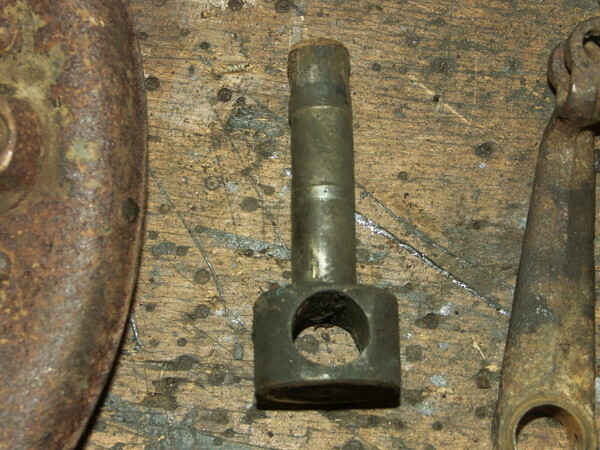 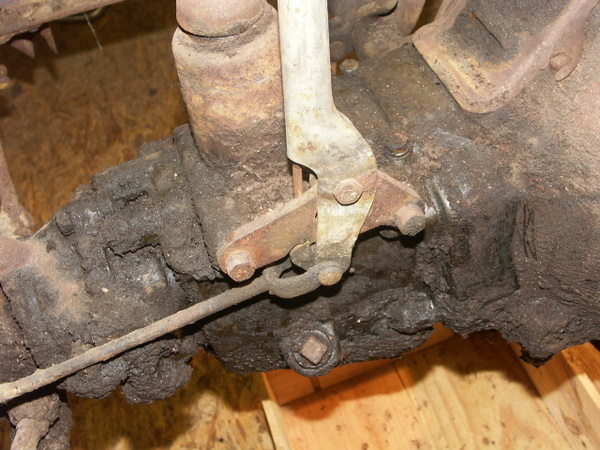 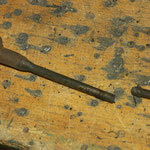 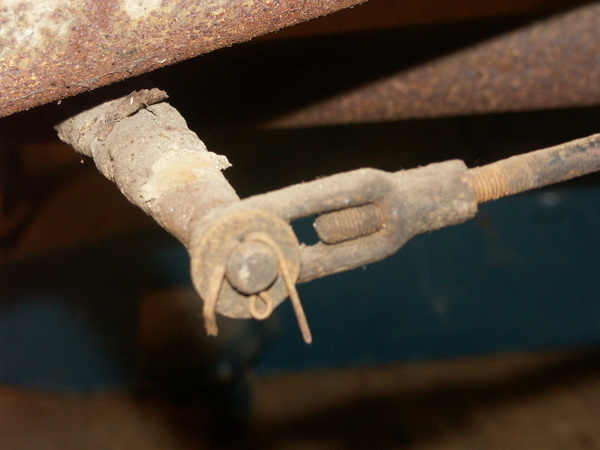 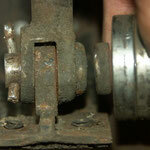 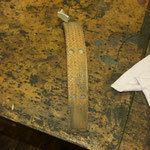 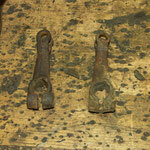 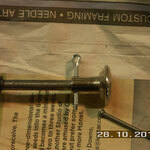 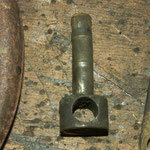 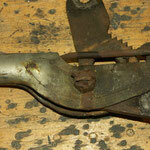 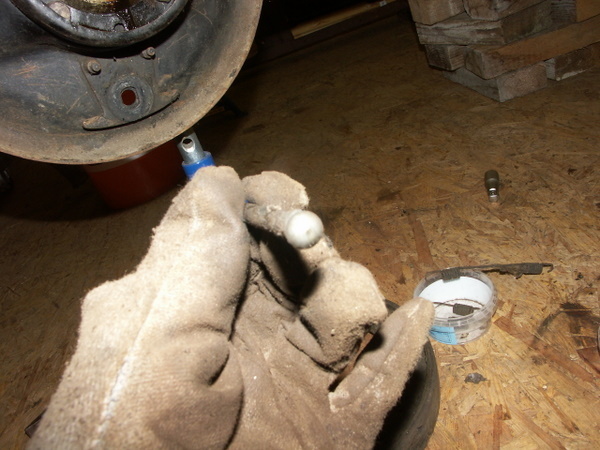 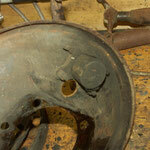 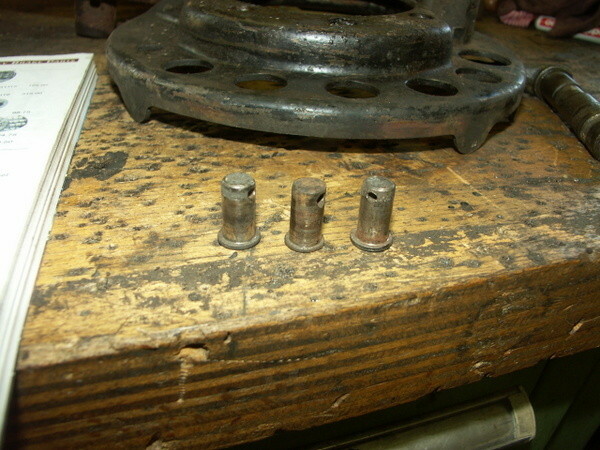 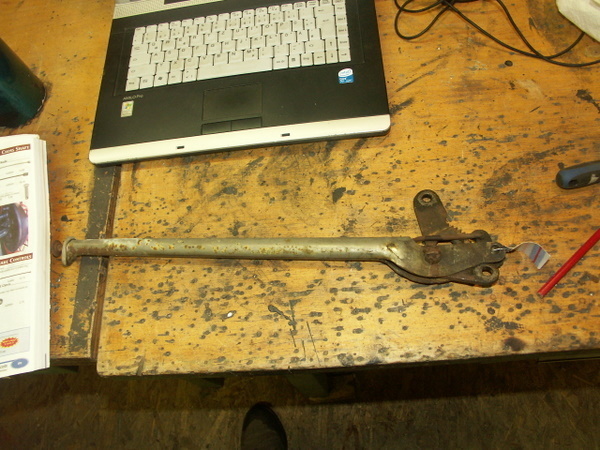 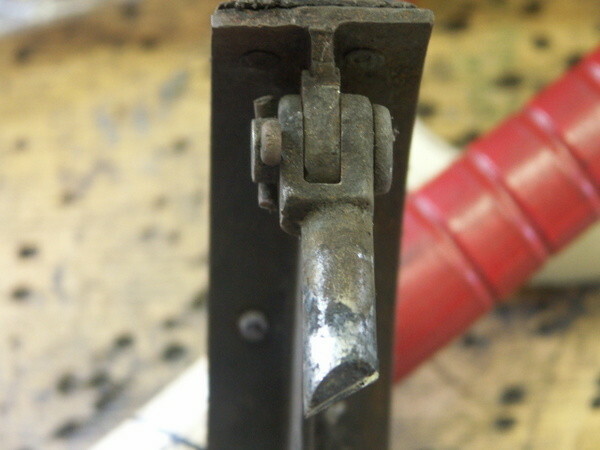 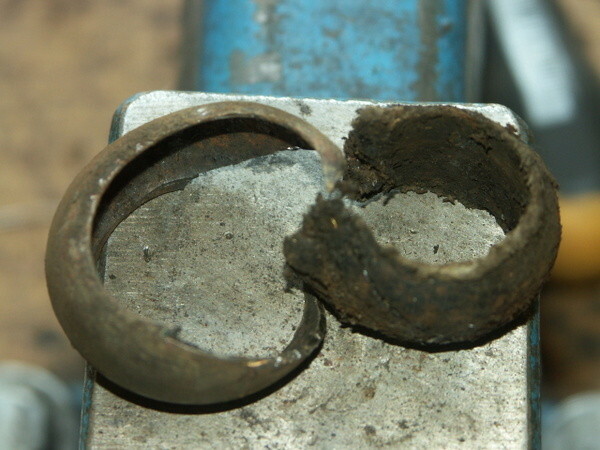 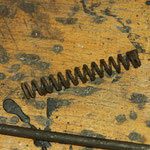 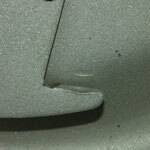 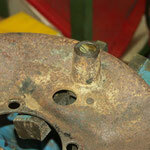 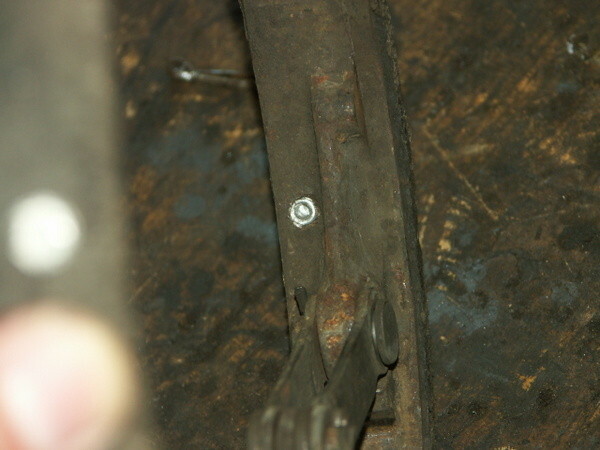 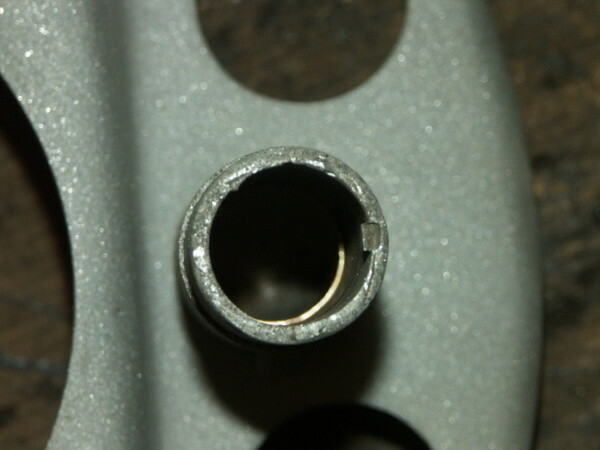 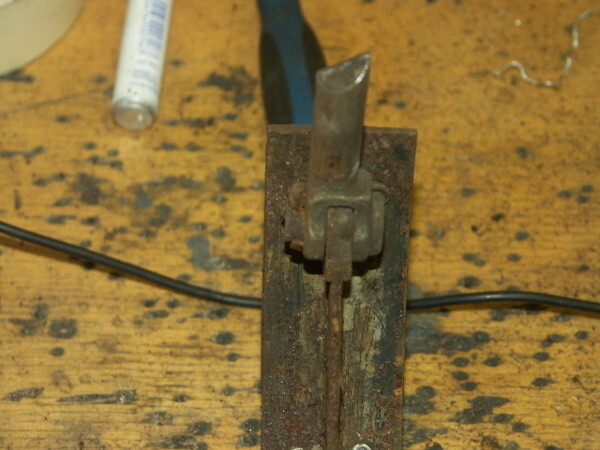 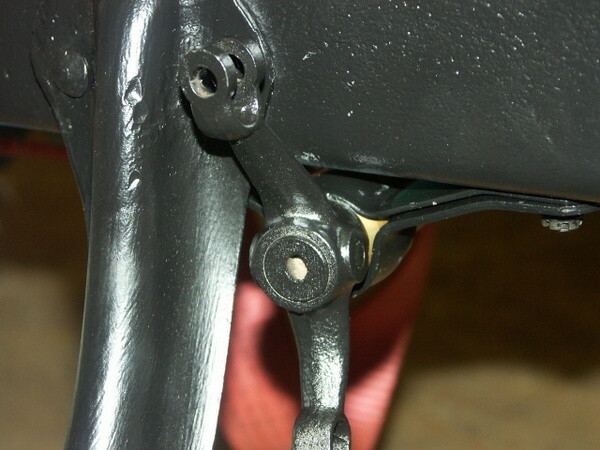 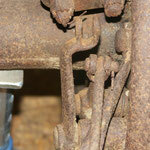 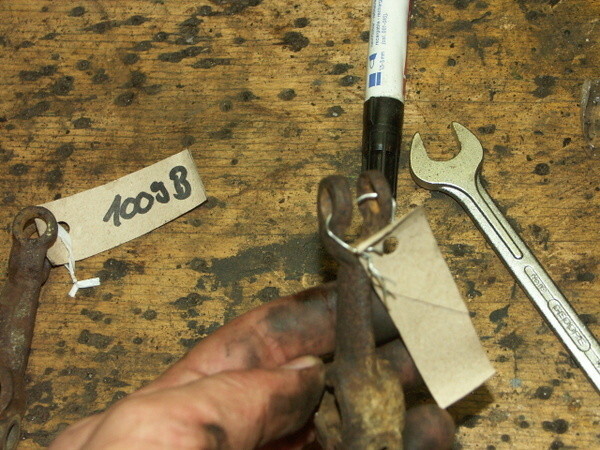 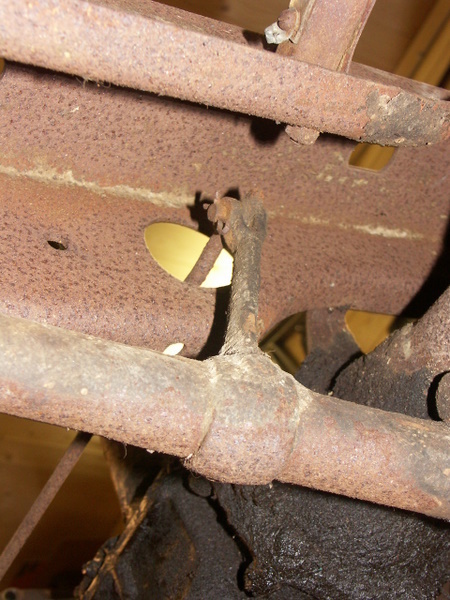 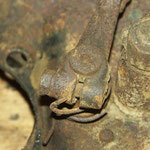 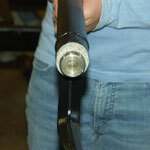 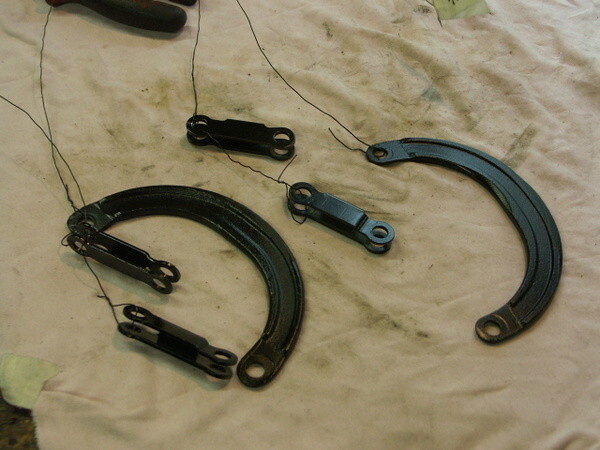 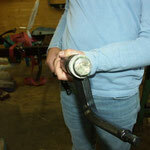 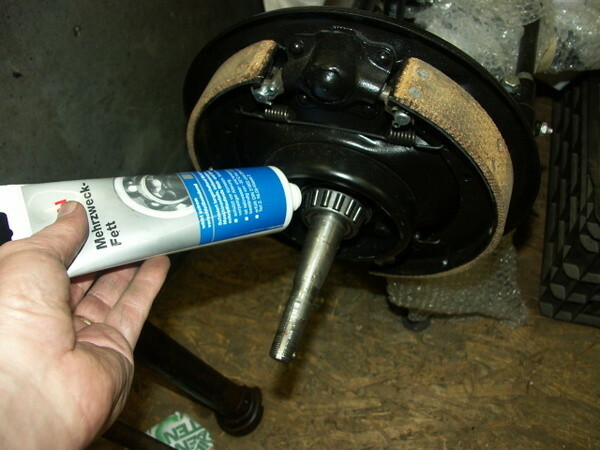 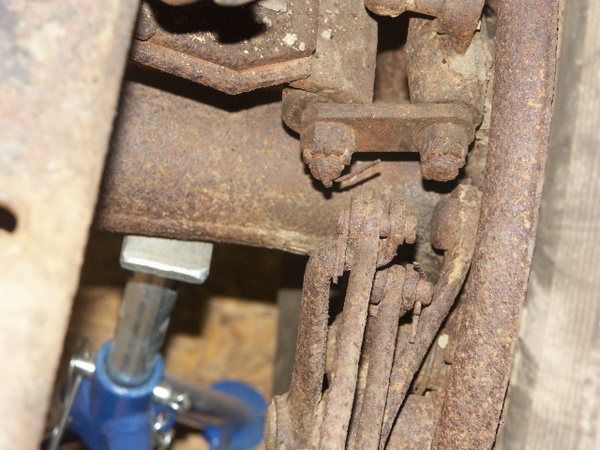 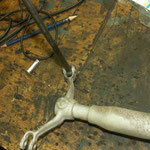 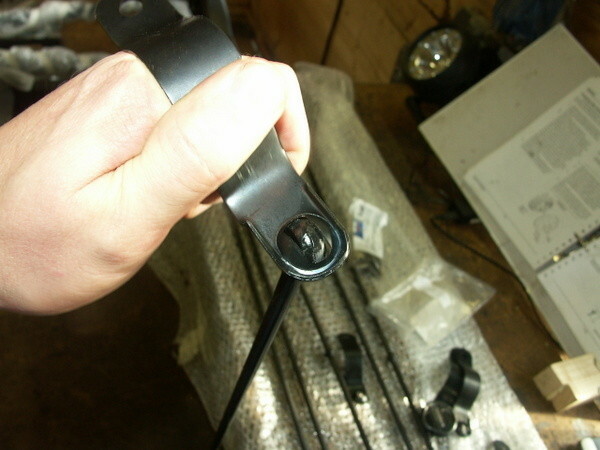 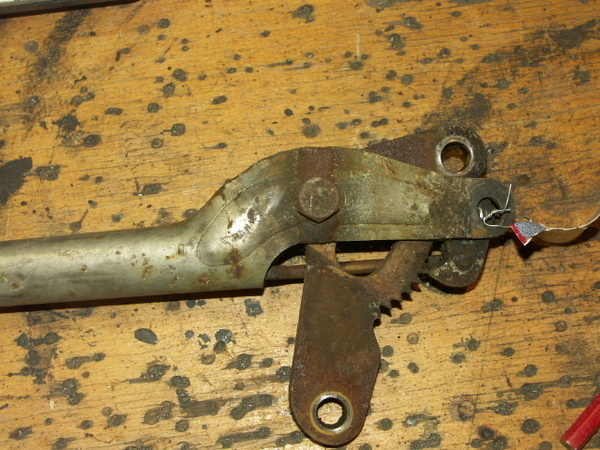 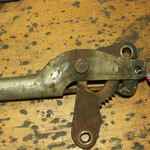 We replace all pins and rollers, as well as the rear service brake levers and camshaft, as these were worn badly. 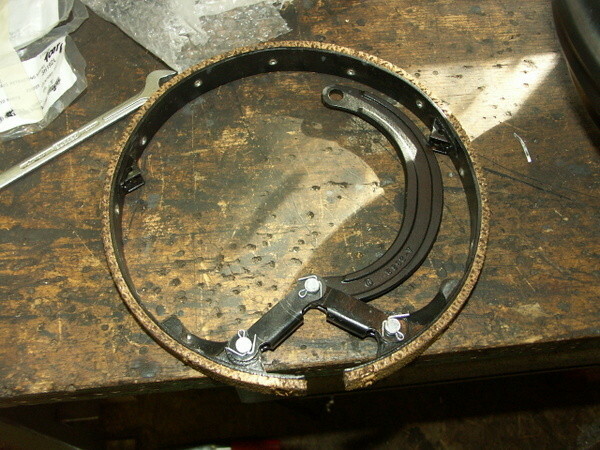 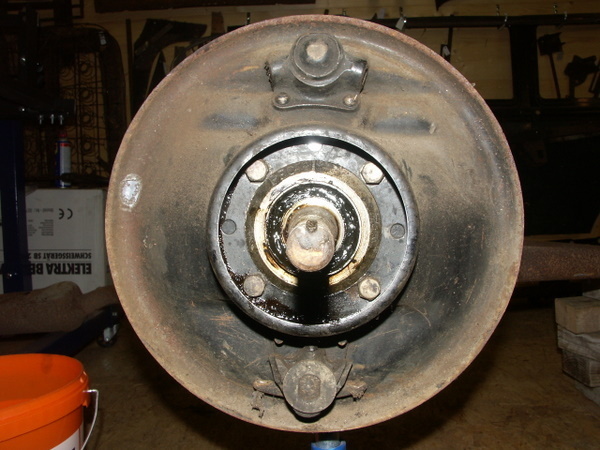 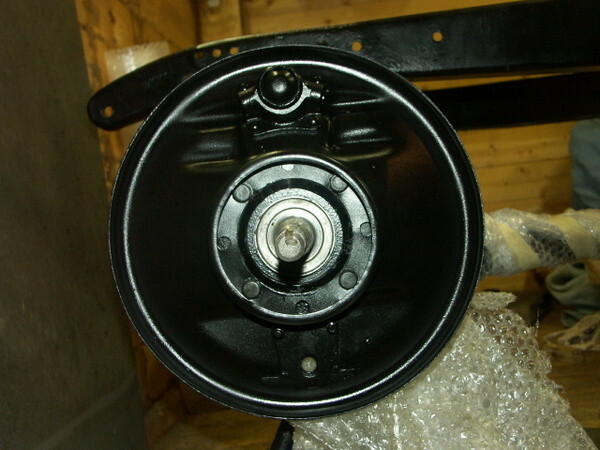 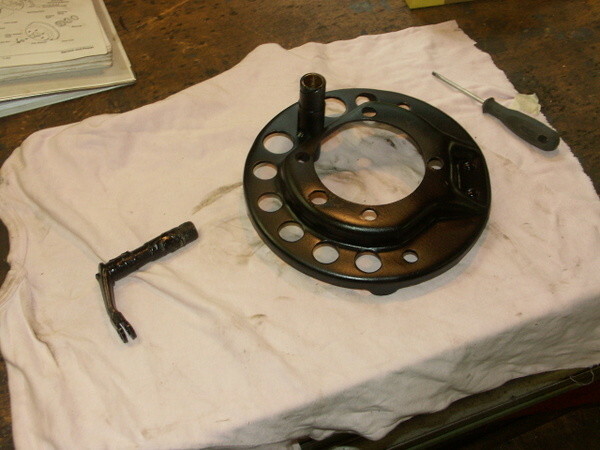 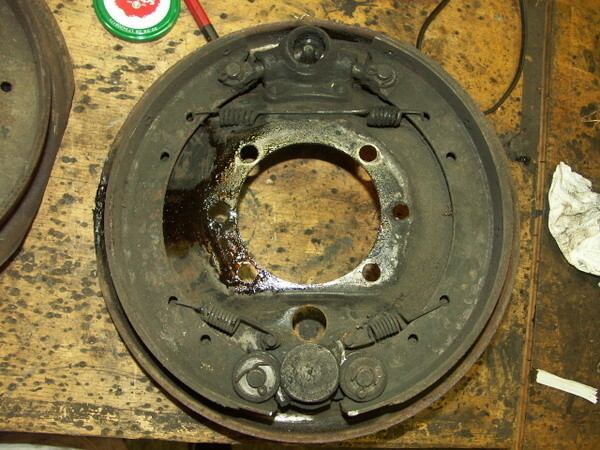 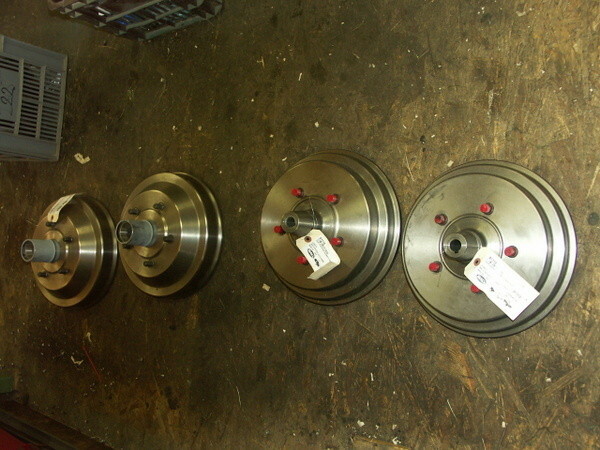 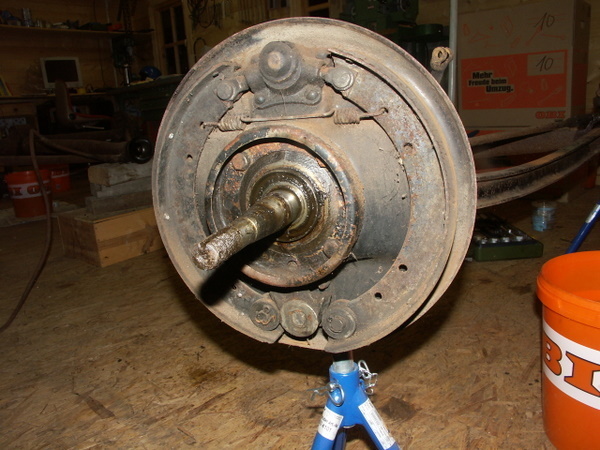 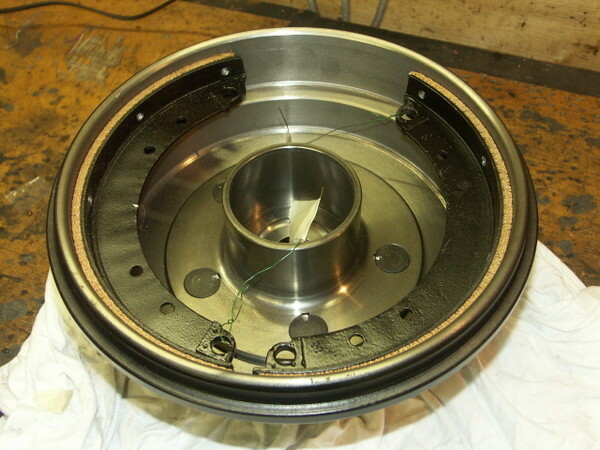 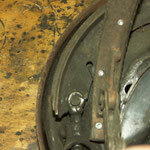 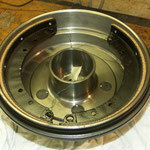 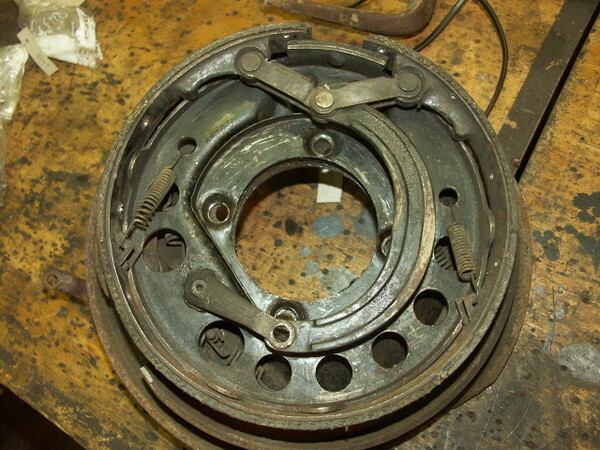 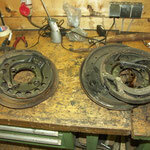 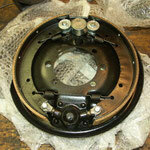 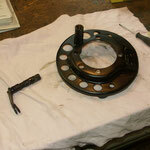 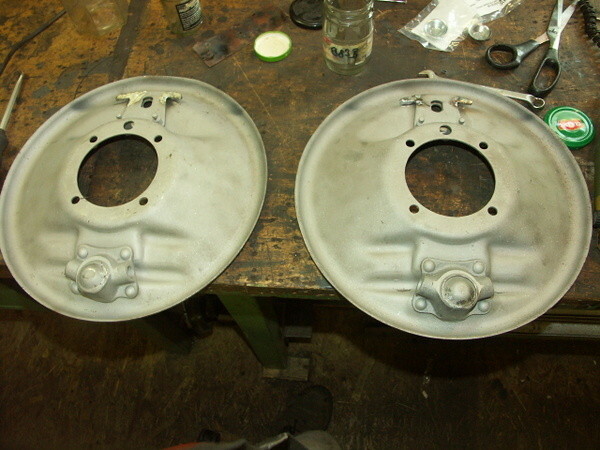 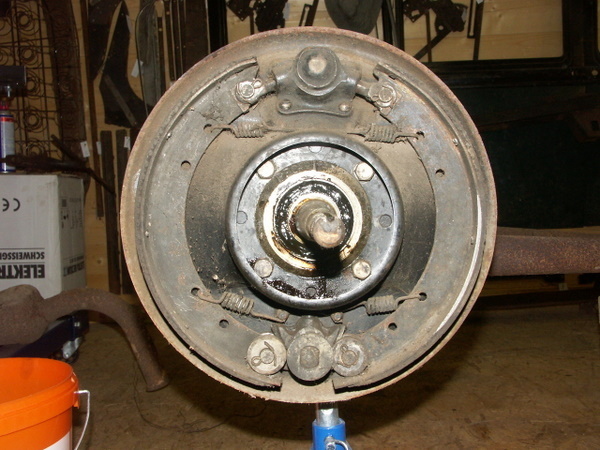 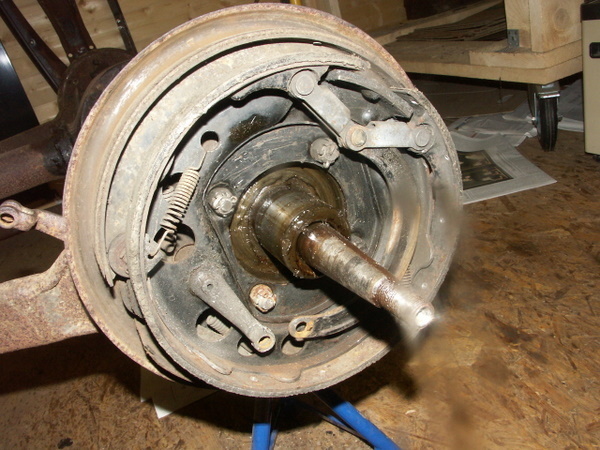 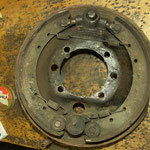 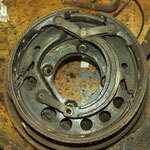 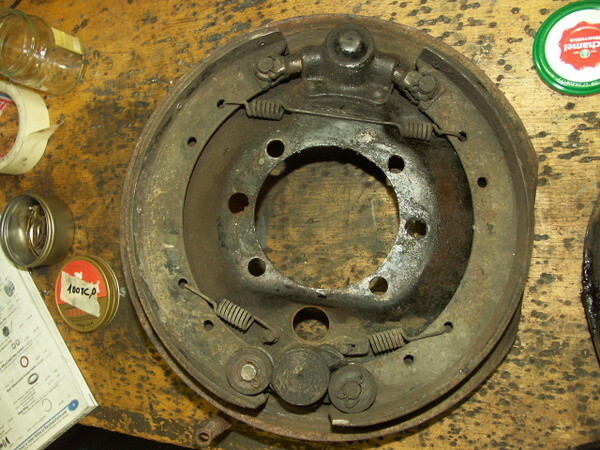 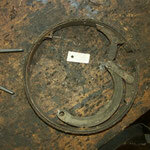 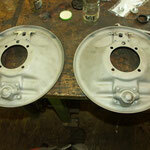 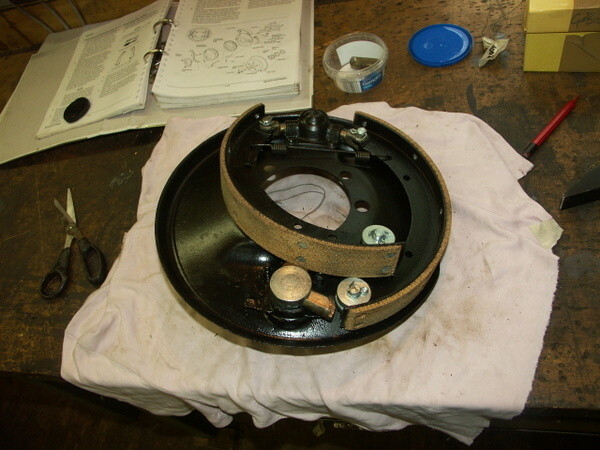 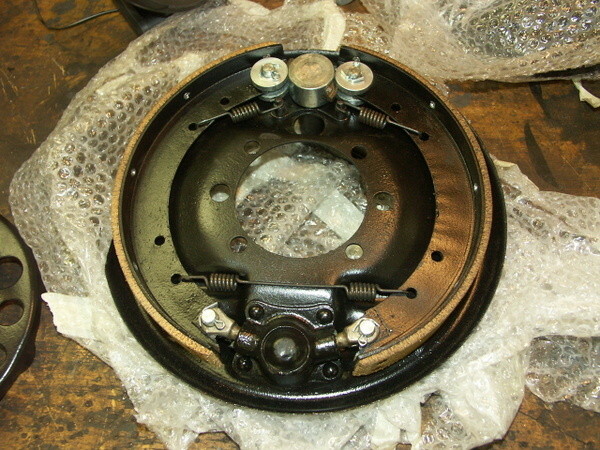 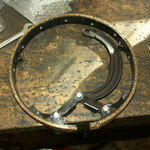 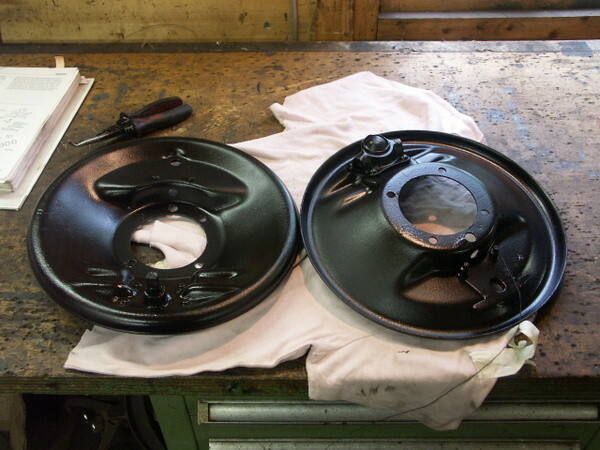 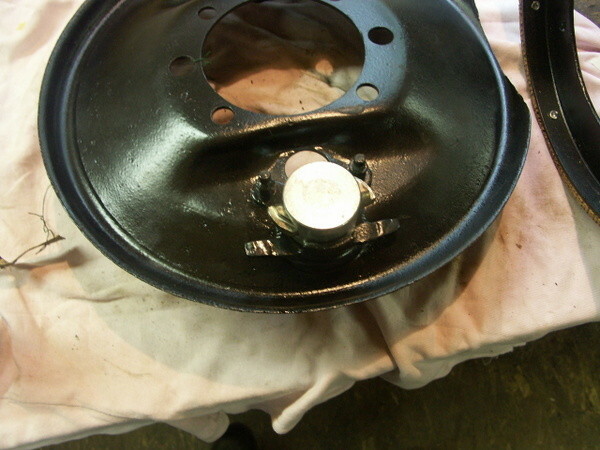 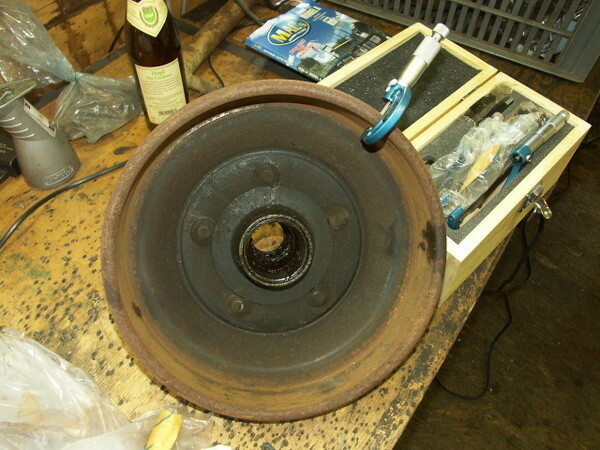 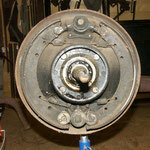 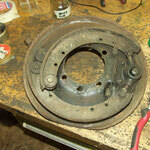 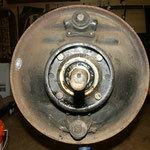 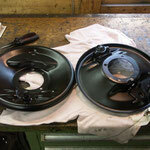 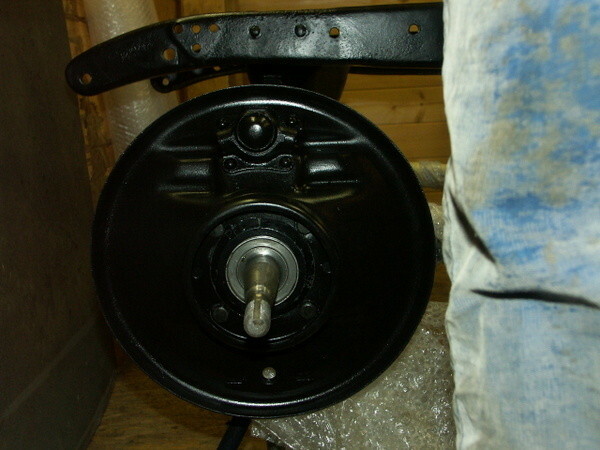 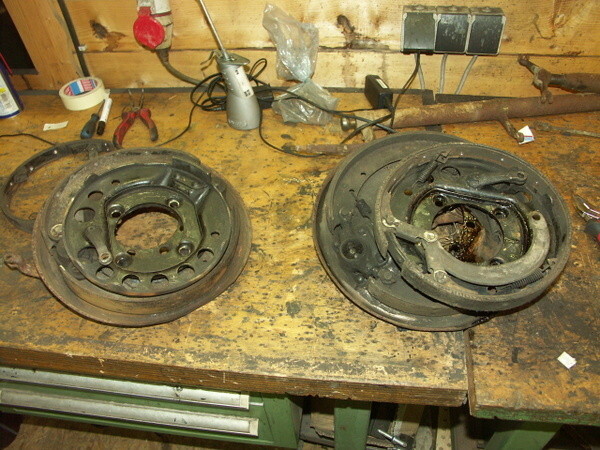 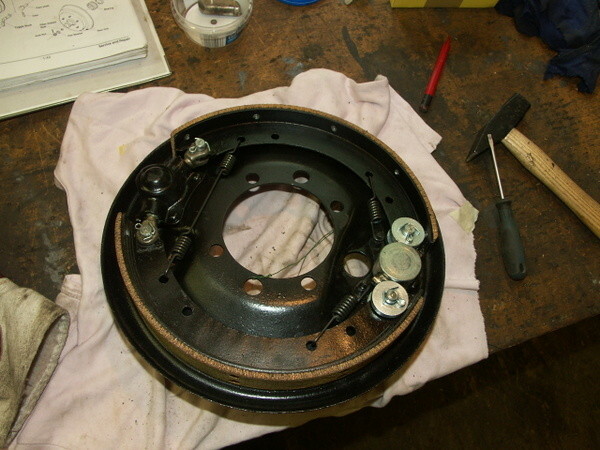 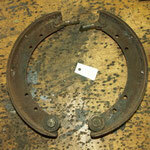 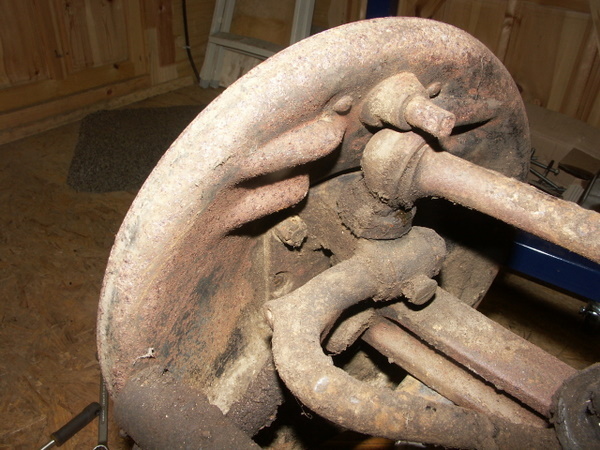 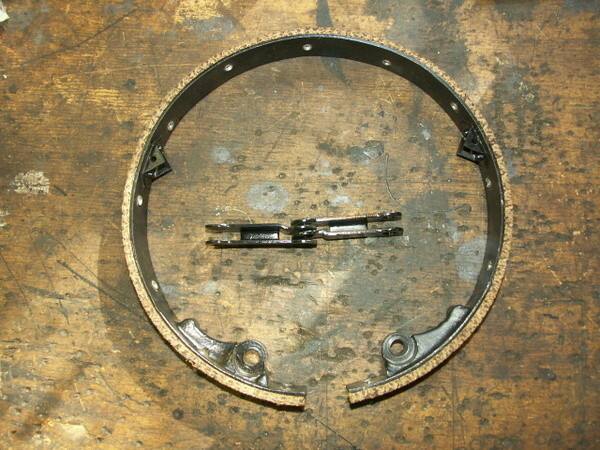 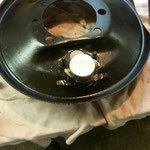 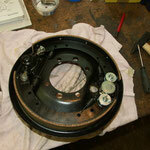 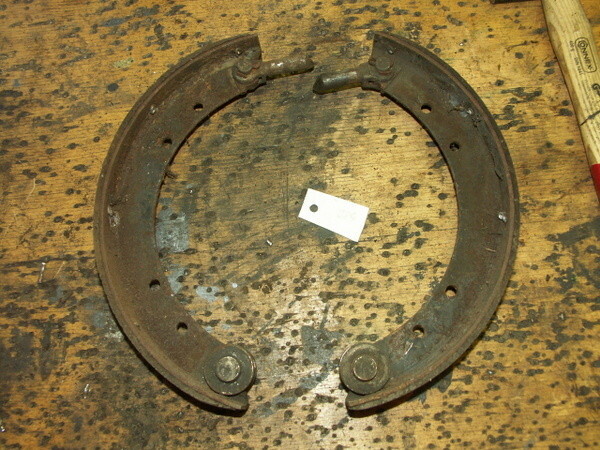 Replaced will be also all brake rodes and clevises. 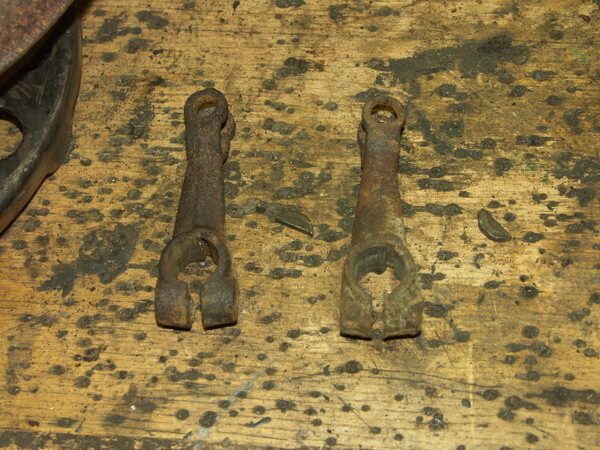 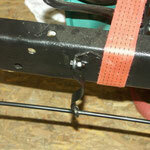 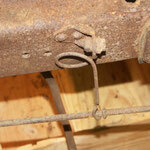 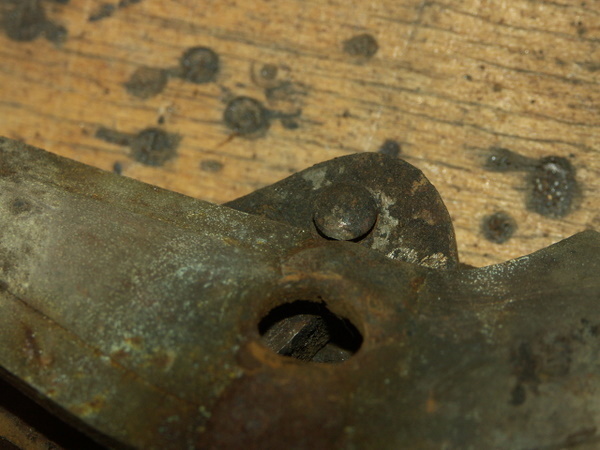 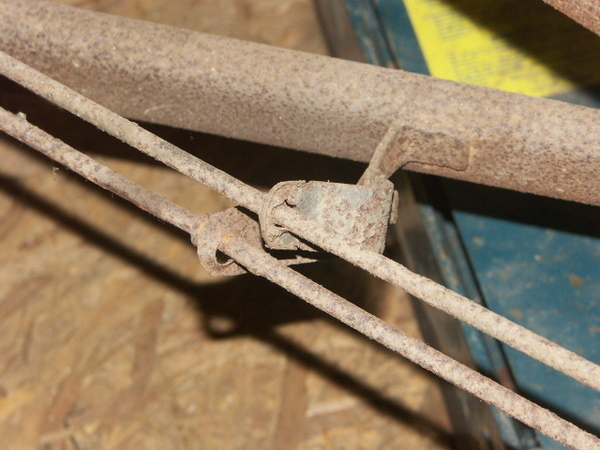 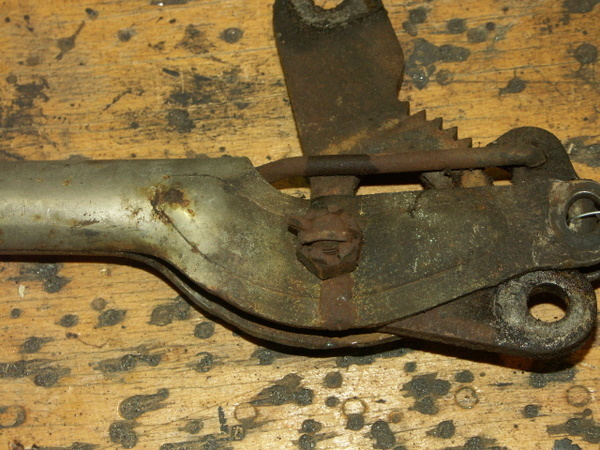 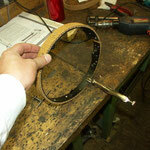 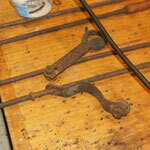 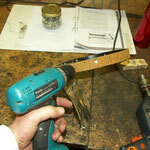 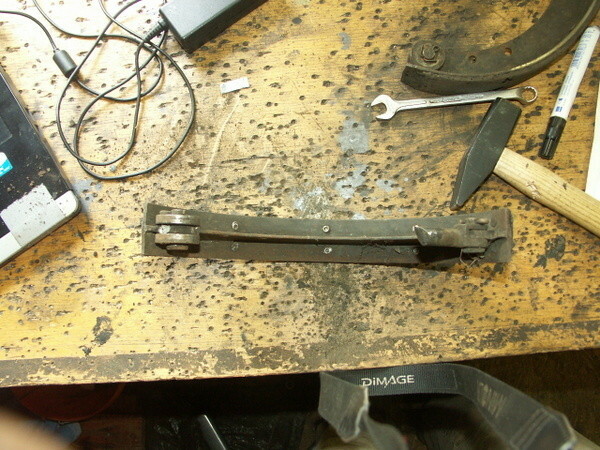 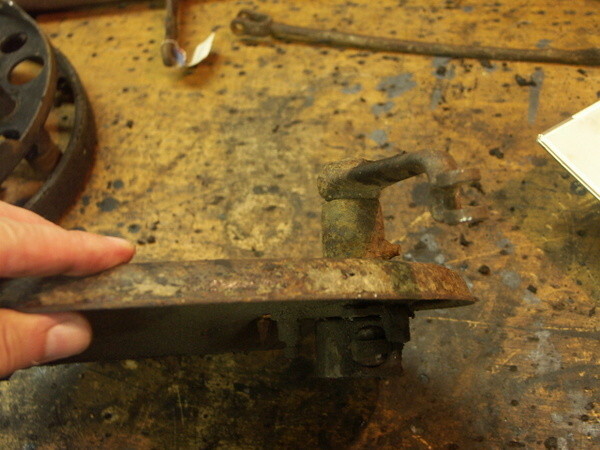 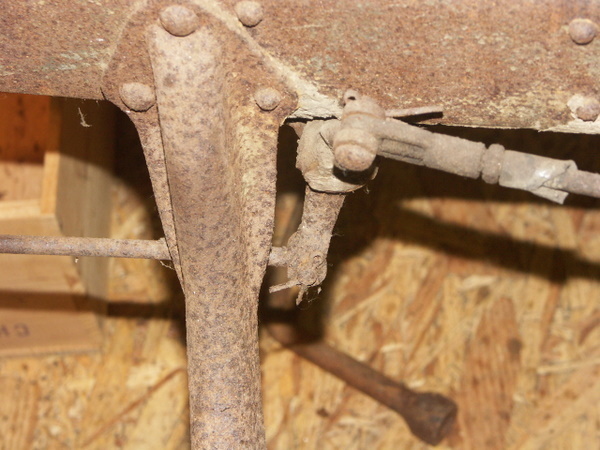 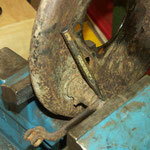 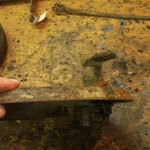 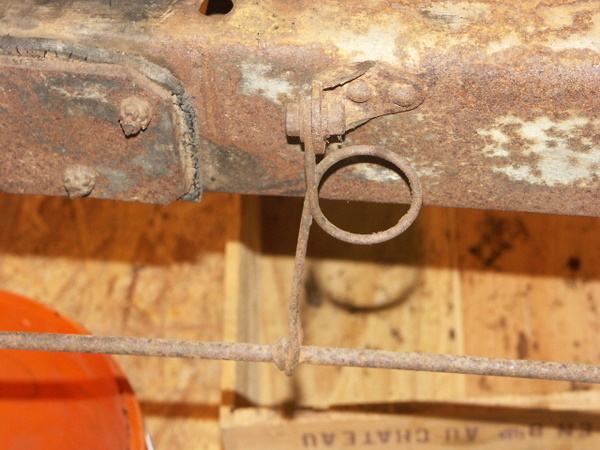 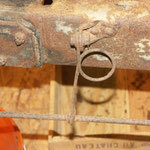 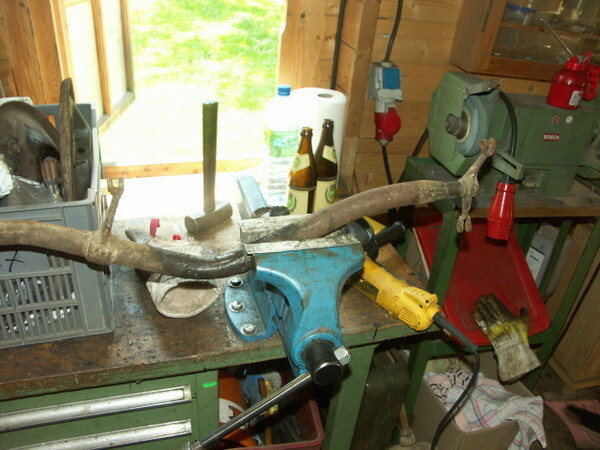 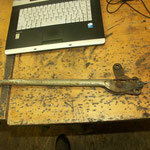 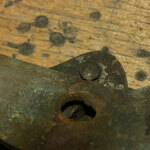 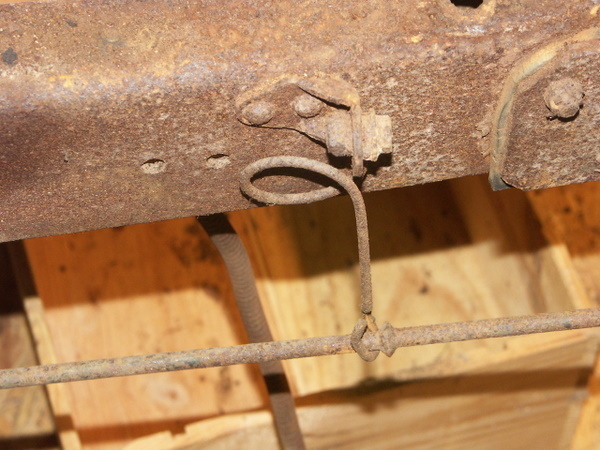 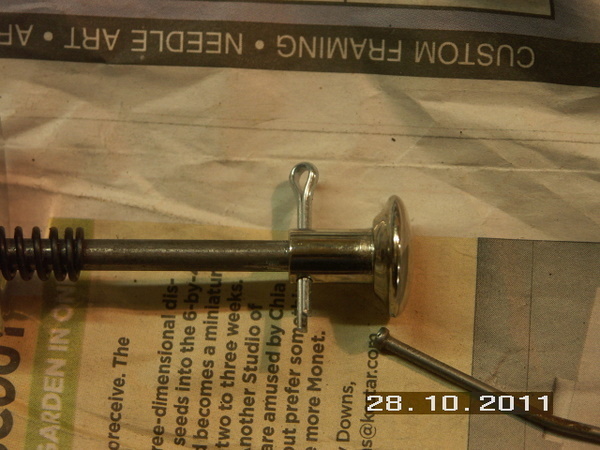 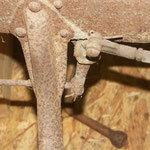 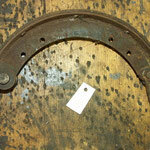 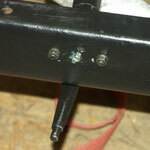 The pin holes in the levers to be reused were surprisingly not worne. 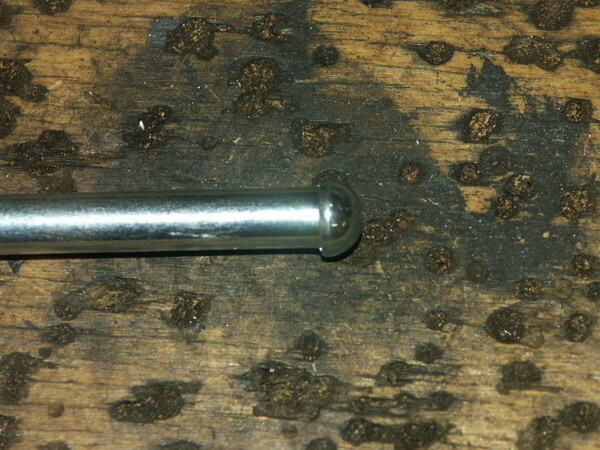 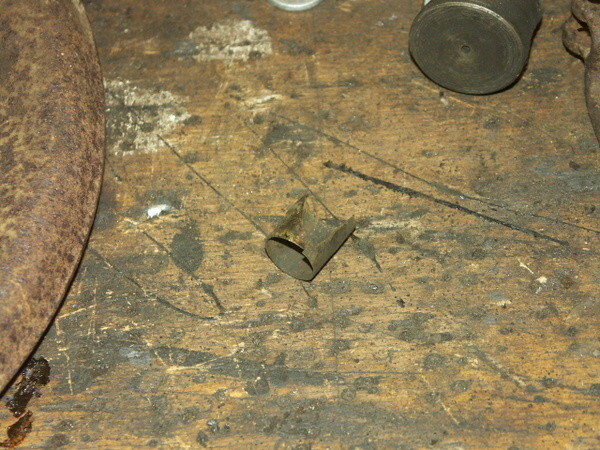 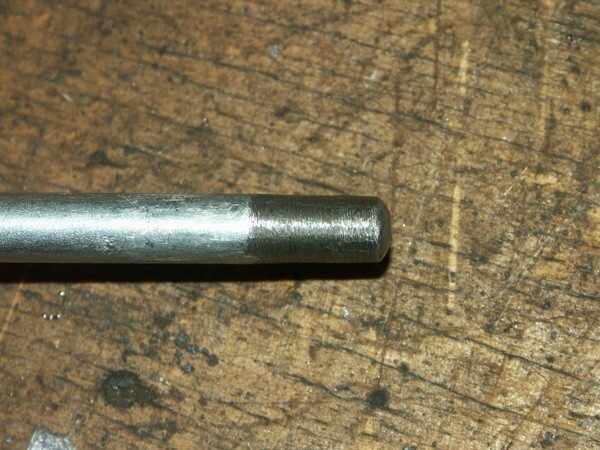 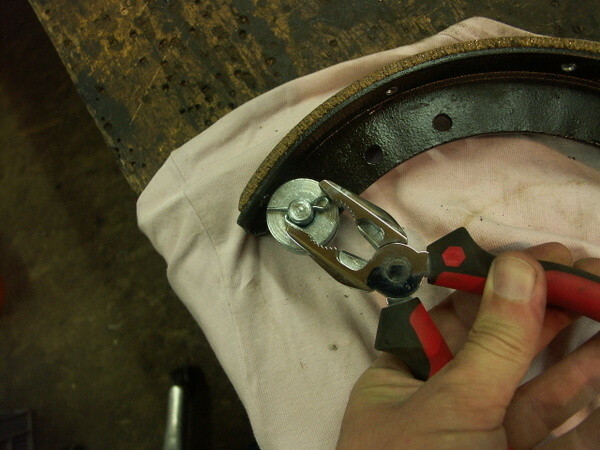 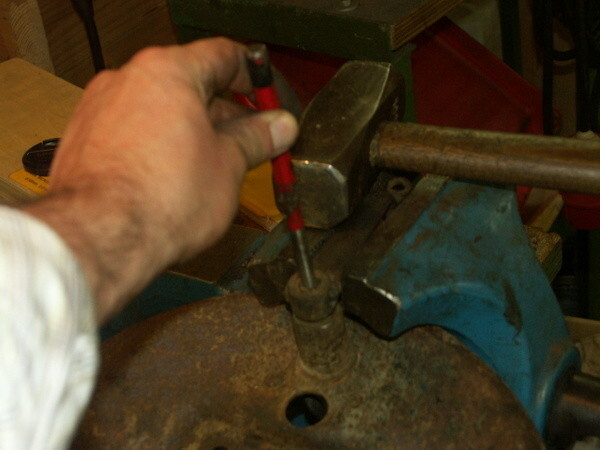 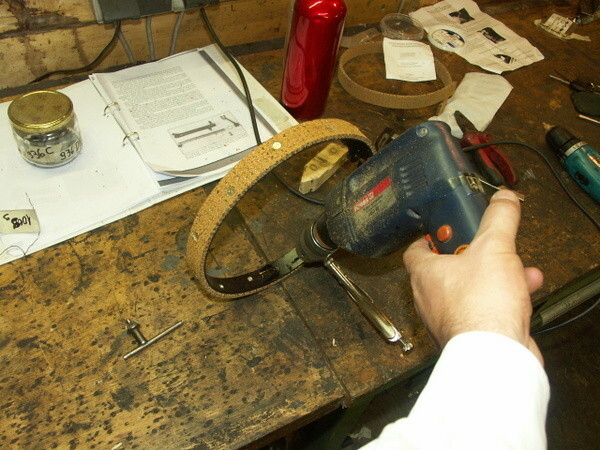 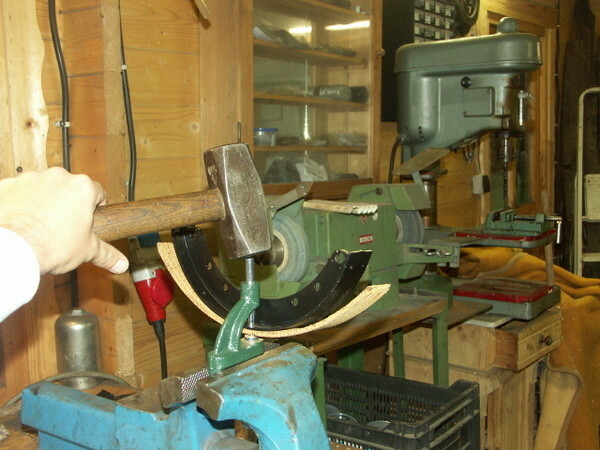 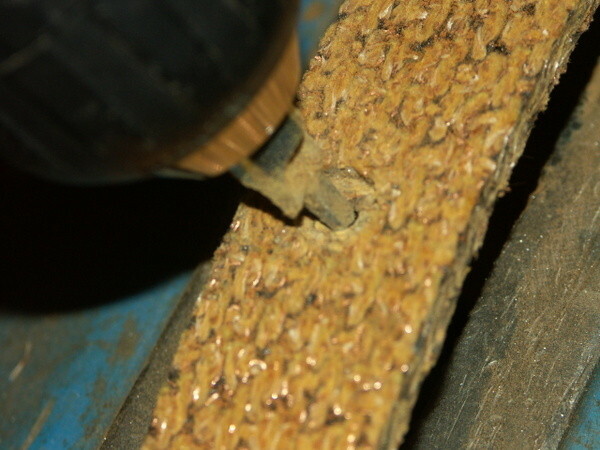 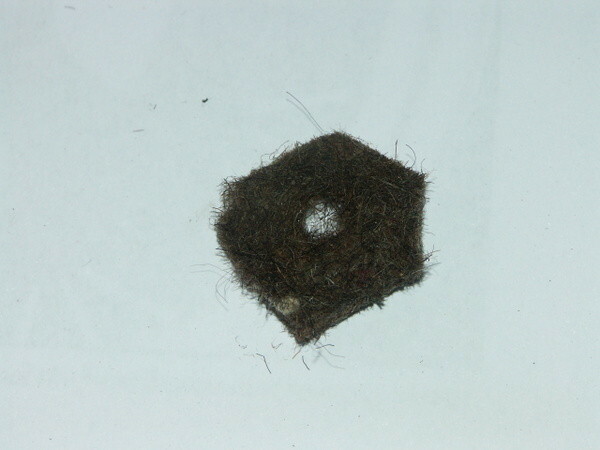 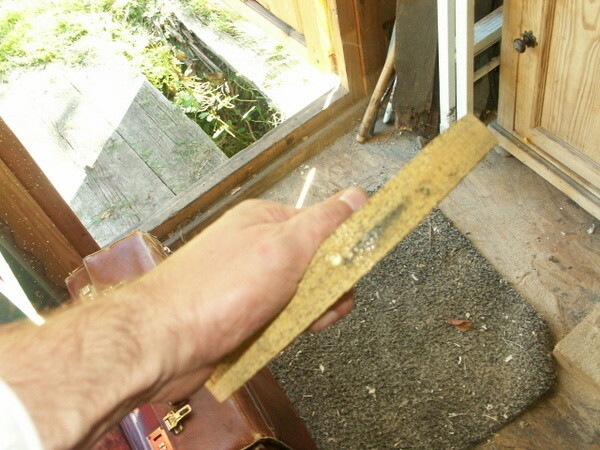 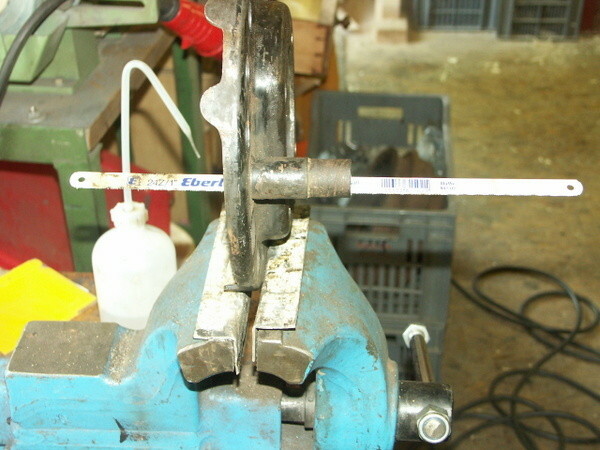 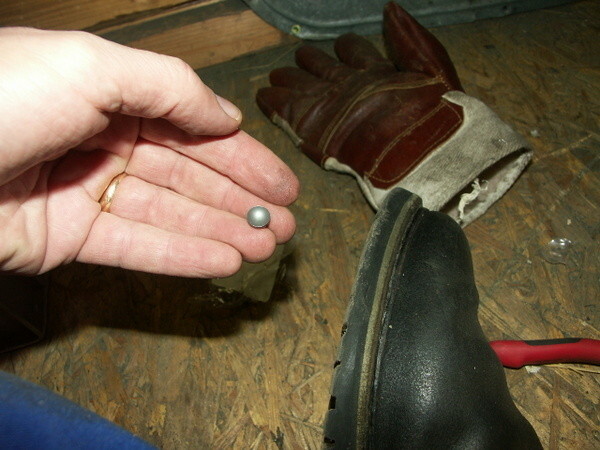 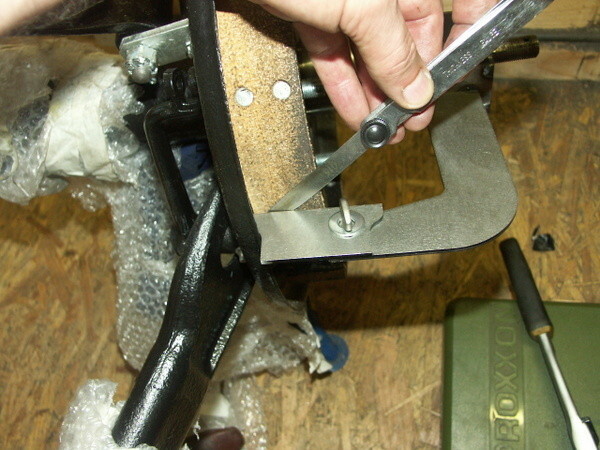 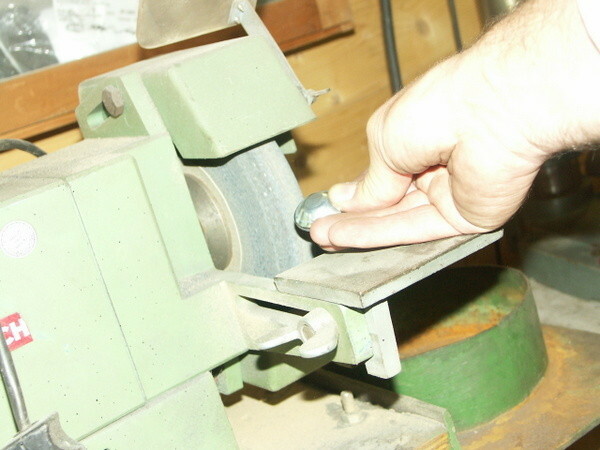 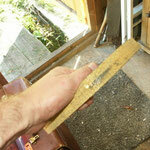 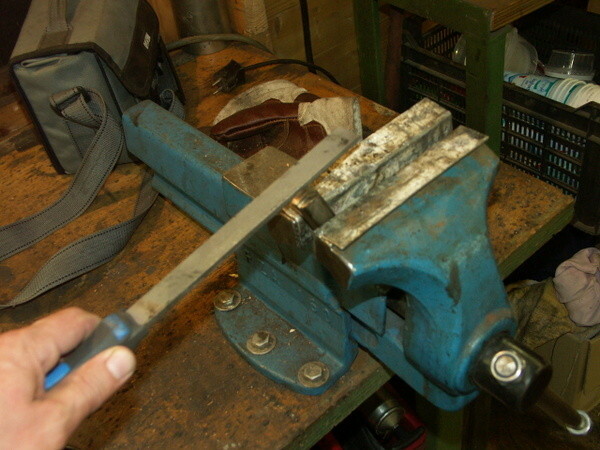 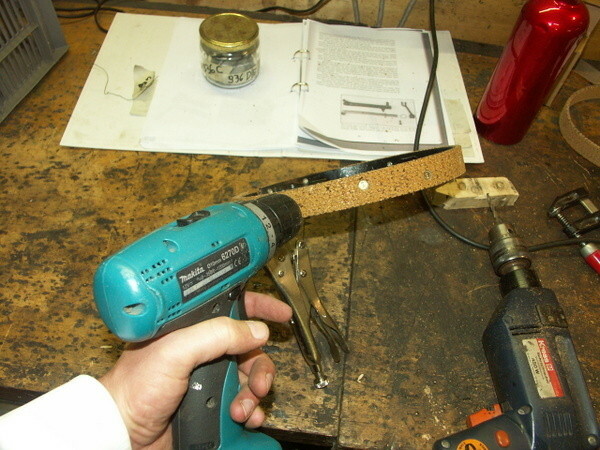 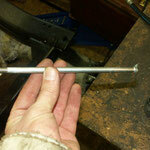 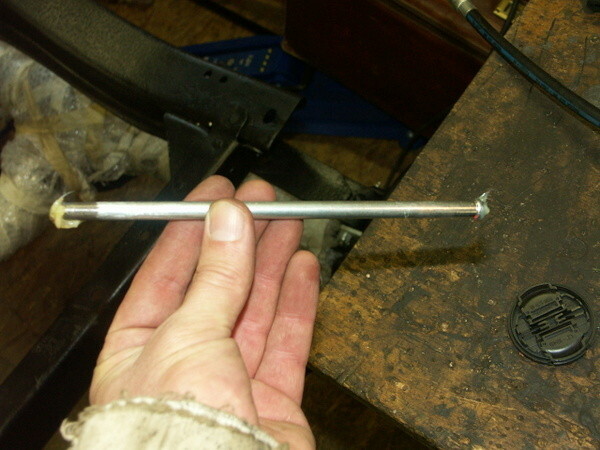 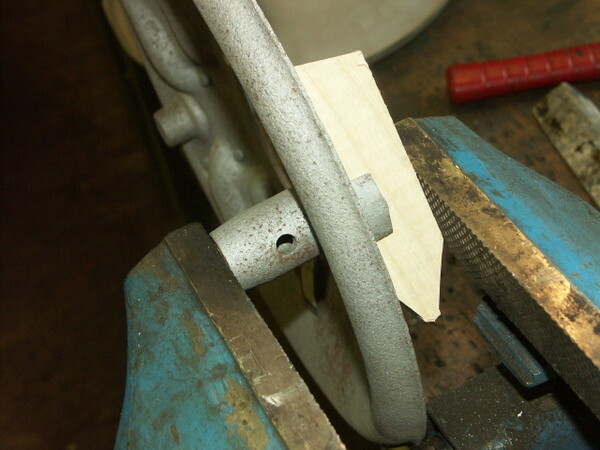 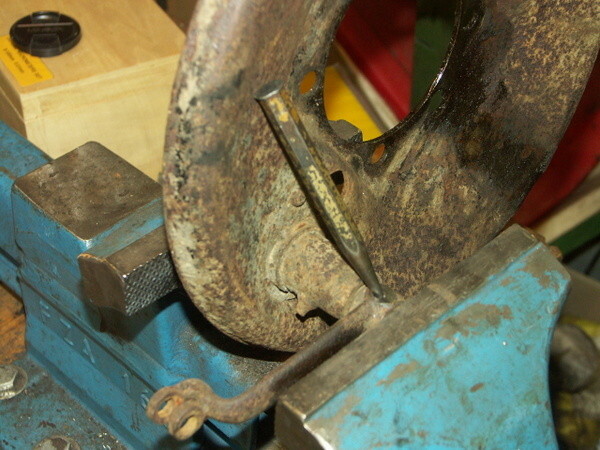 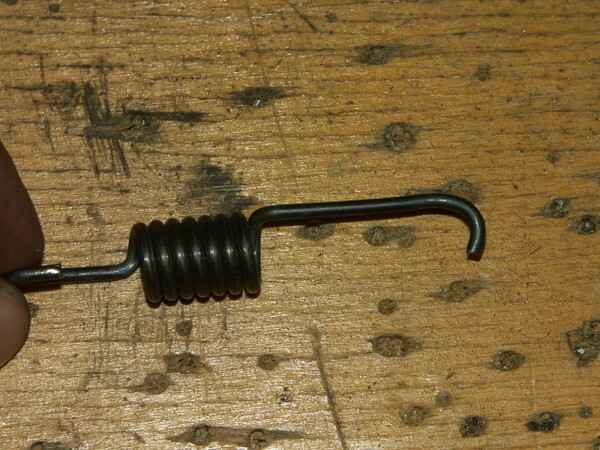 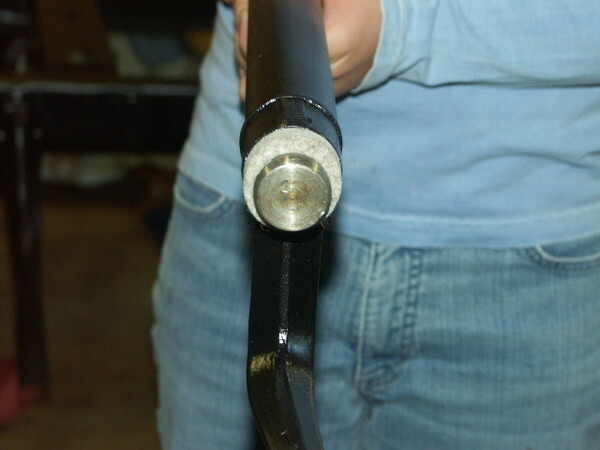 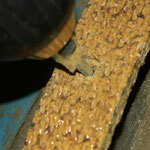 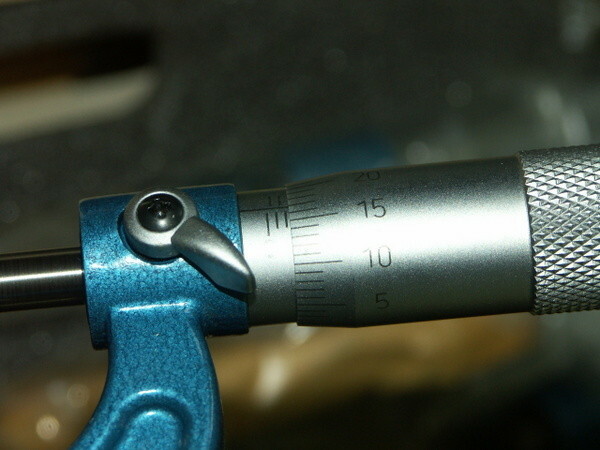 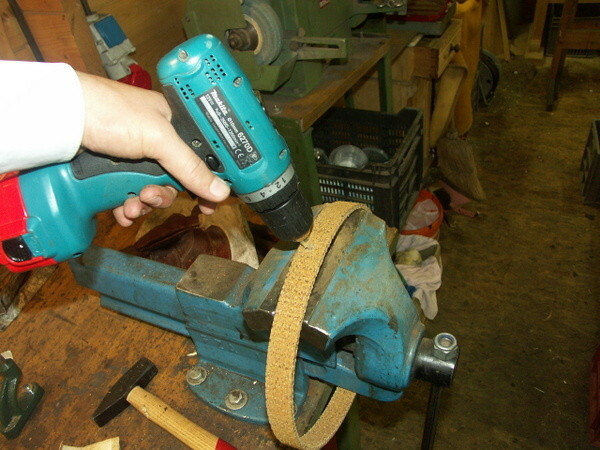 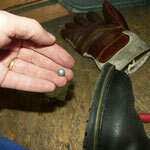 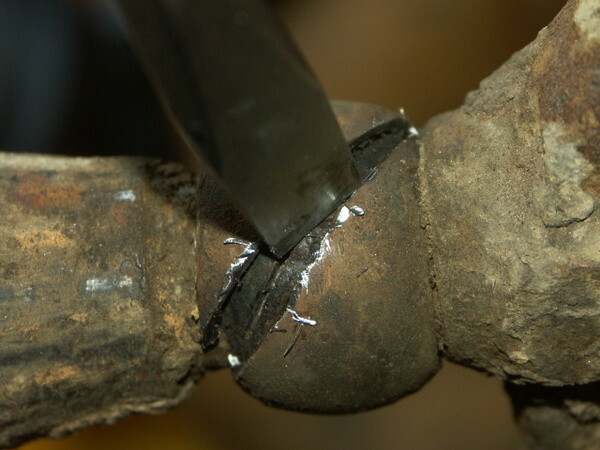 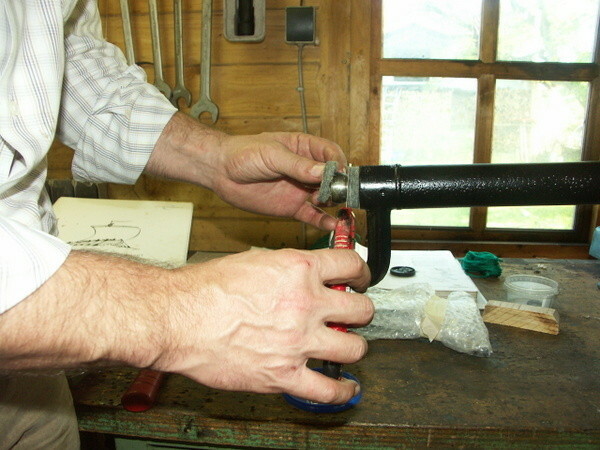 Standard size pins can be used. 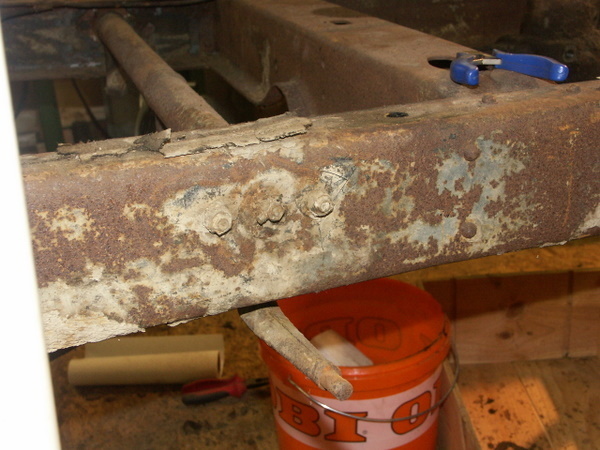 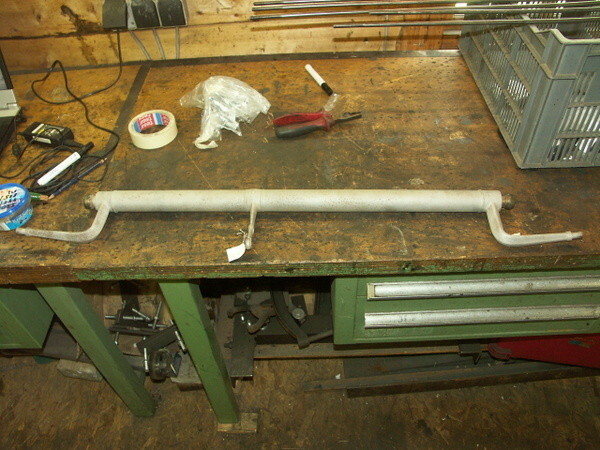 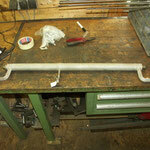 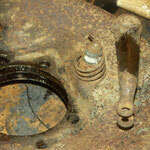 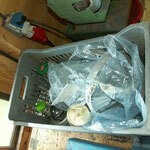 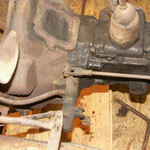 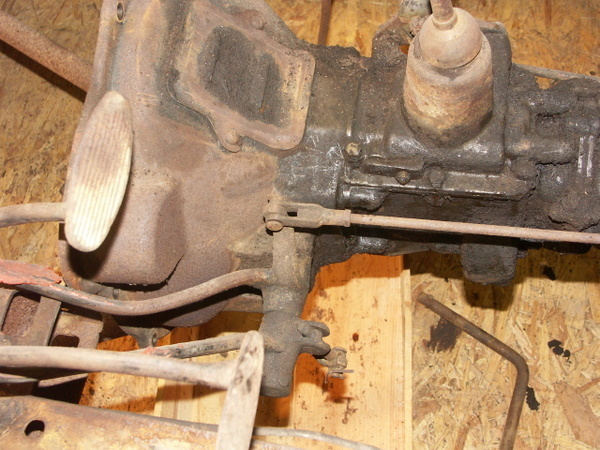 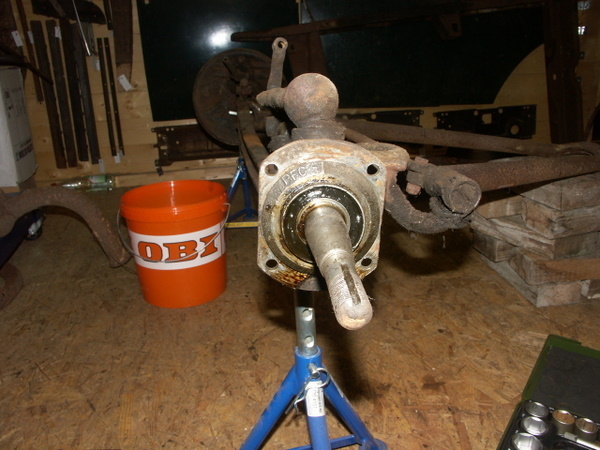 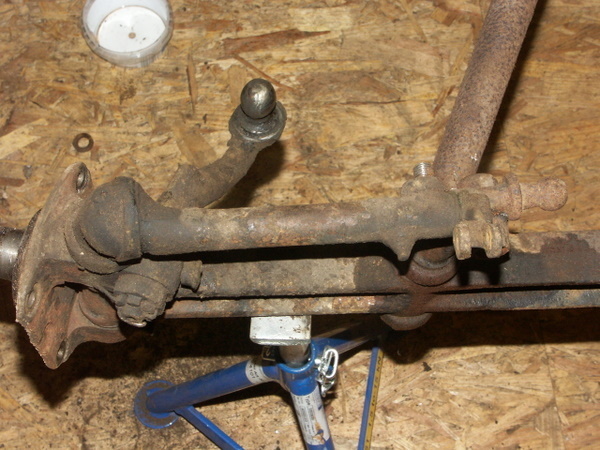 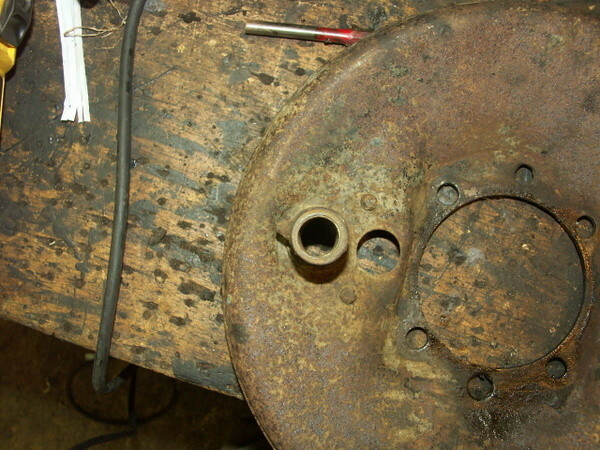 All parts have been cleande with diesel and most parts were sandblasted. 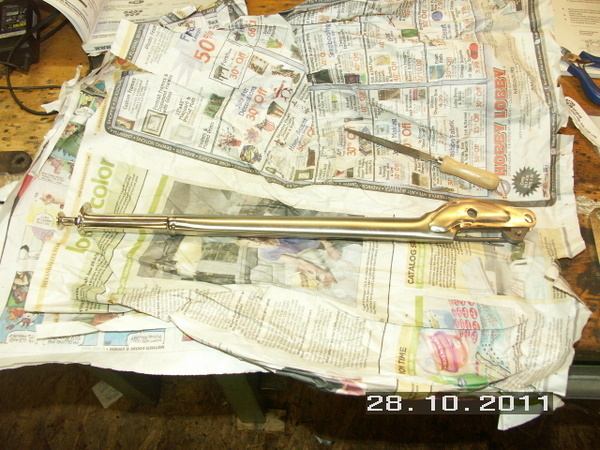 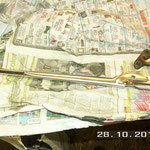 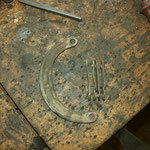 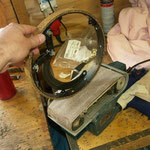 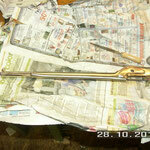 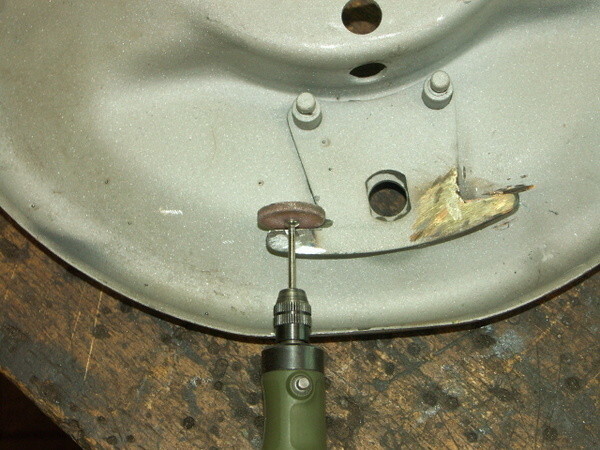 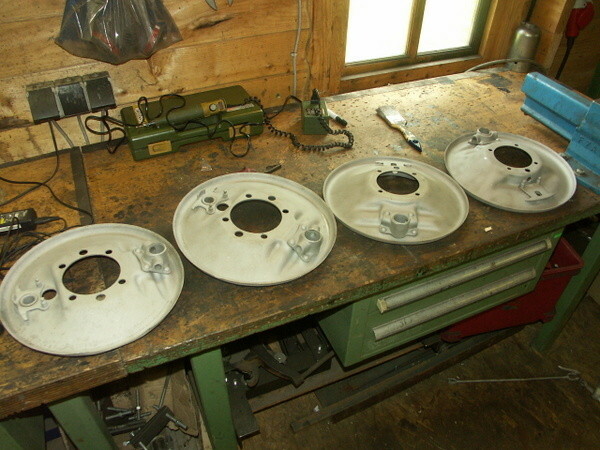 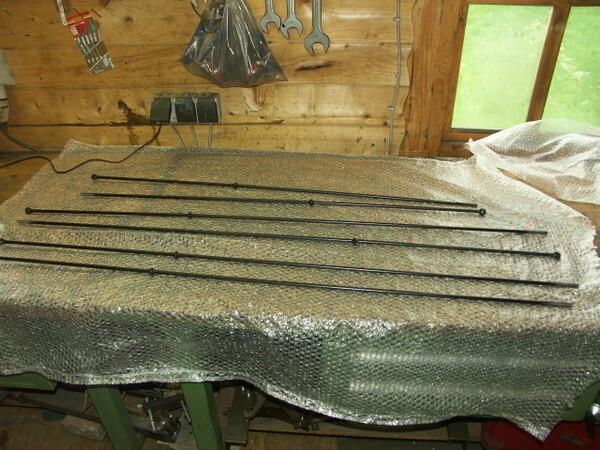 Restoration of parts is in progress. 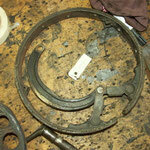 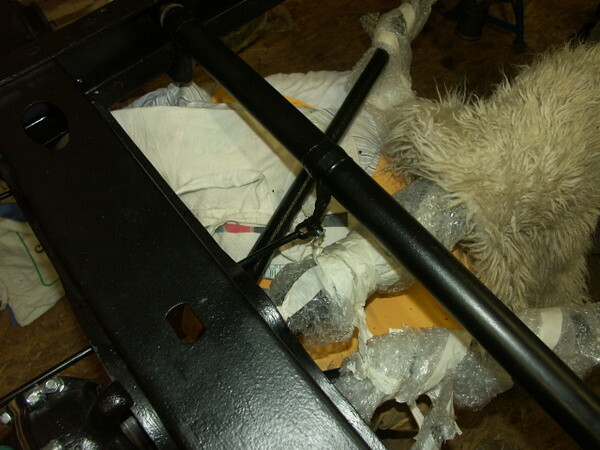 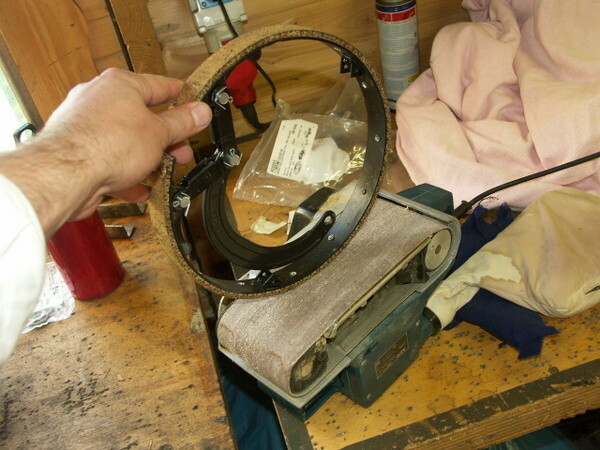 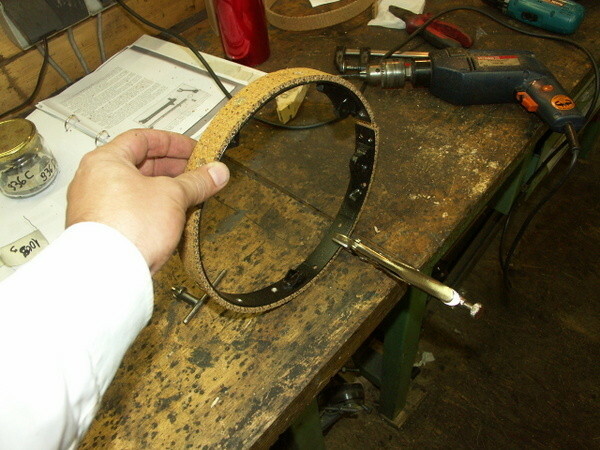 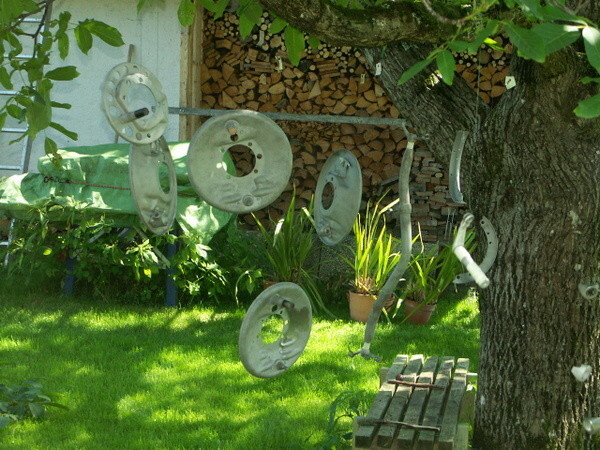 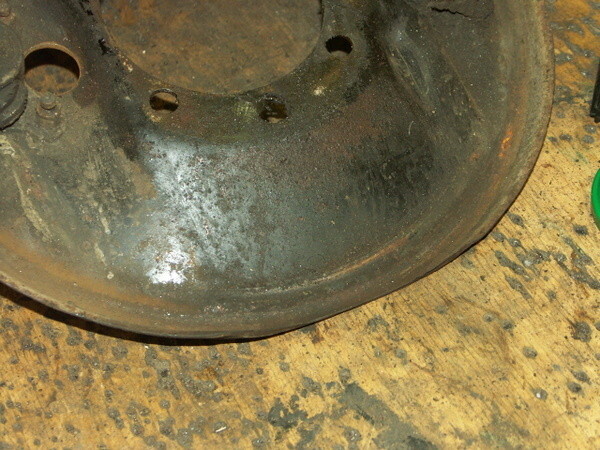 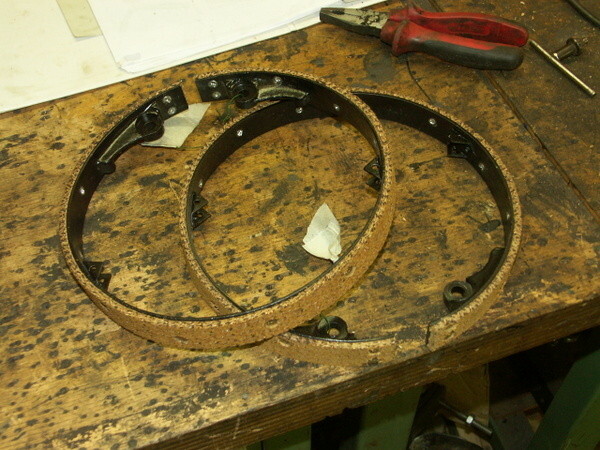 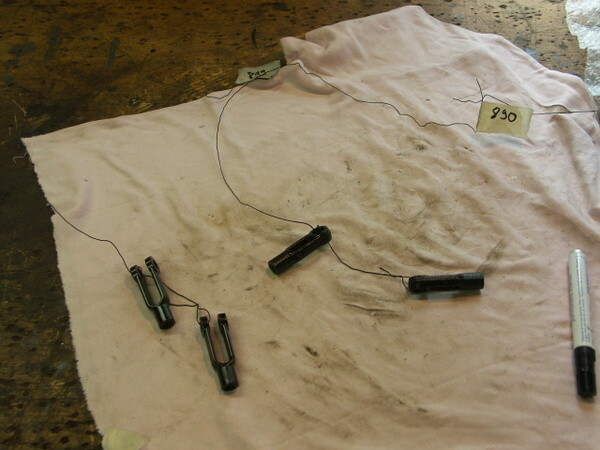 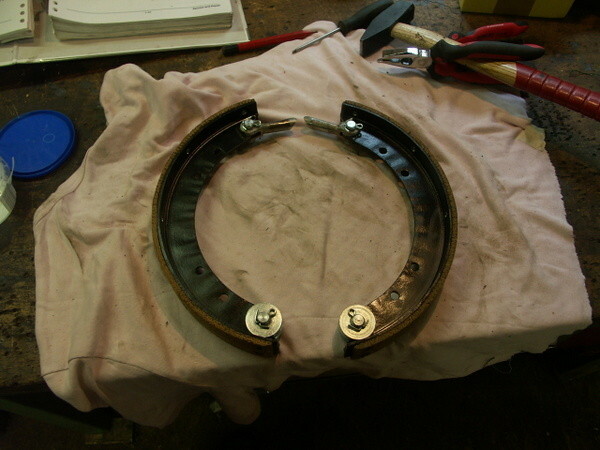 The drums were wornbeyond use and were replaced by new cast irons drums. 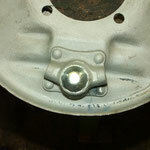 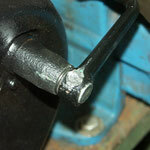 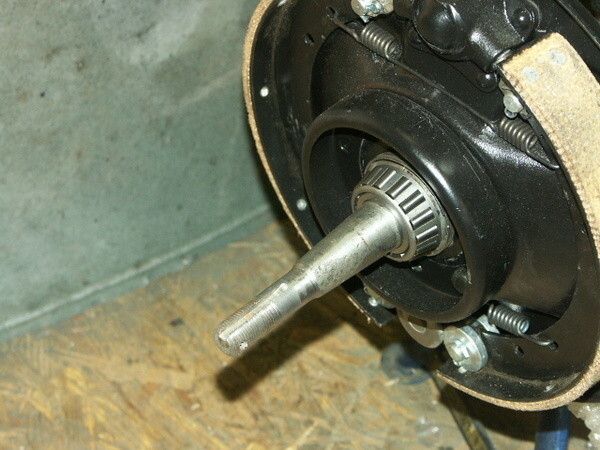 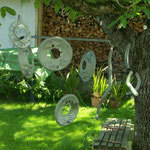 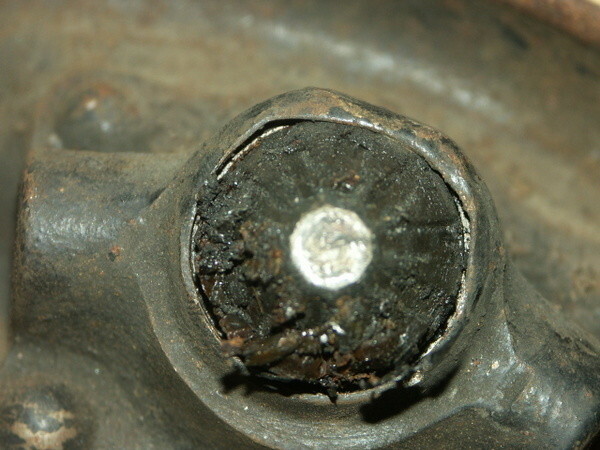 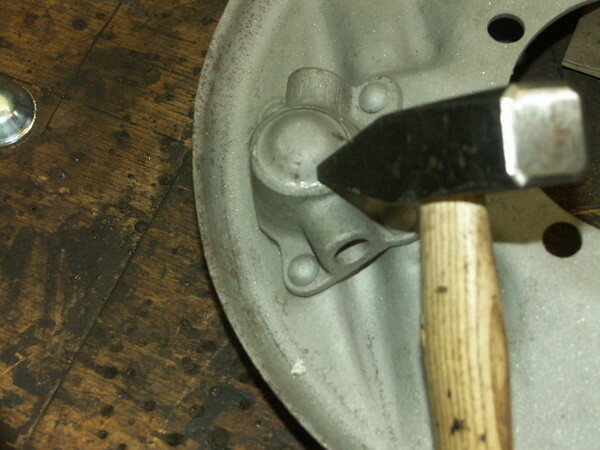 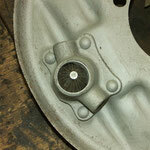 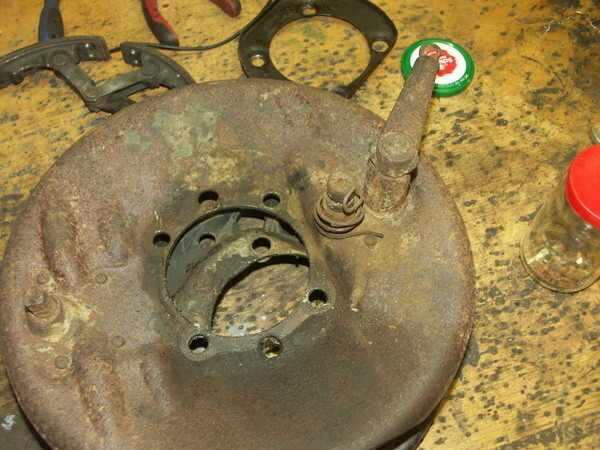 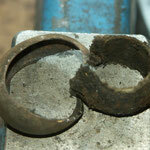 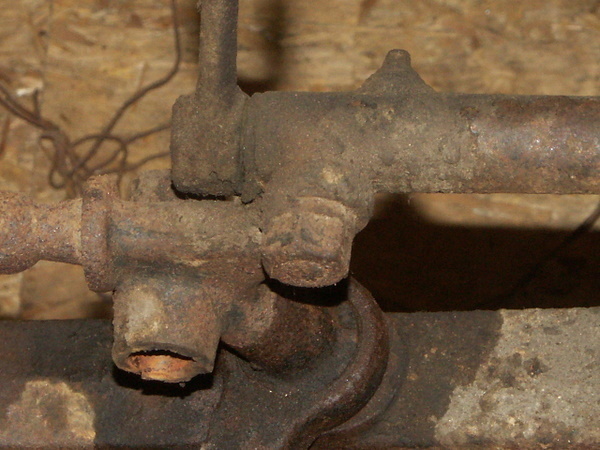 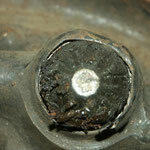 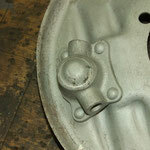 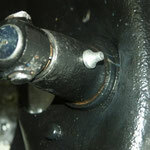 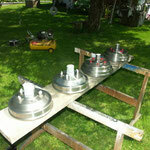 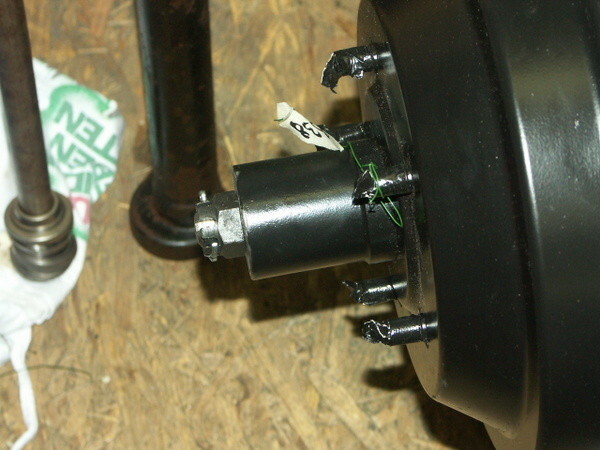 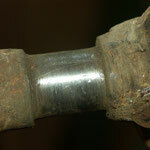 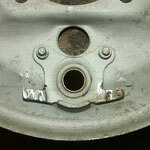 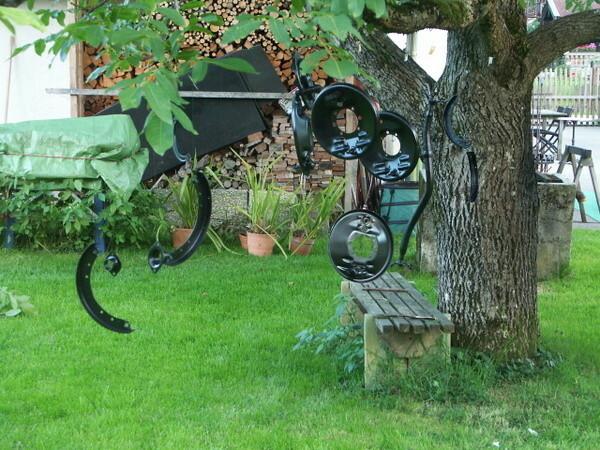 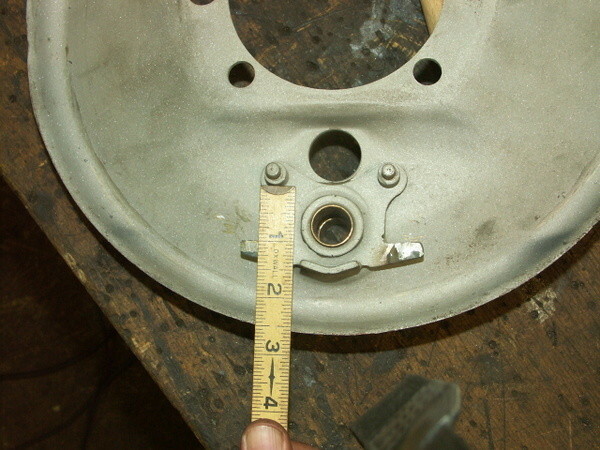 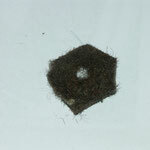 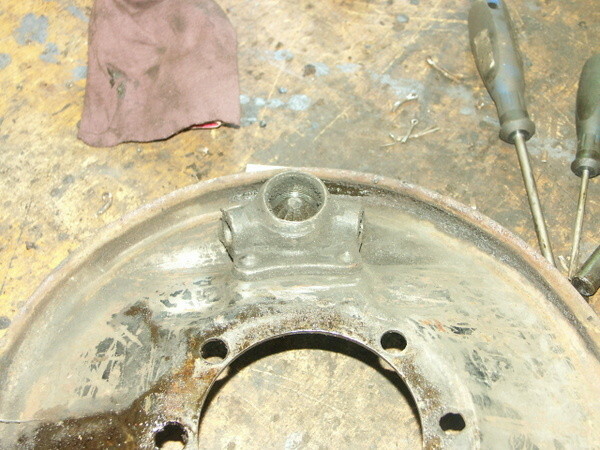 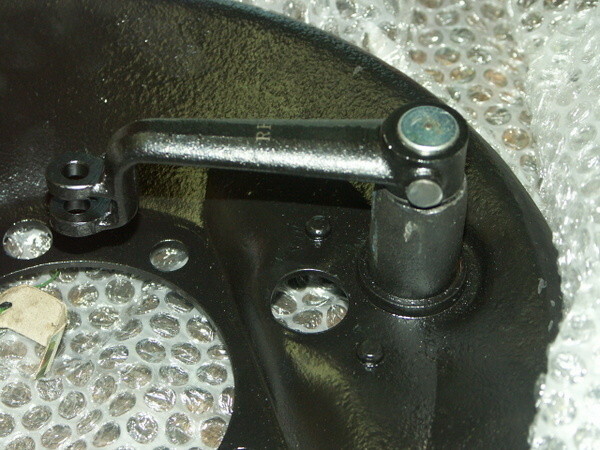 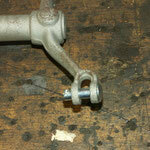 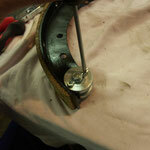 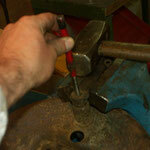 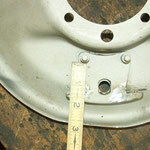 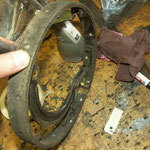 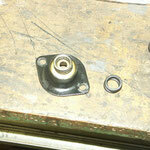 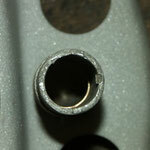 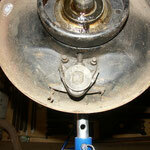 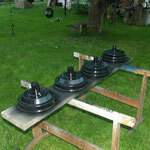 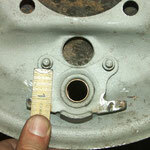 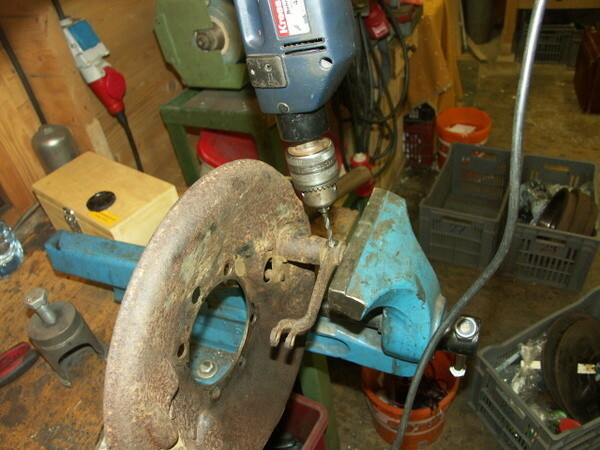 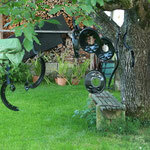 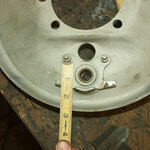 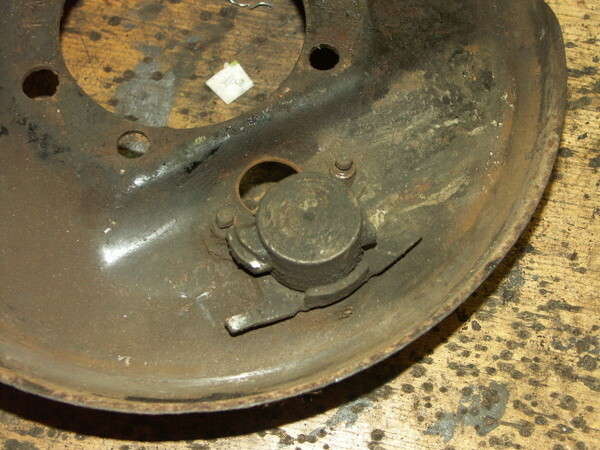 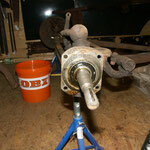 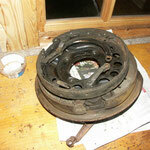 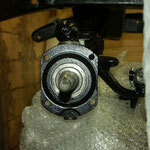 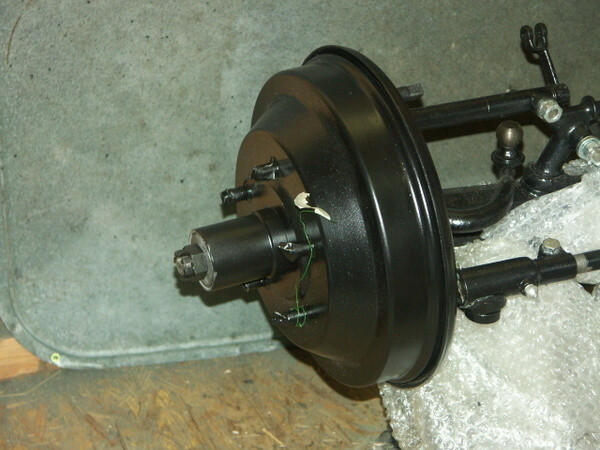 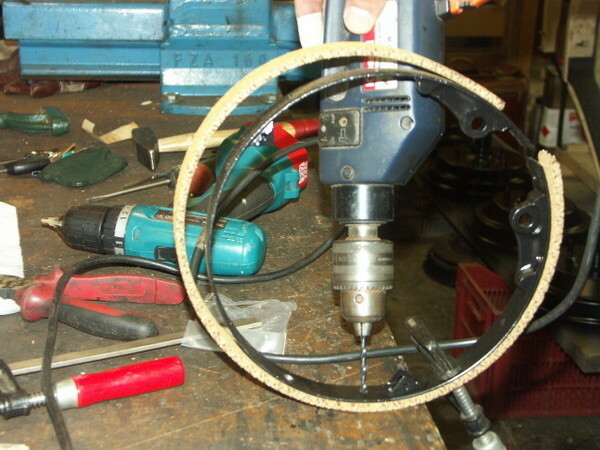 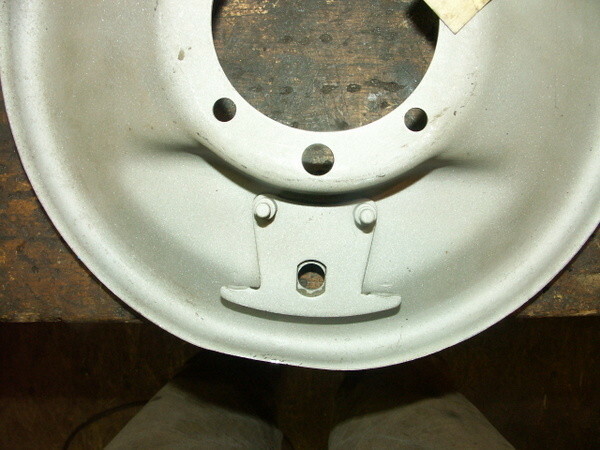 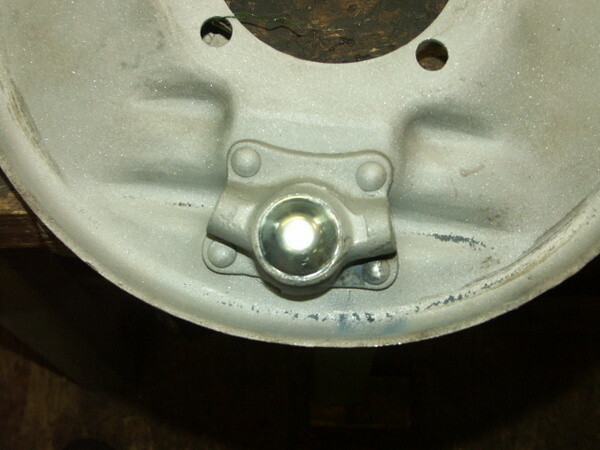 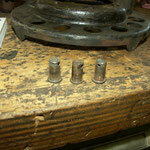 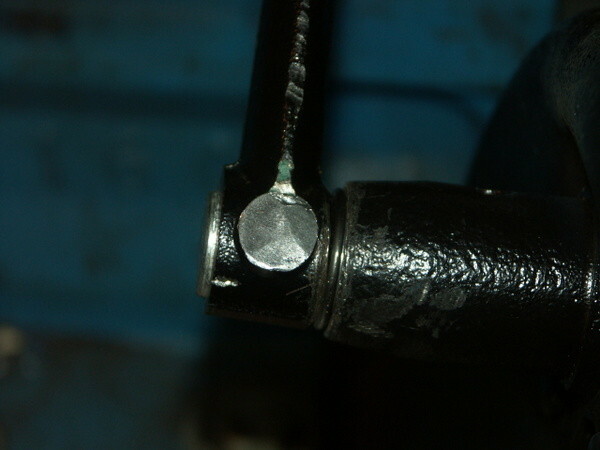 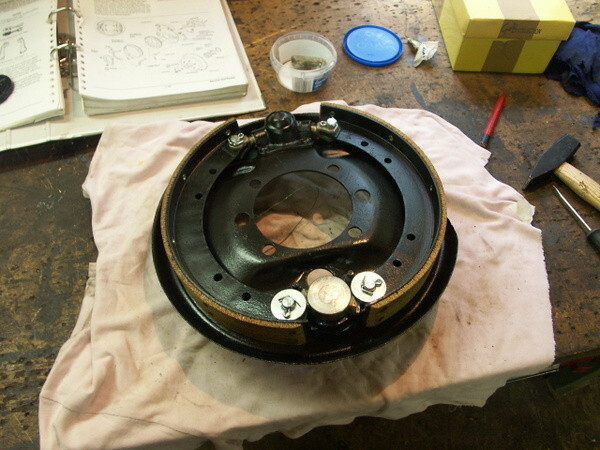 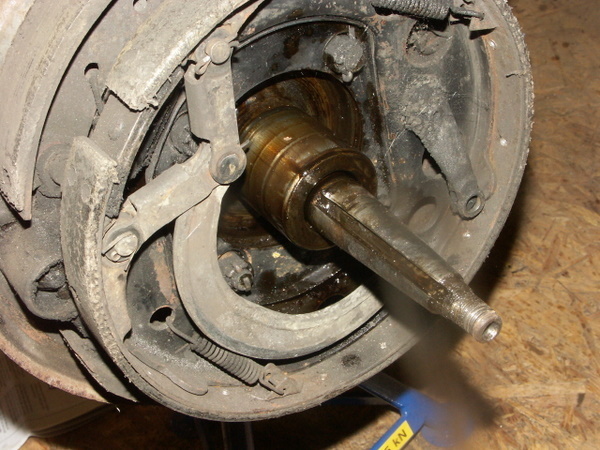 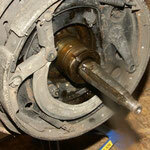 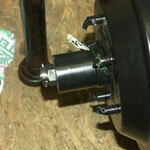 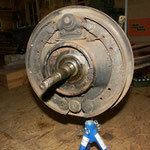 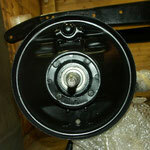 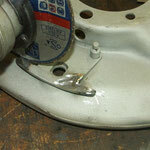 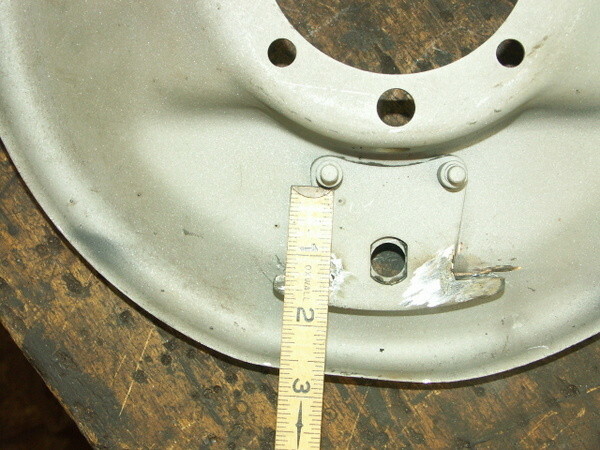 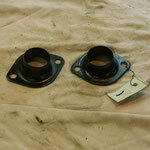 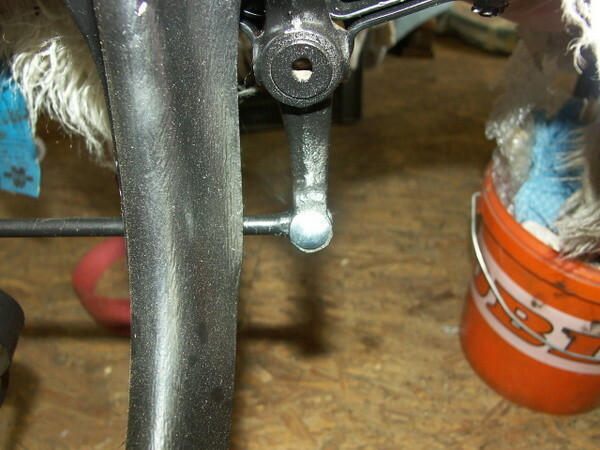 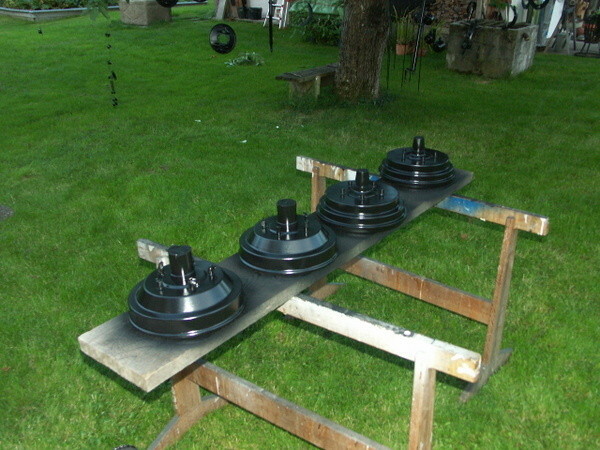 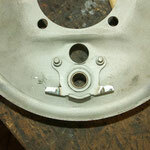 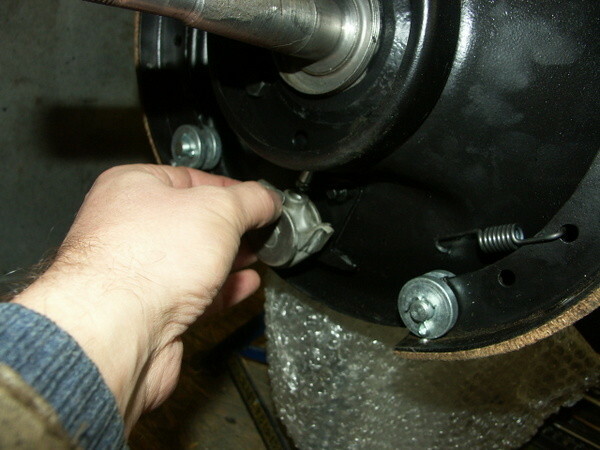 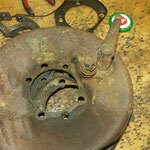 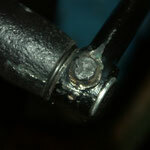 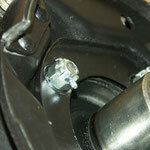 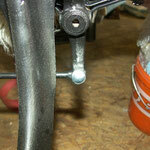 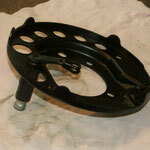 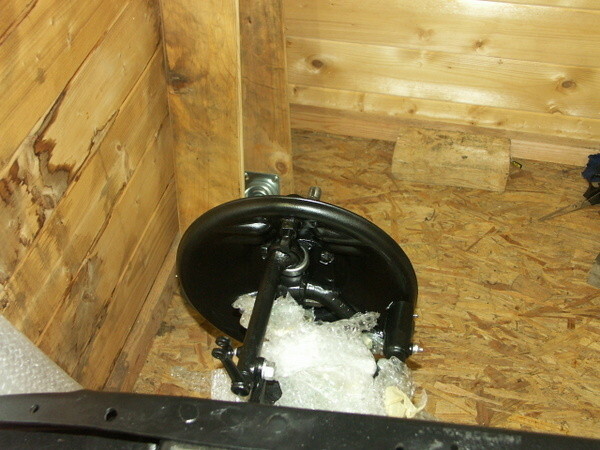 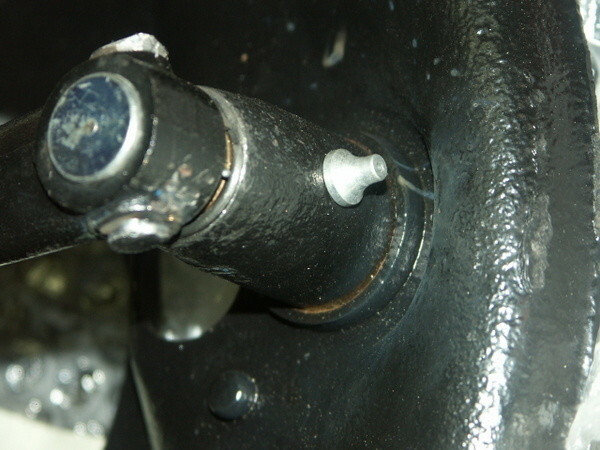 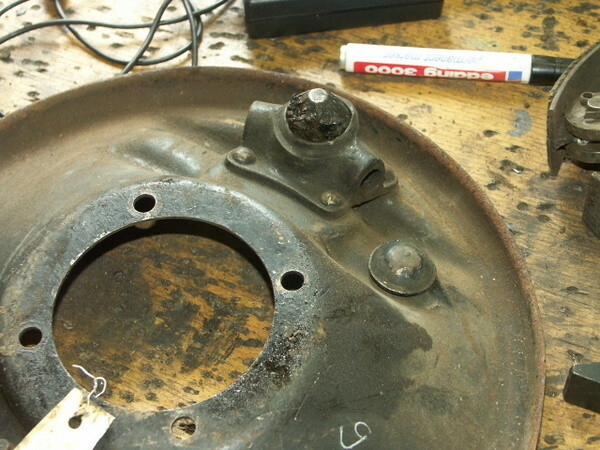 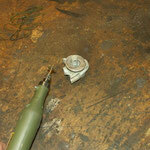 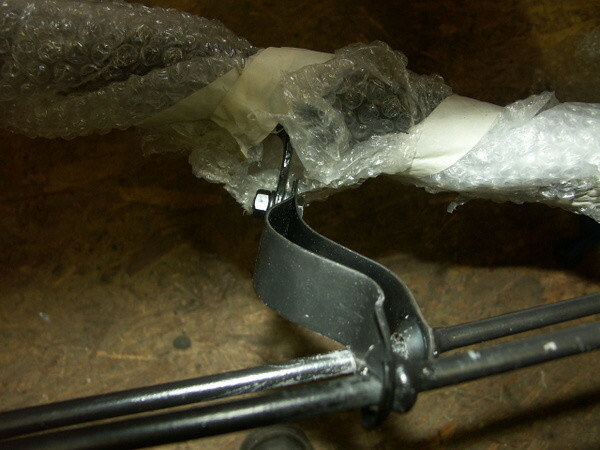 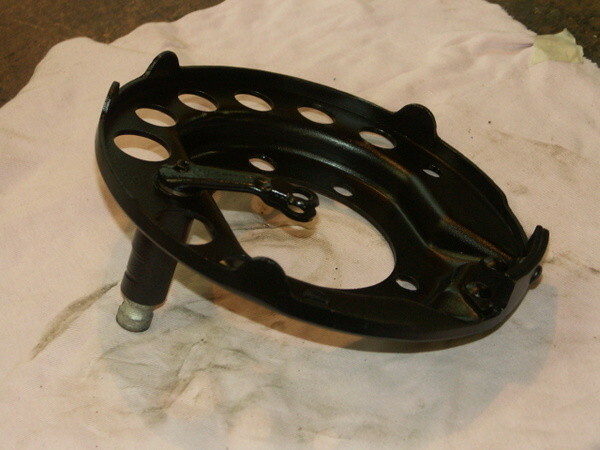 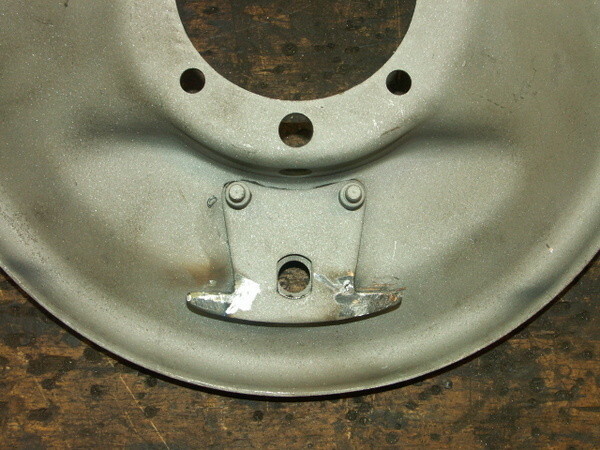 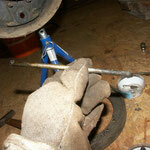 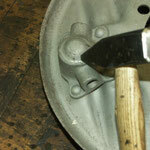 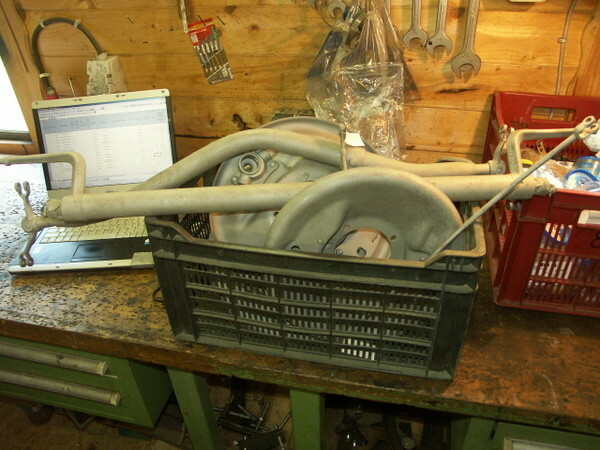 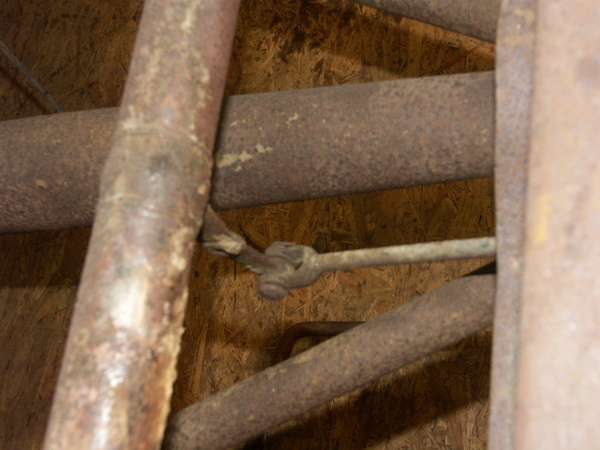 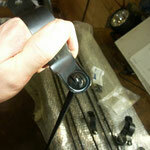 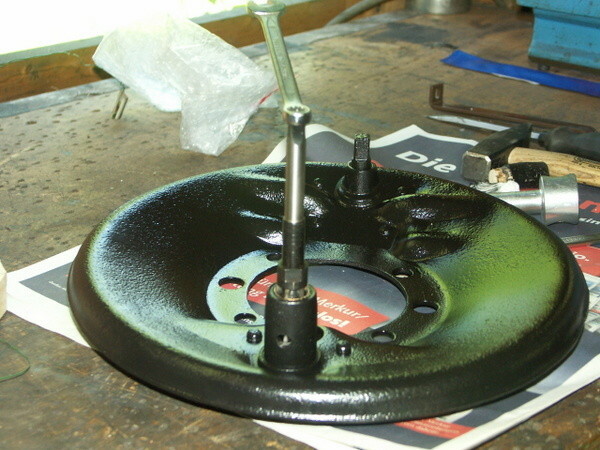 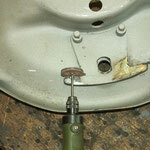 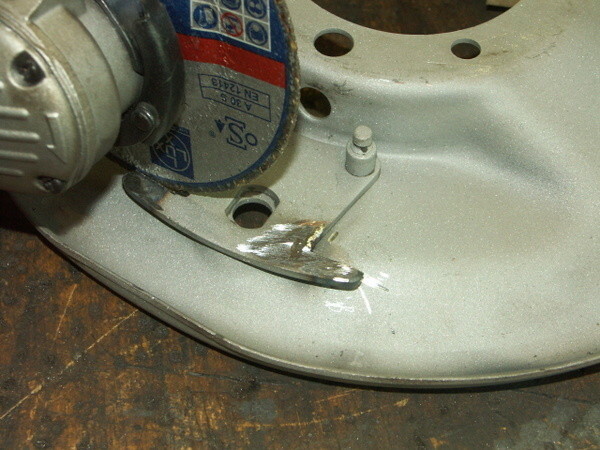 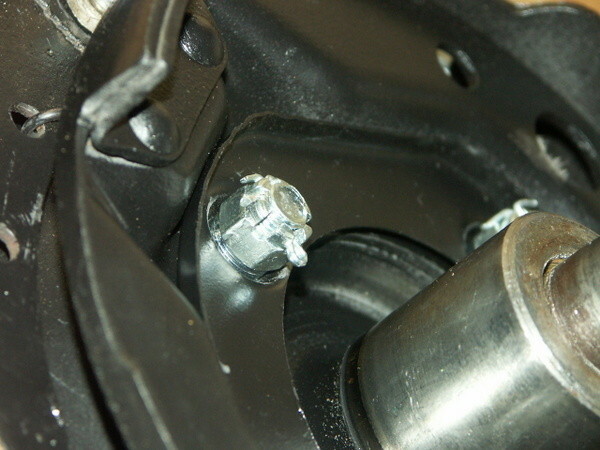 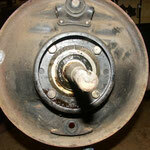 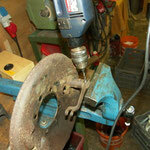 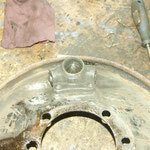 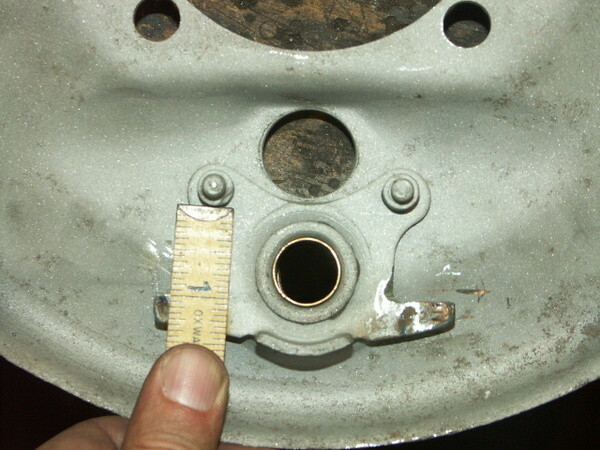 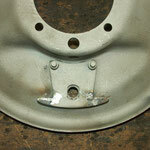 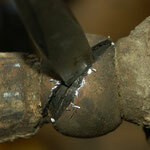 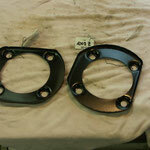 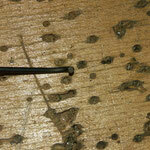 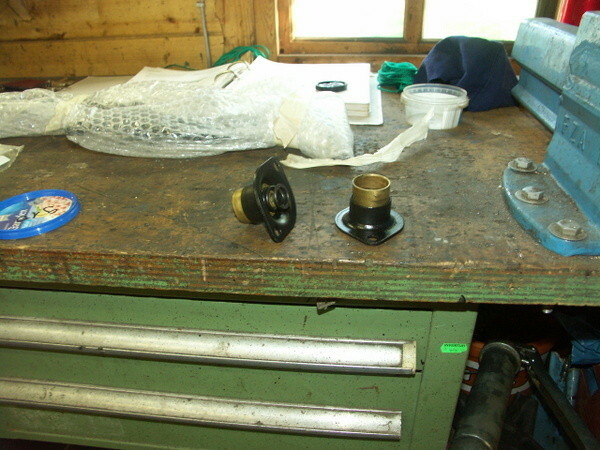 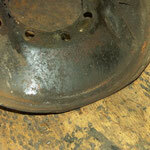 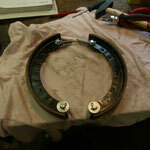 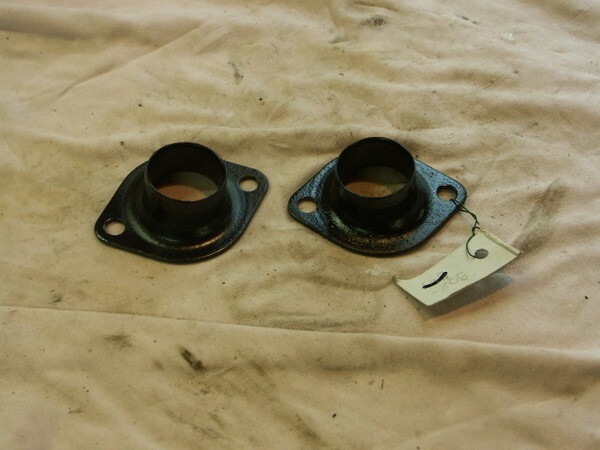 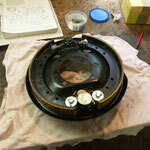 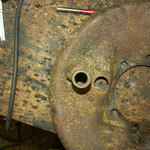 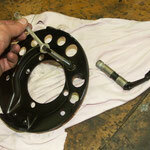 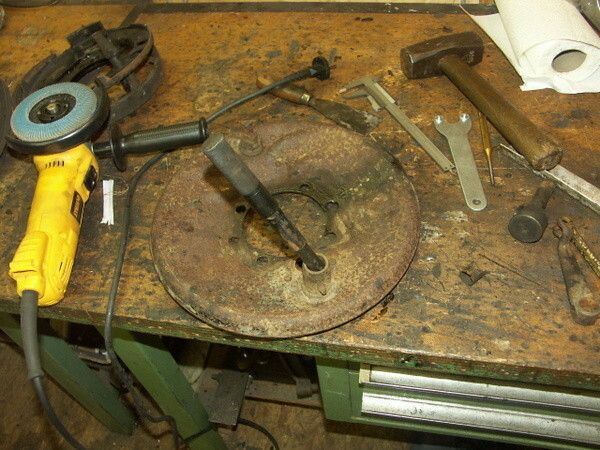 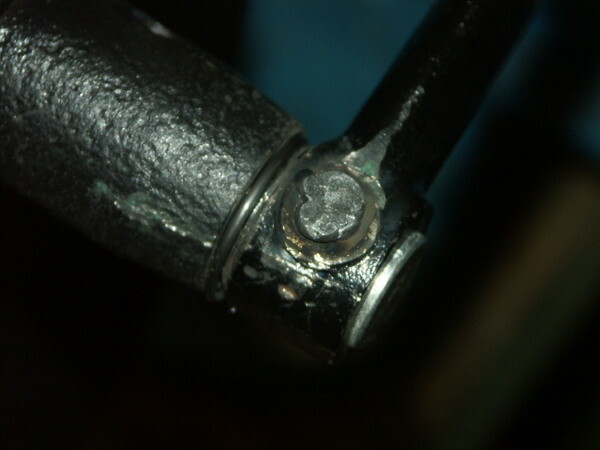 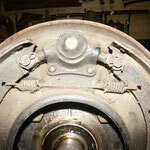 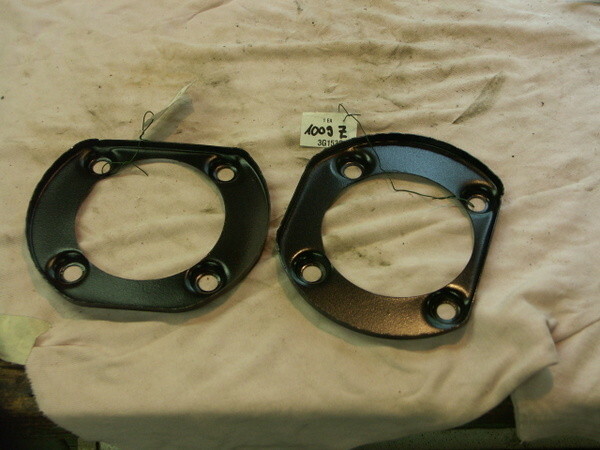 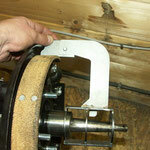 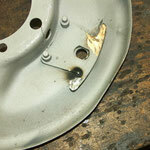 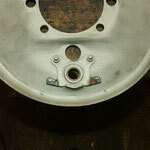 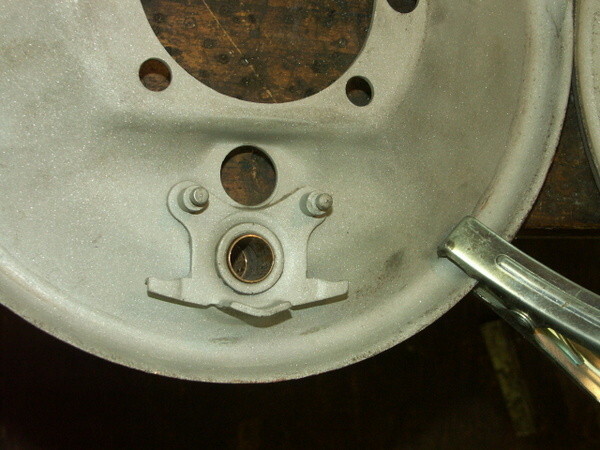 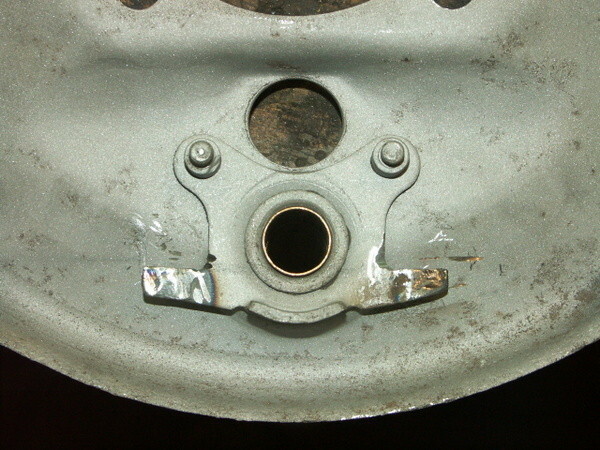 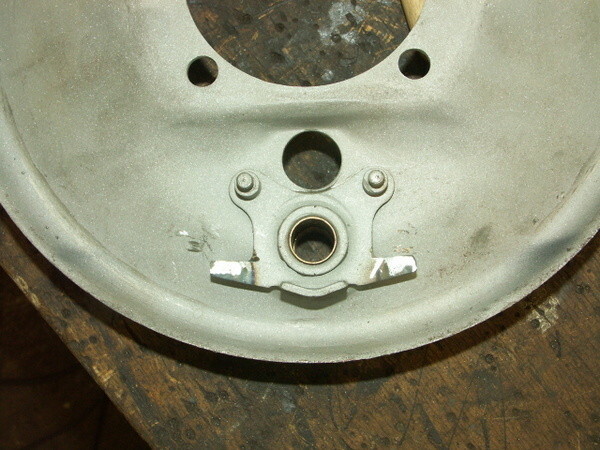 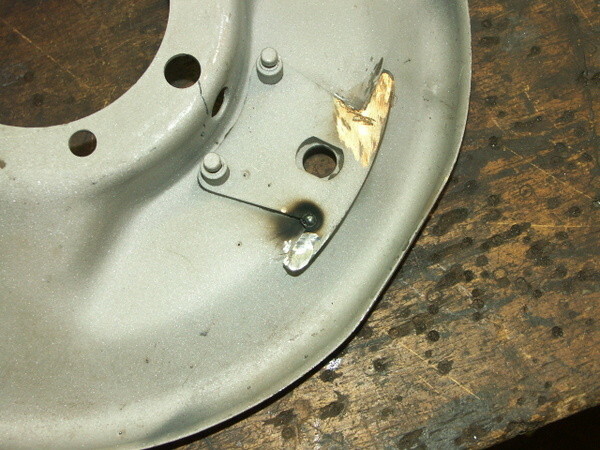 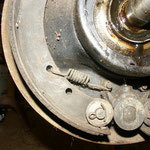 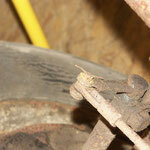 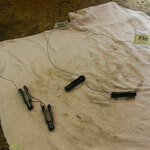 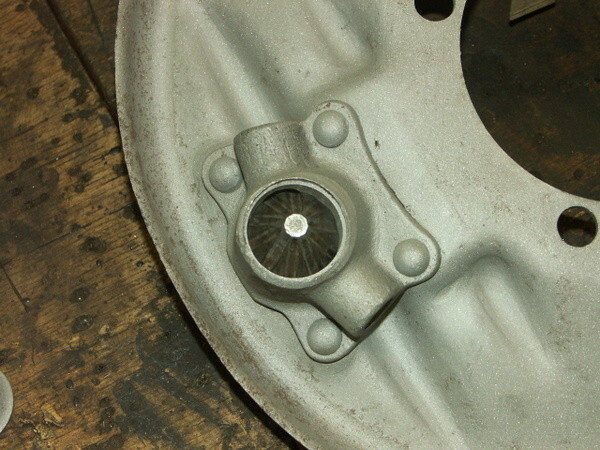 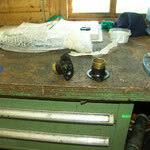 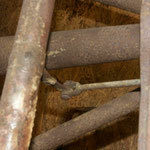 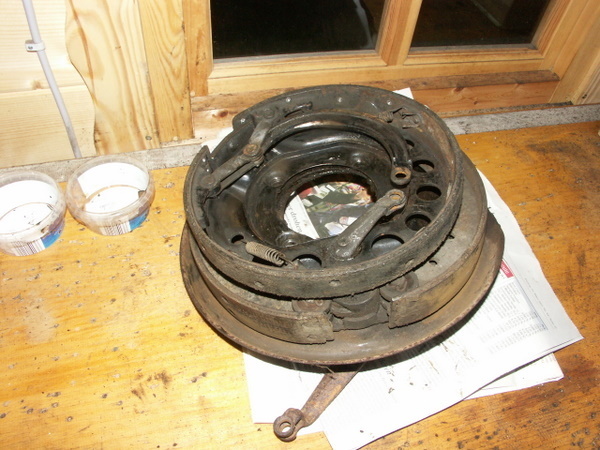 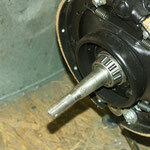 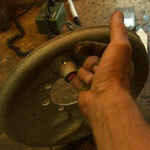 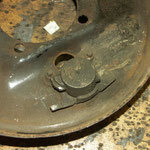 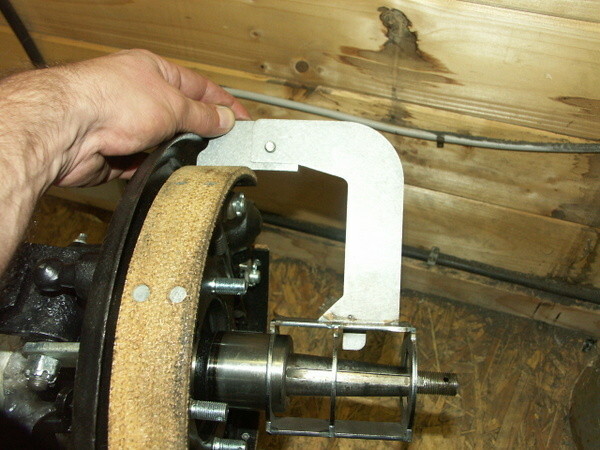 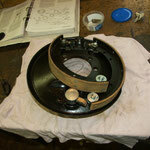 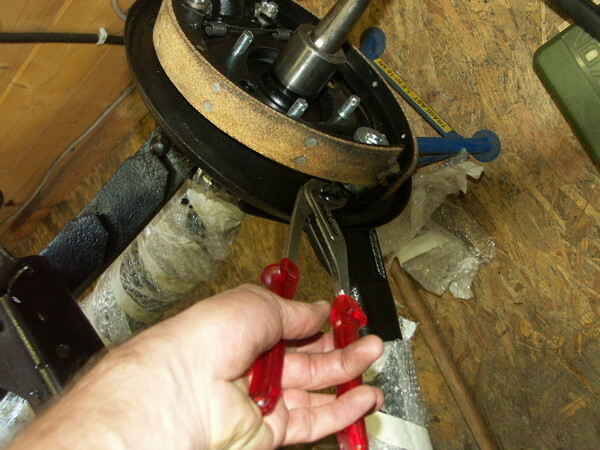 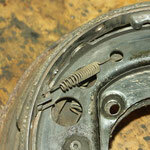 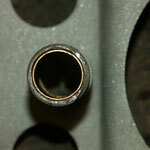 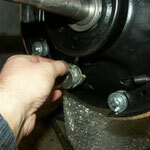 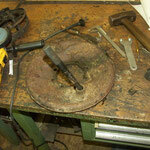 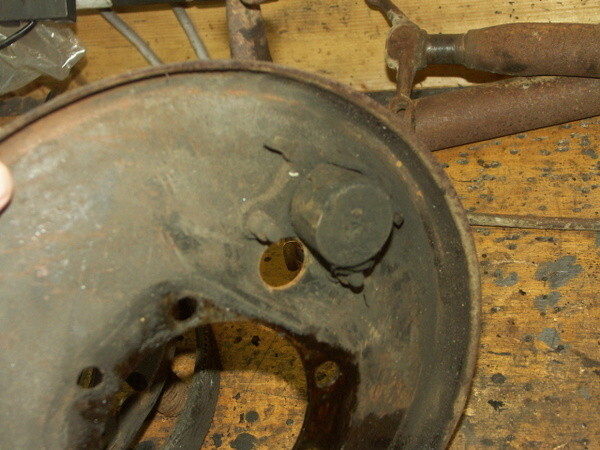 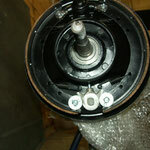 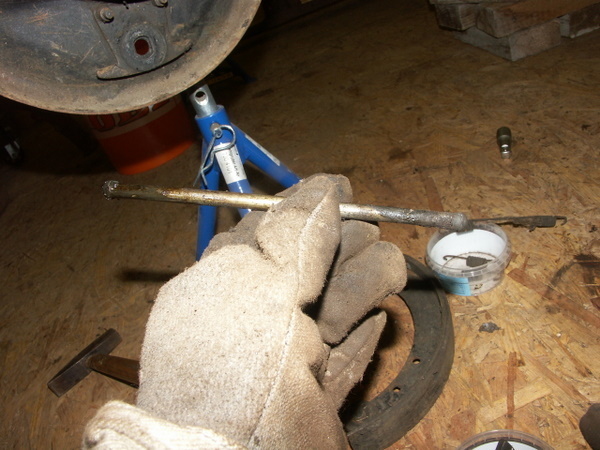 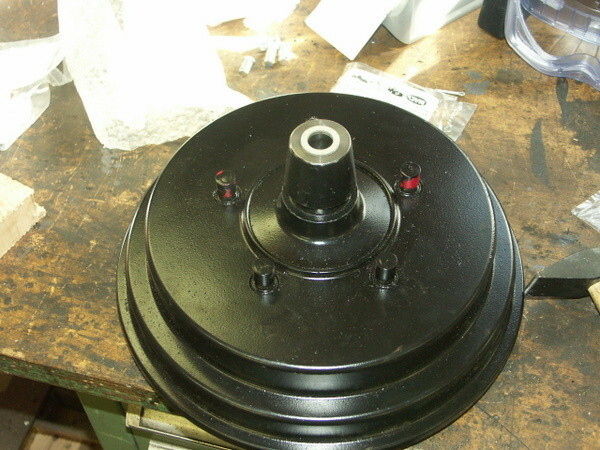 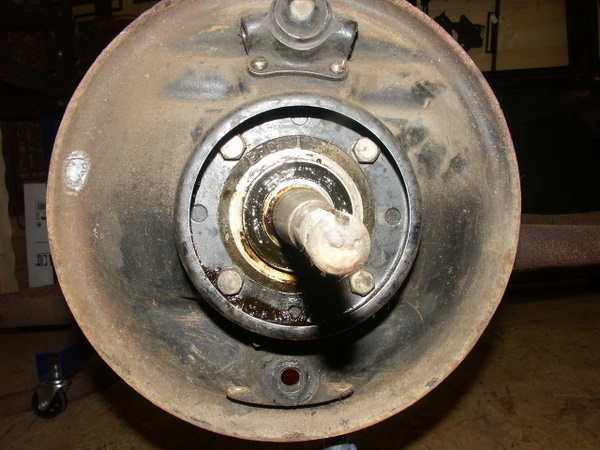 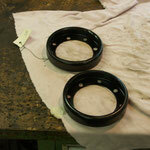 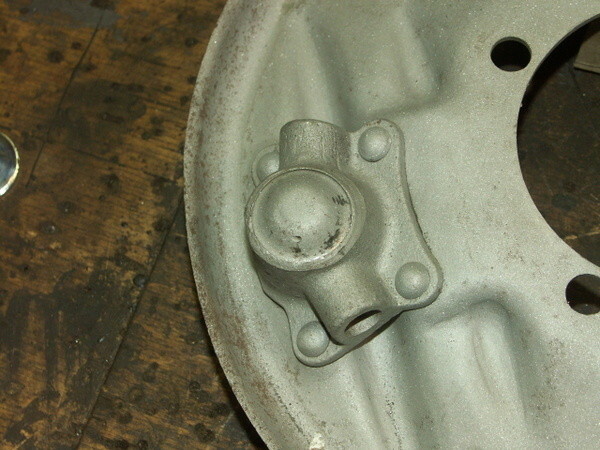 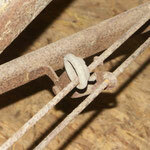 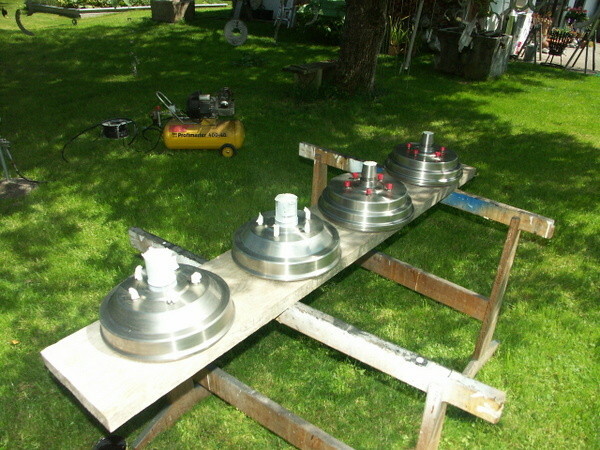 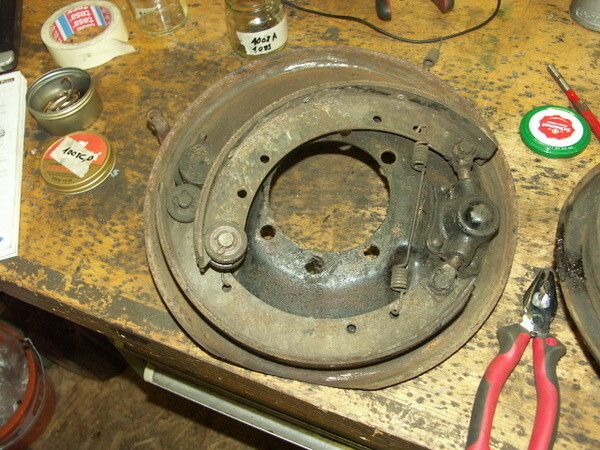 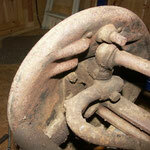 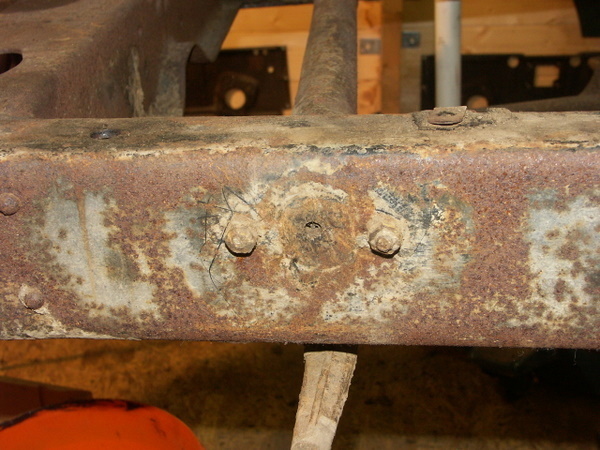 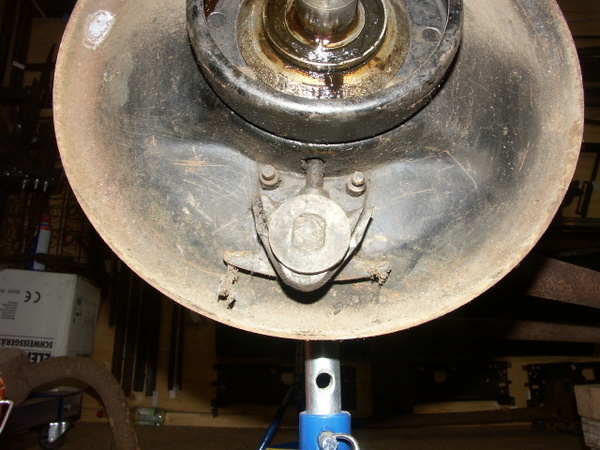 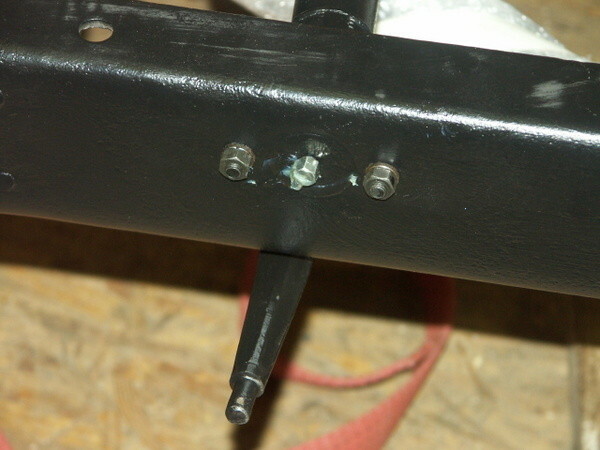 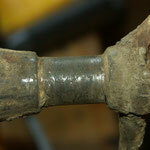 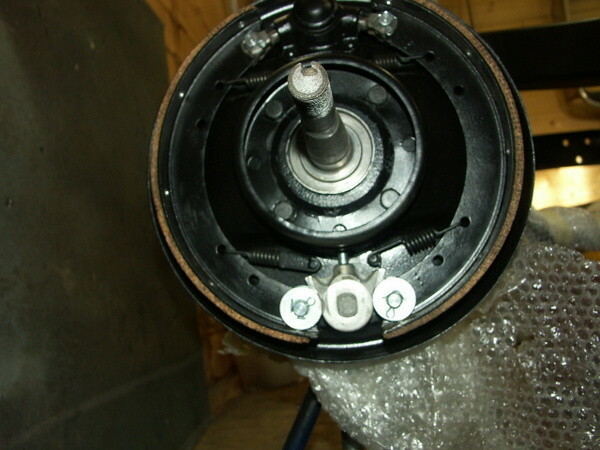 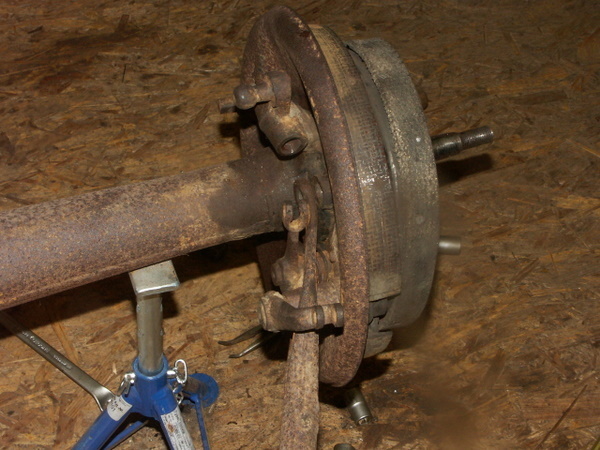 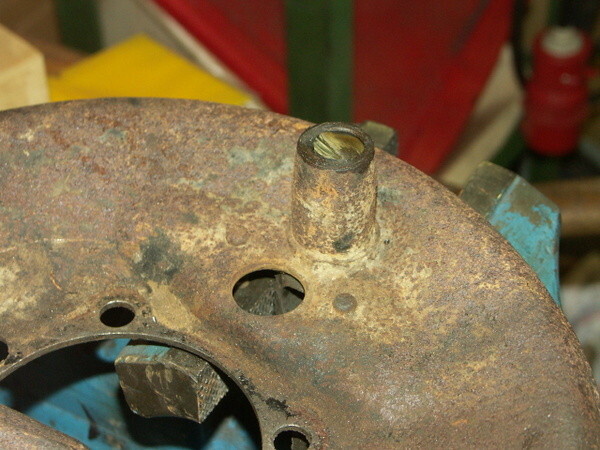 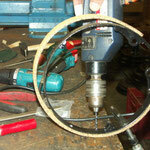 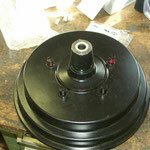 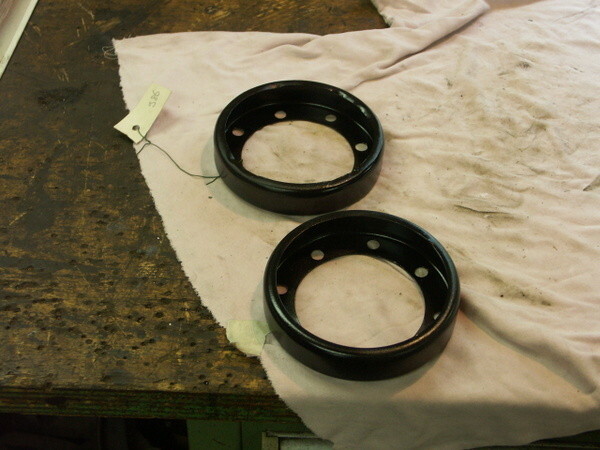 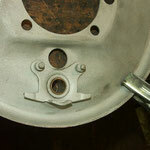 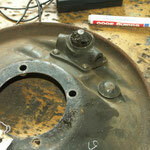 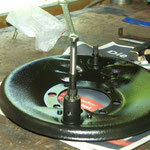 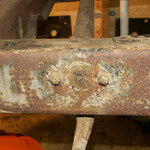 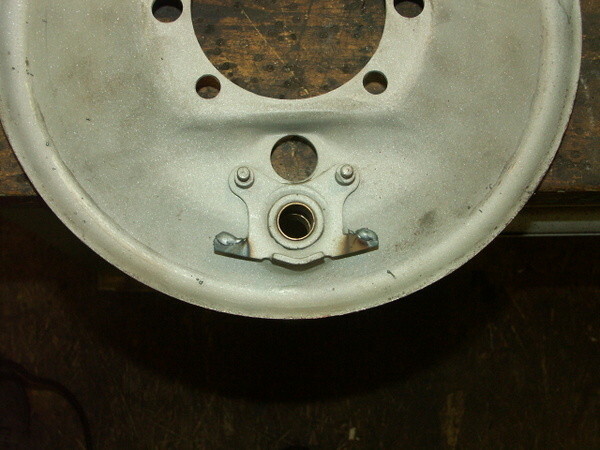 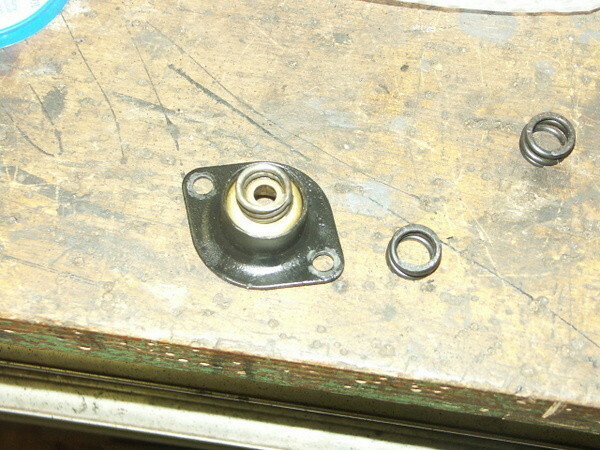 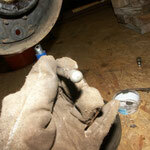 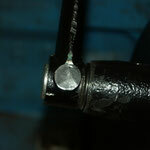 We bought complete hub and drum assemblies, as the bolts were welded in the hubs and we do not want to reuse the hubs. 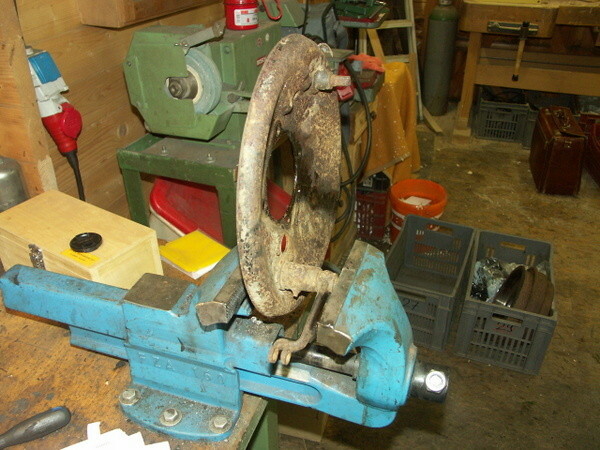 For more details see text at the pictures. 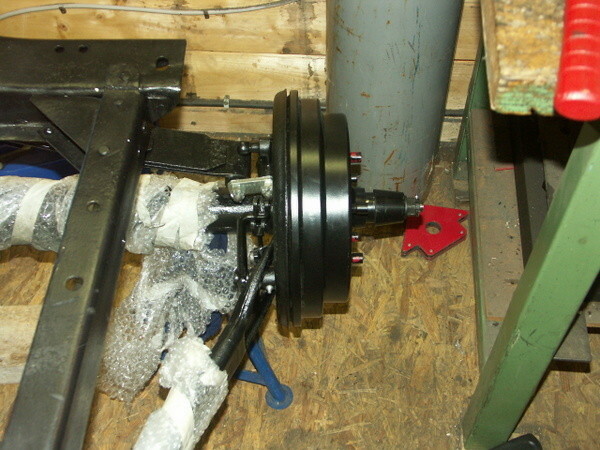 All brake parts are ready for assembly. 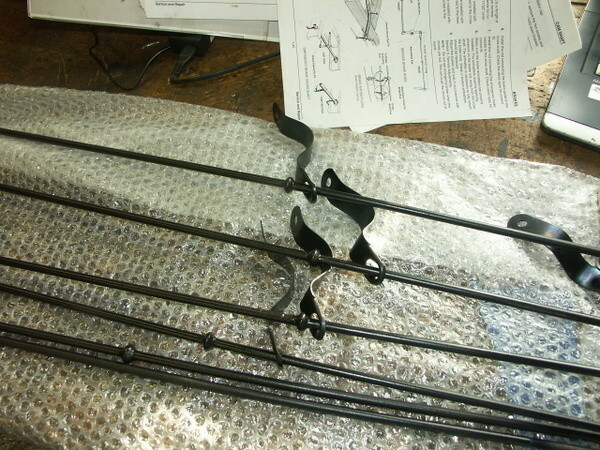 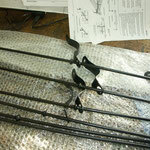 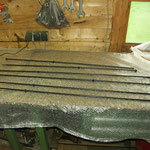 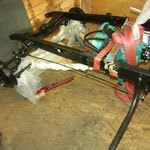 The final assembly can only happen when the front and rear axle are connected to the frame, so the next step ist assemly of the chassis! 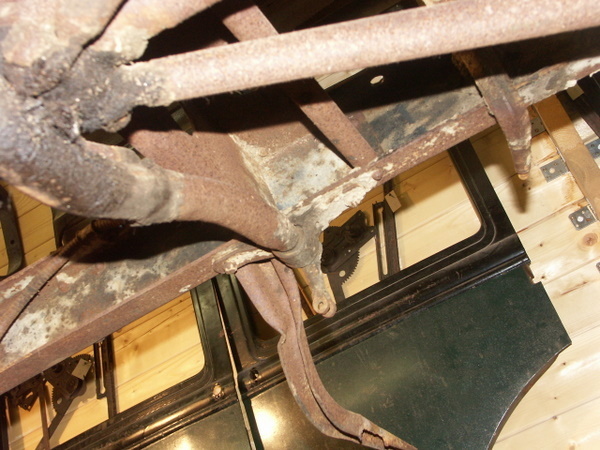 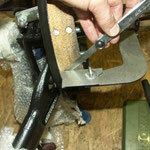 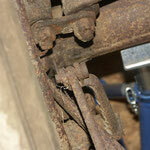 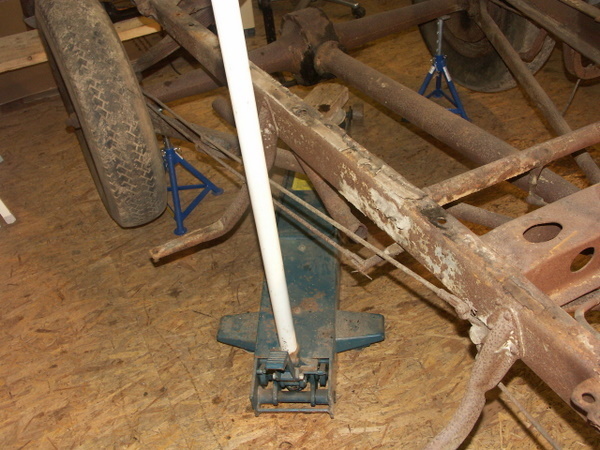 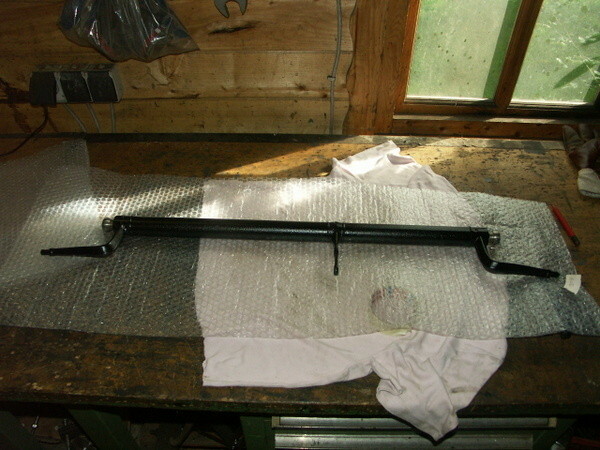 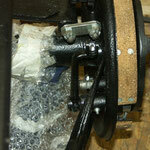 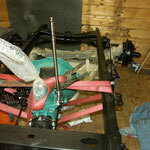 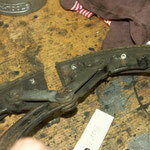 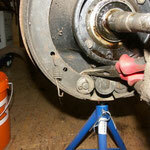 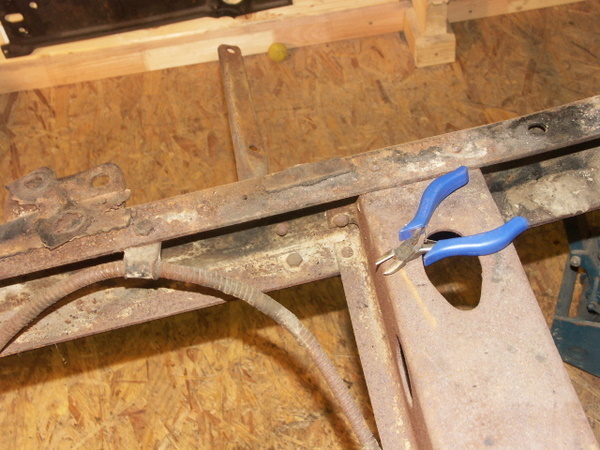 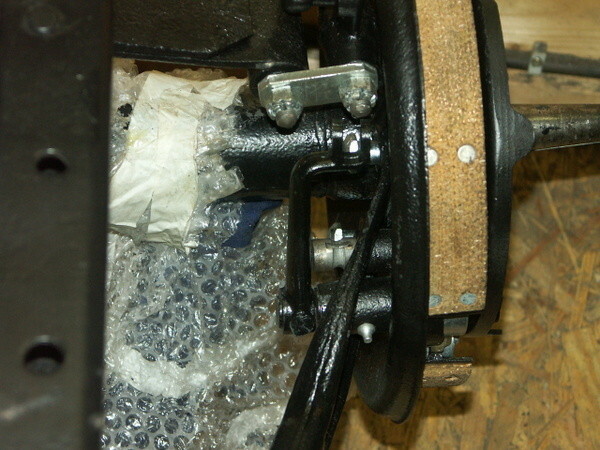 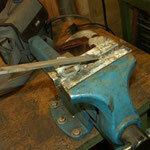 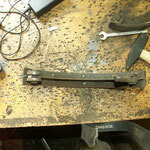 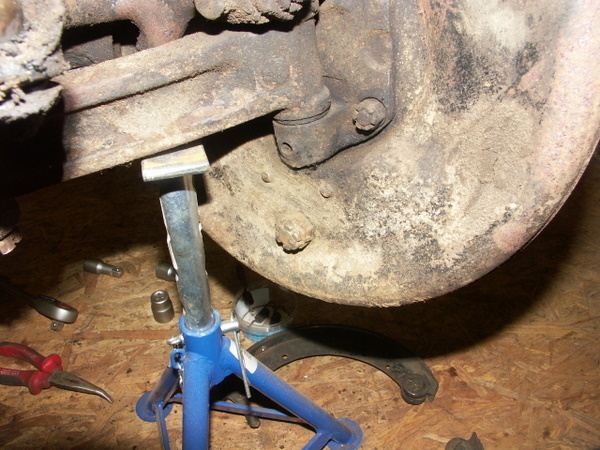 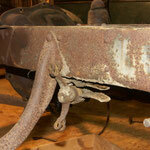 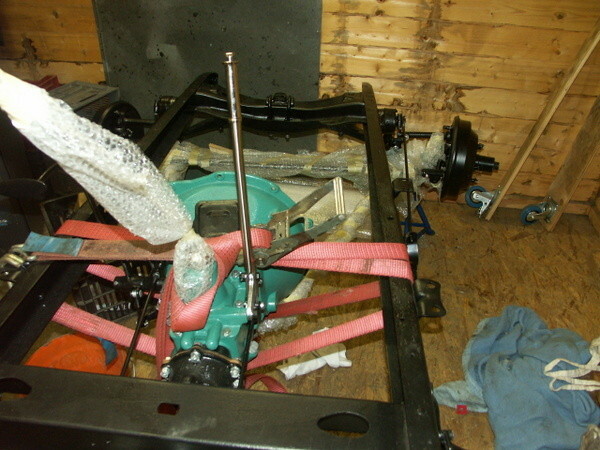 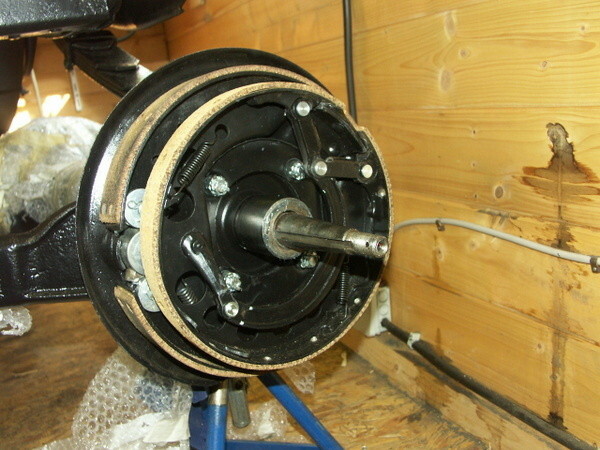 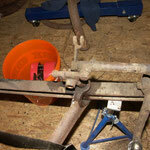 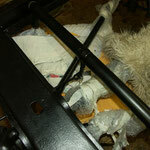 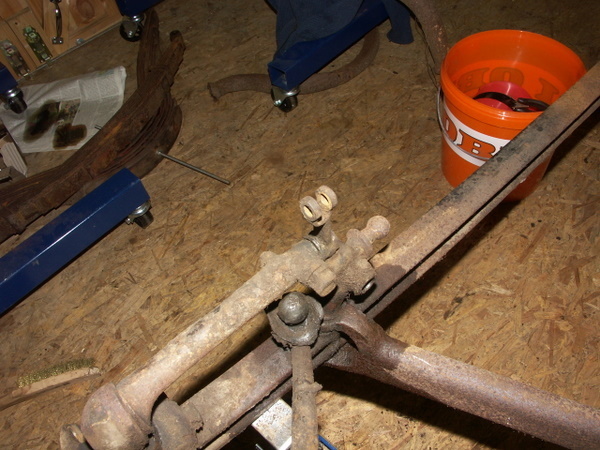 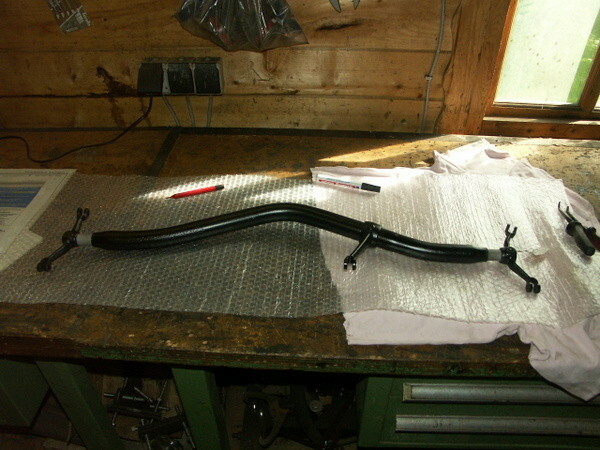 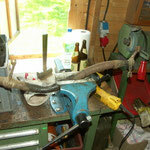 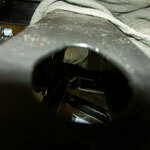 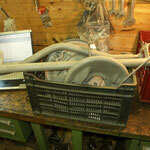 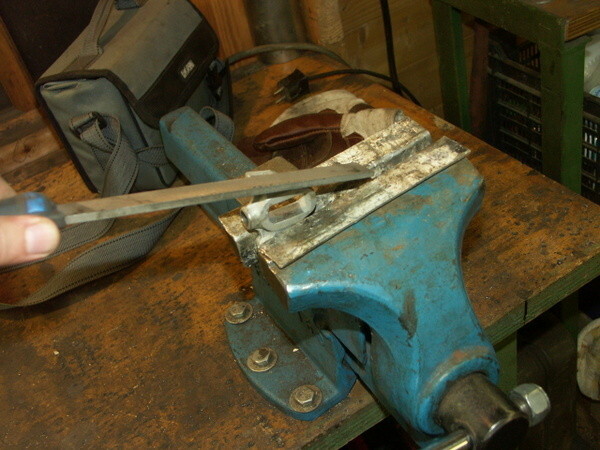 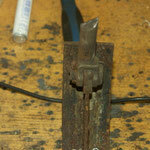 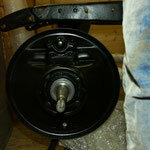 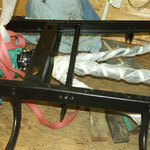 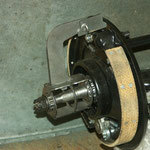 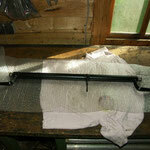 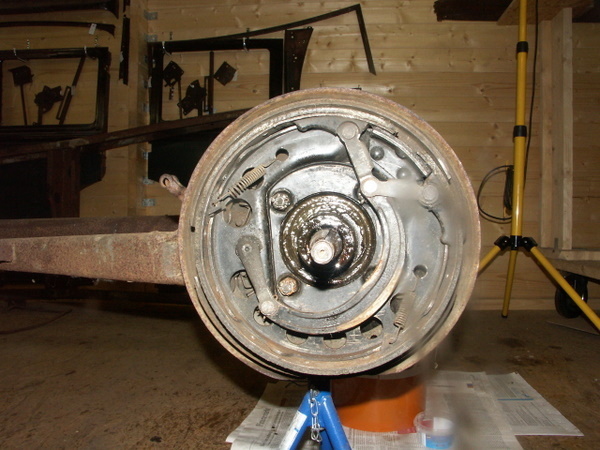 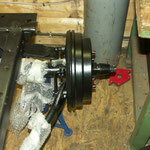 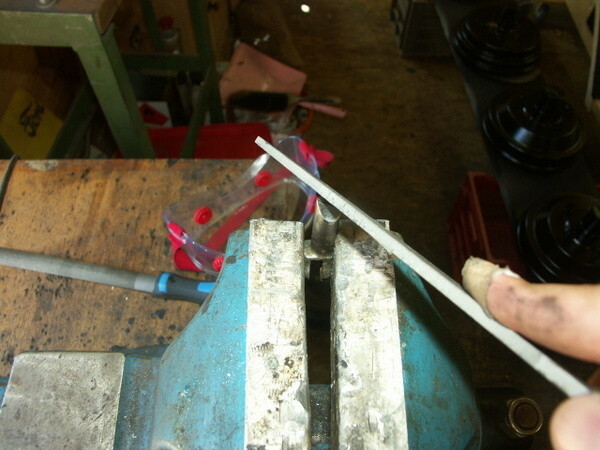 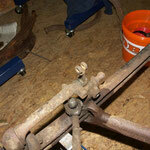 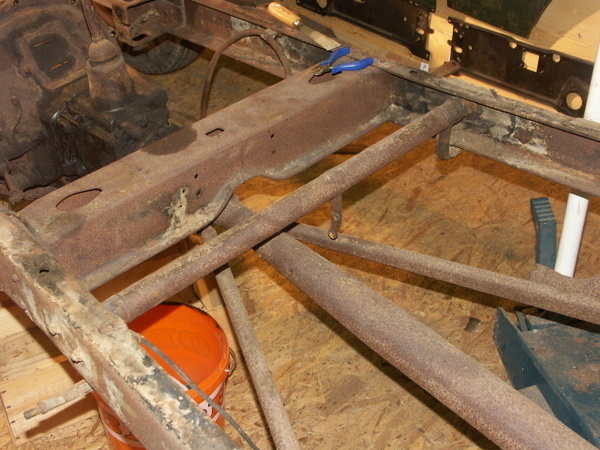 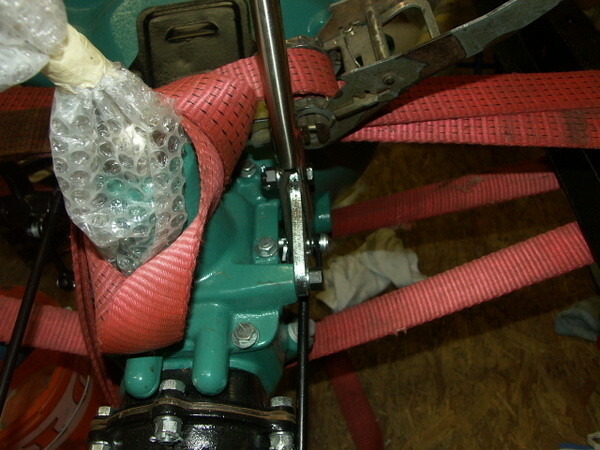 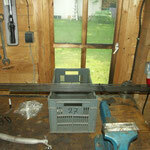 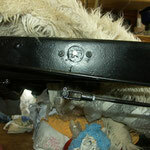 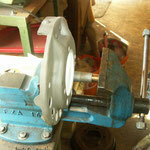 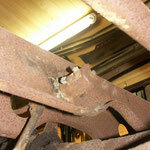 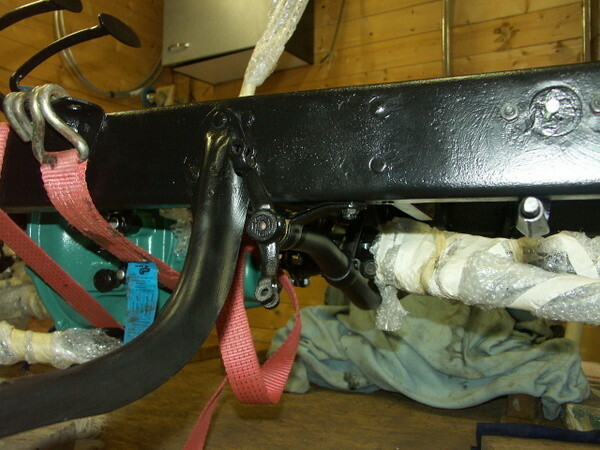 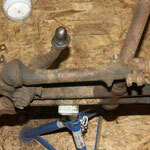 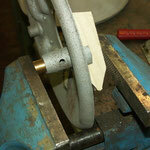 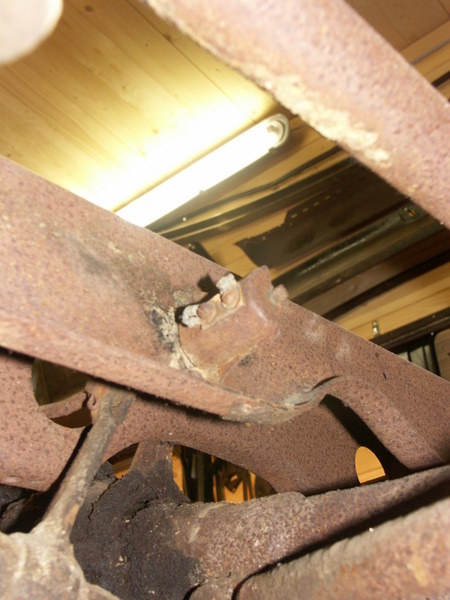 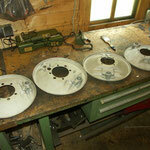 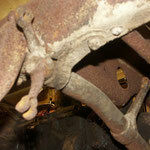 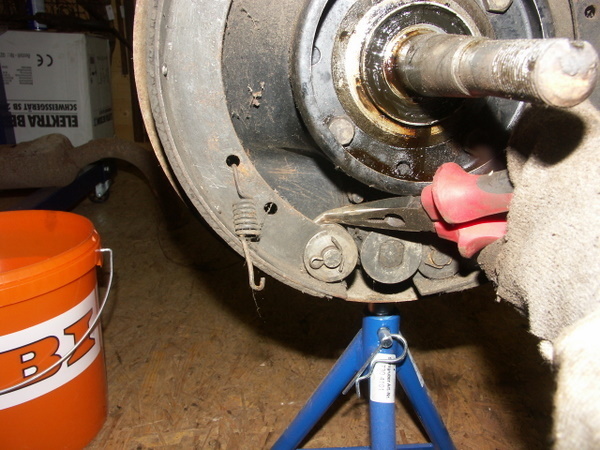 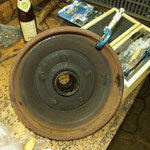 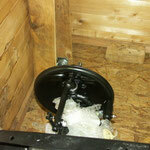 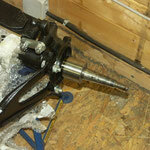 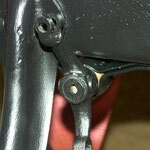 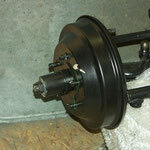 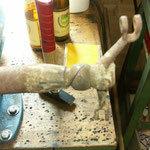 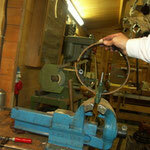 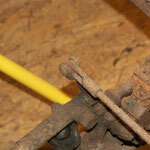 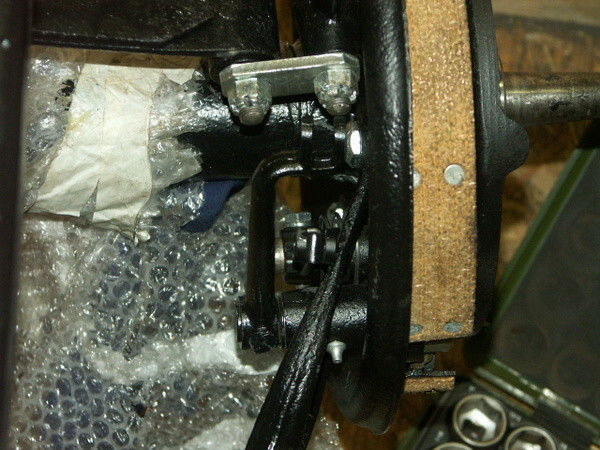 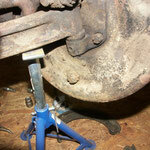 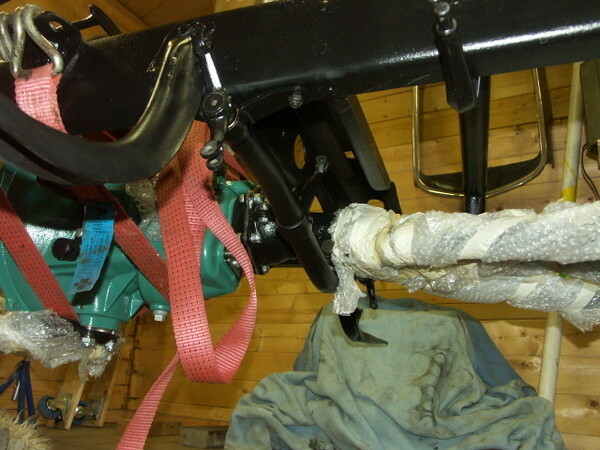 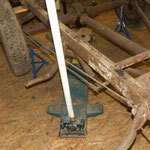 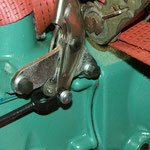 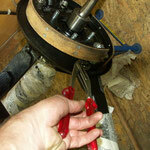 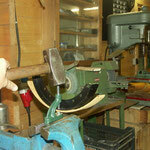 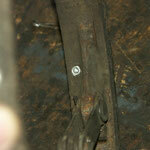 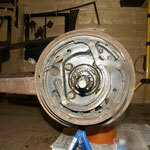 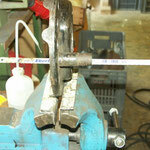 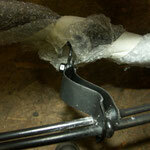 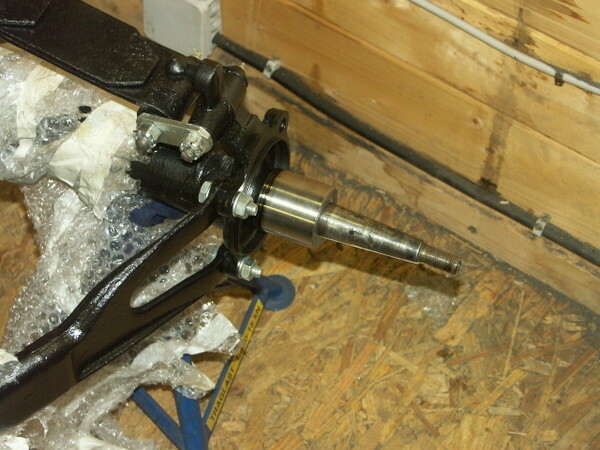 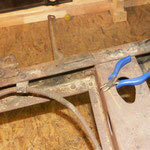 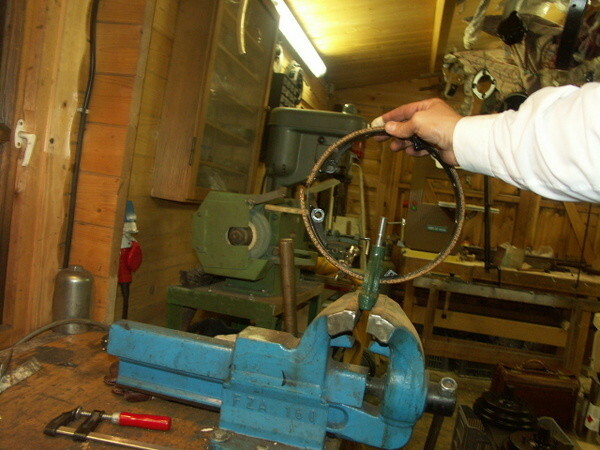 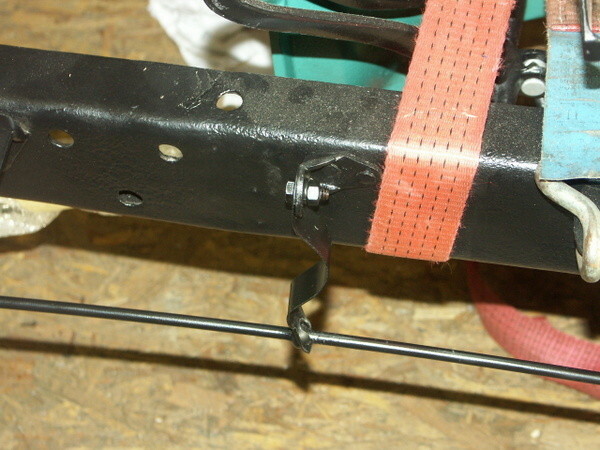 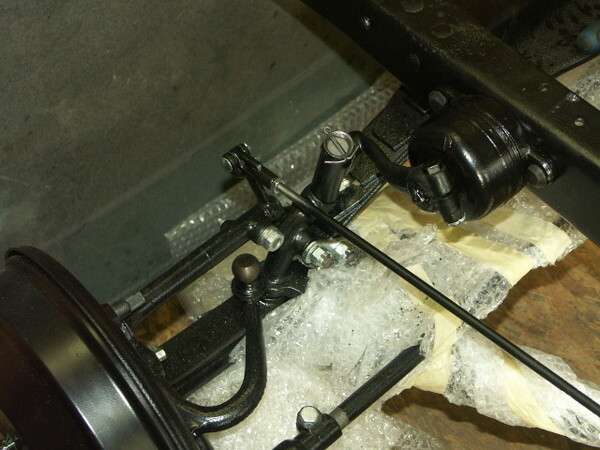 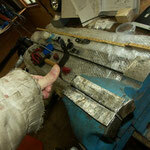 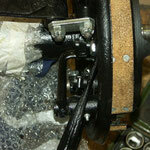 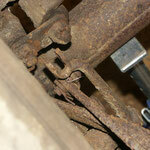 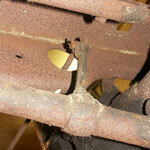 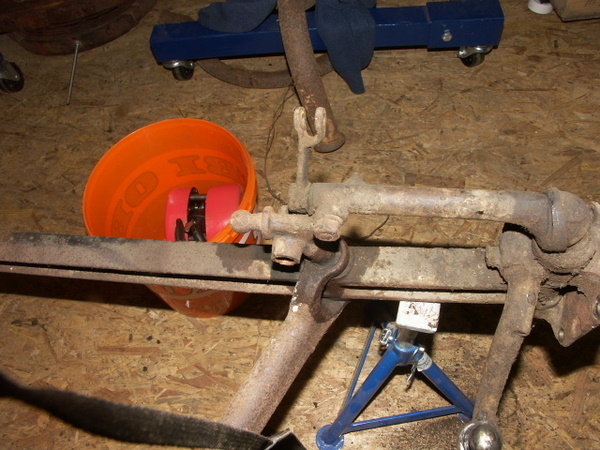 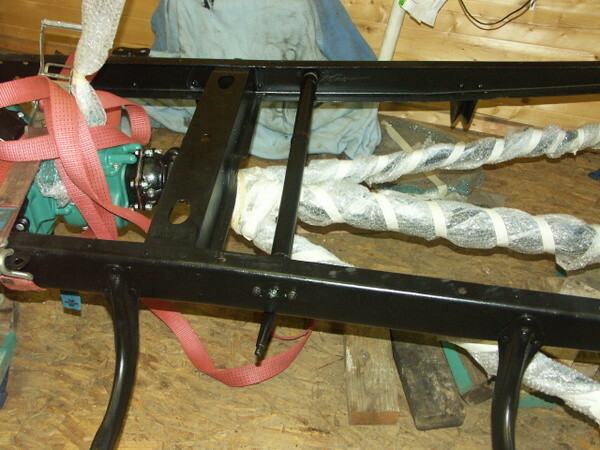 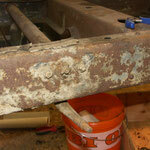 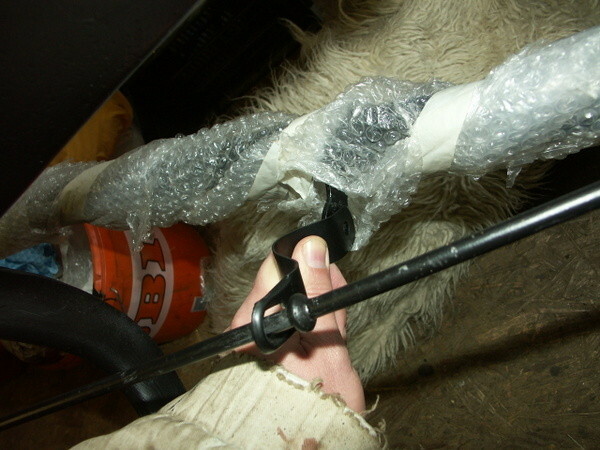 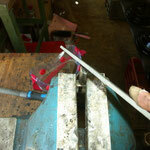 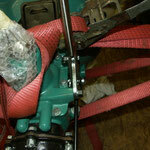 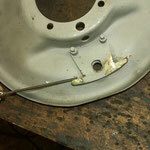 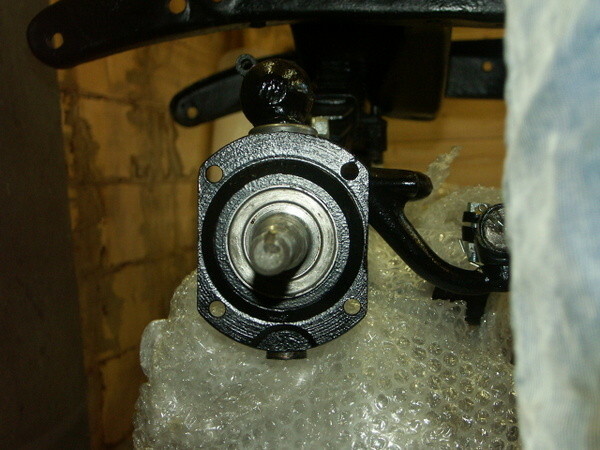 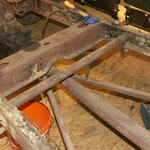 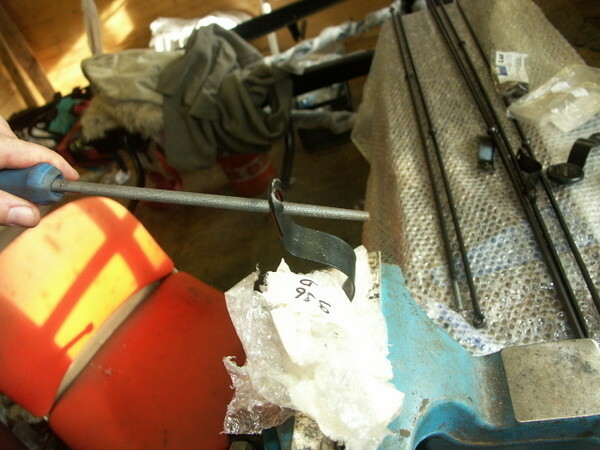 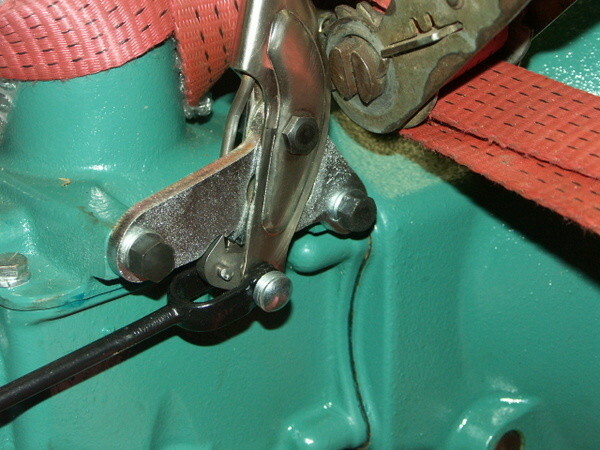 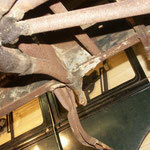 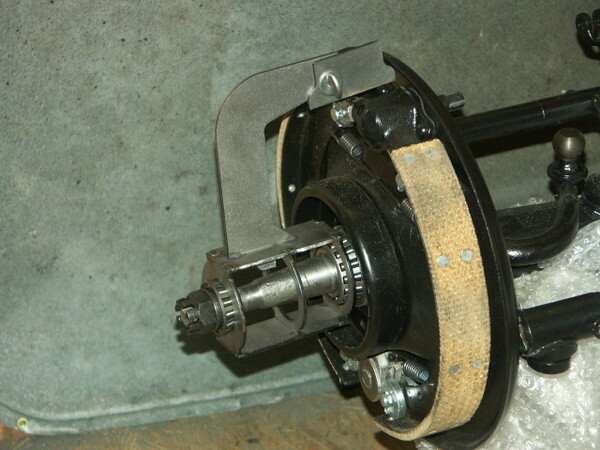 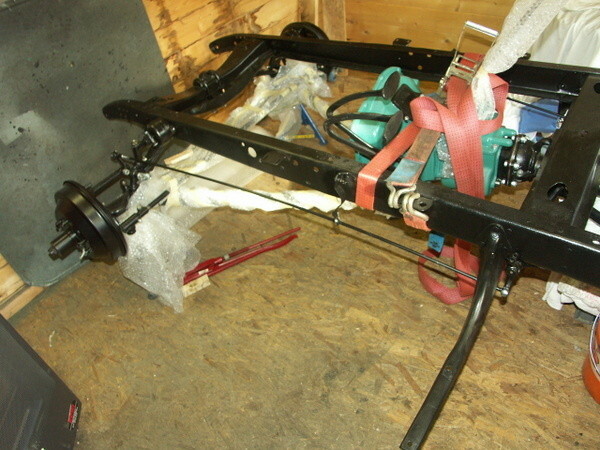 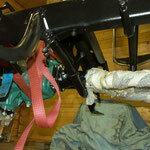 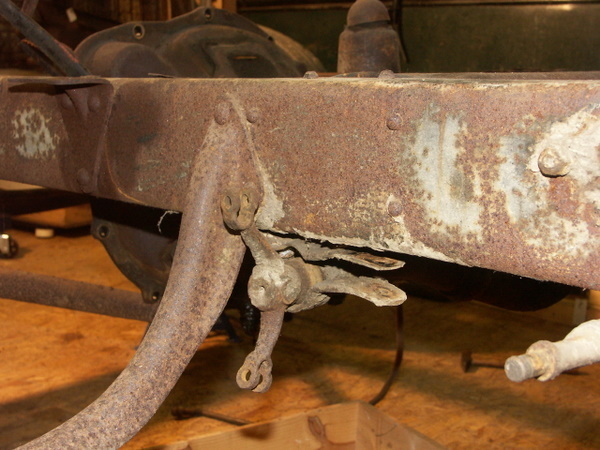 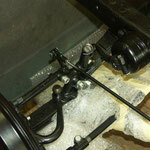 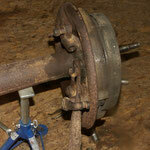 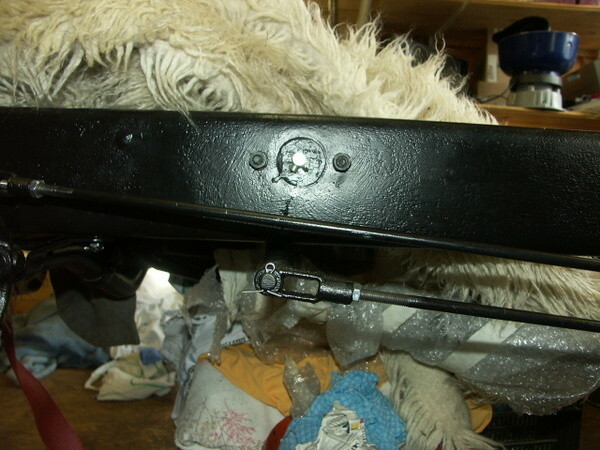 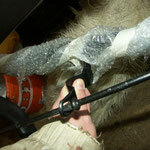 31st December 2012: Front brakes, brake rods, conections to pedal and emergency brake handle are installed. 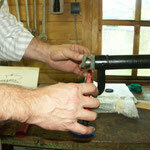 We followd in all aspects the instructions of Les Andres and Jim Shields.